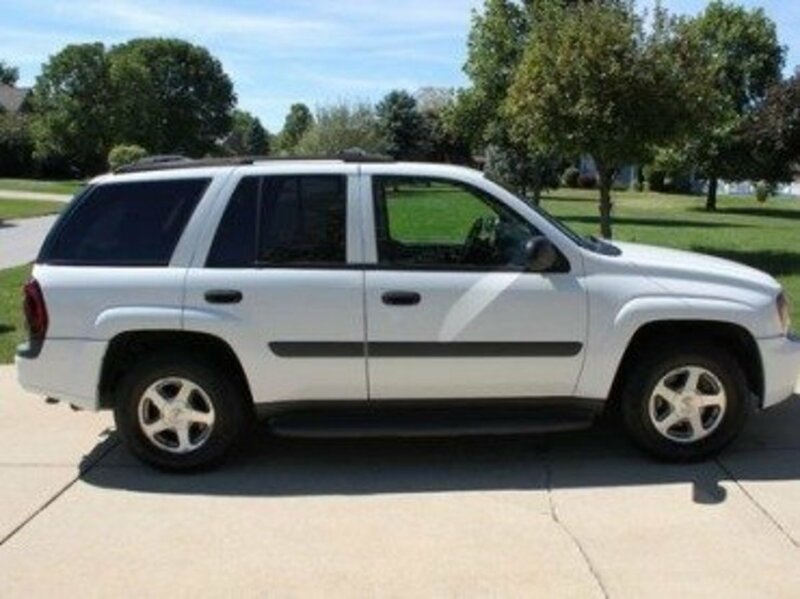 This repair will detail the steps involved in replacing the AC evaporator on a 2007 Kia Sportage. 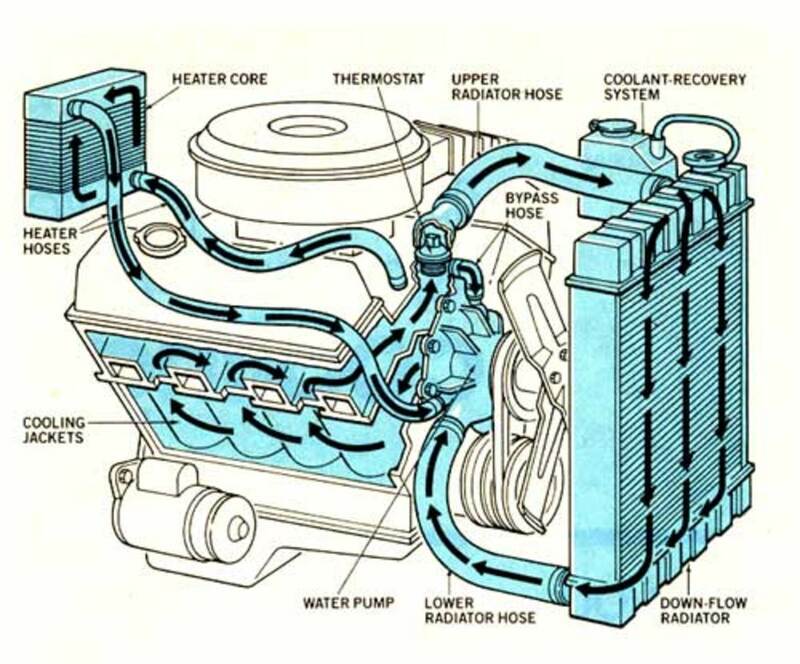 A car's evaporator is the least costly major AC system component when compared to the compressor and condenser, but it's the most difficult and time-consuming to replace. 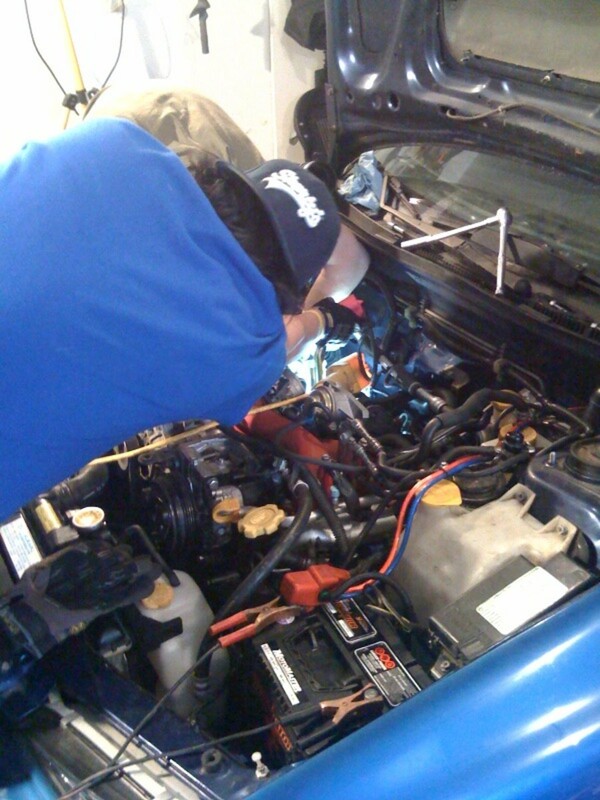 Fix your car's electrical open by looking for the most common faults, using simple tests and tools. 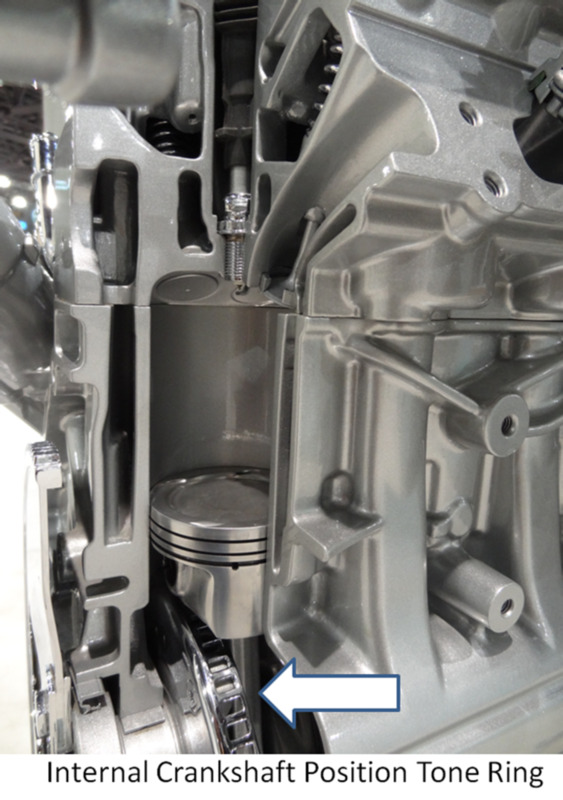 Check common sources of engine misfires using this friendly tip-filled guide. 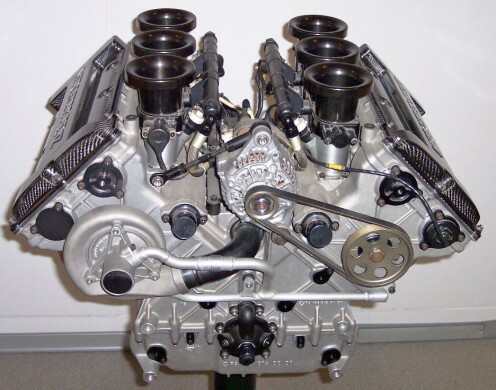 When your engine lopes, focus on those systems that are more likely to give you trouble. Whether your car is hard to start when cold, hot, or both, this guide gives you tips and tests to help you fix your car sooner. The 7-speed DSG has made many improvements over the older 6-speed variant, but it's not without its problems. 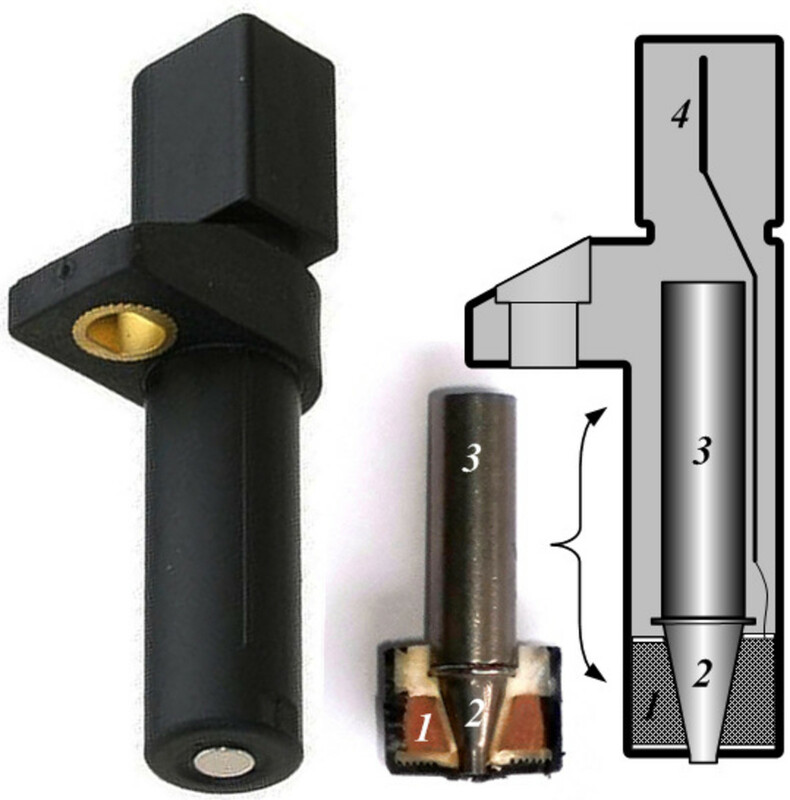 Replace your coolant temperature sensor at home now using some common tools, a few minutes, and this practical guide. 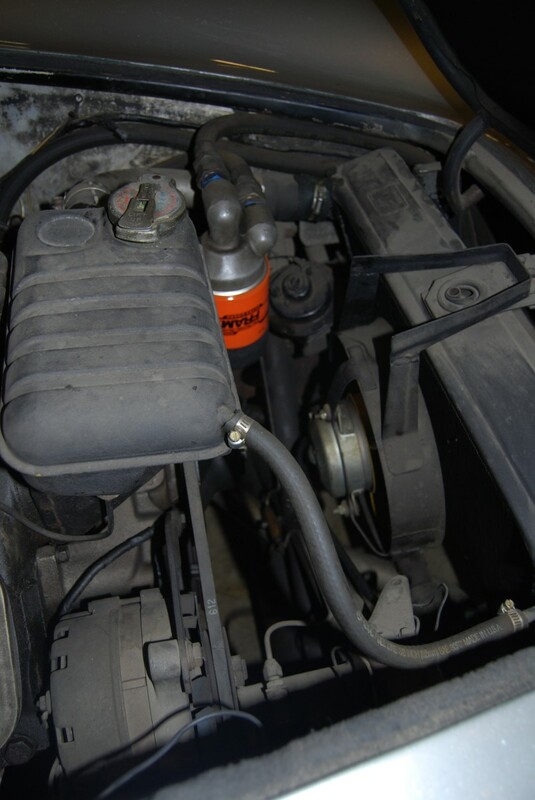 In this article, I will explain step-by-step how to replace a water coolant outlet (sometimes called a coolant air bleeder) on a 2006 to 2009 Dodge Charger with a 2.7L engine. This guide does not cover the RT, SRT, and SXT trims. 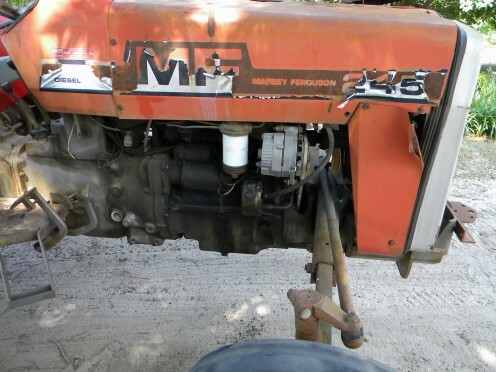 Describes how to remove and replace a power steering pump from a small Massey Ferguson tractor. Complete with step-by-step photos and tips for complete repairs. 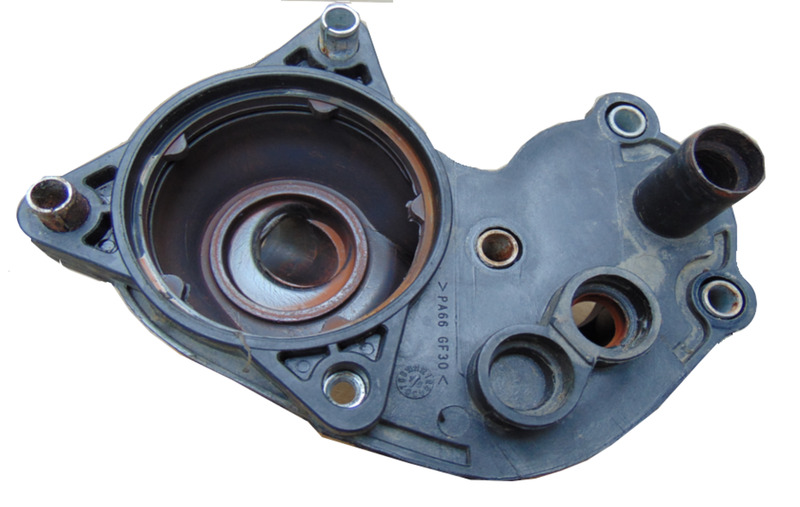 Stuck brake and no brake are common brake failures encountered when replacing rubber seals or repair kit on a brake master cylinder. 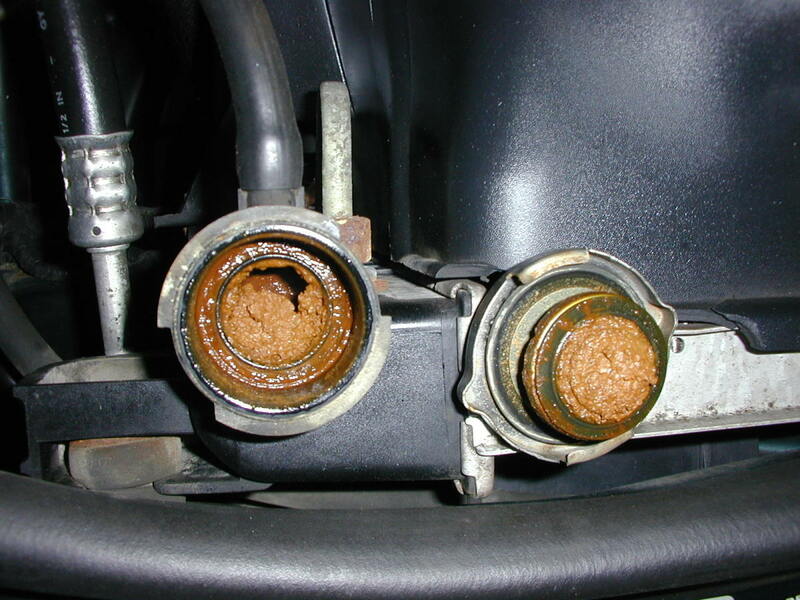 This shouldn't be a problem if we know how a master cylinder works. 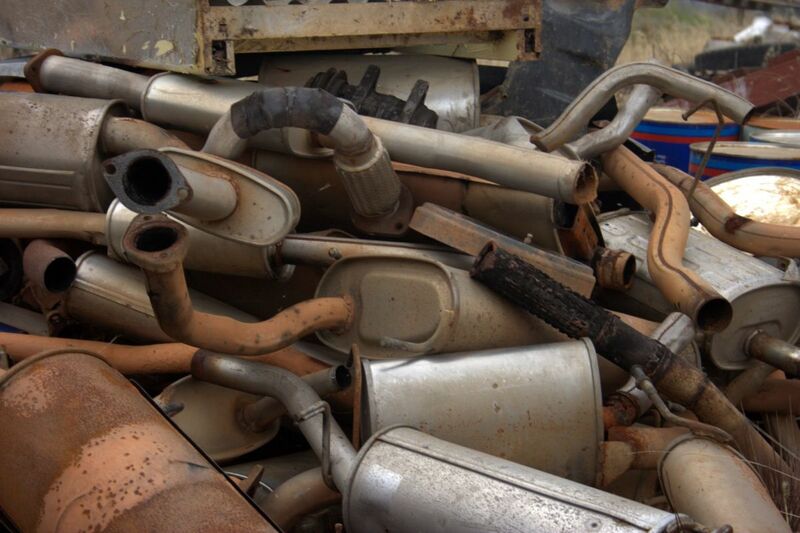 The color of the exhaust smoke can give you valuable information about the state of health of the engine. 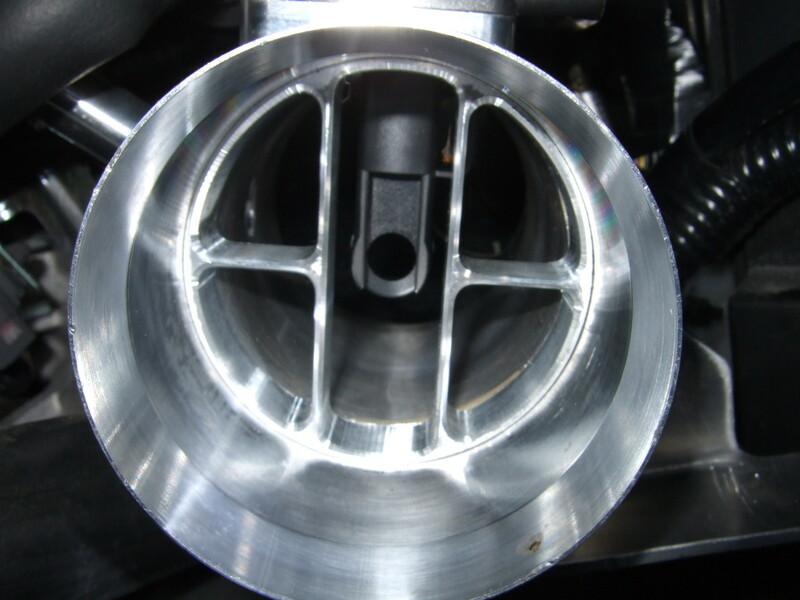 Learn how to test an EGR valve in a few minutes to confirm you actually need a new replacement. 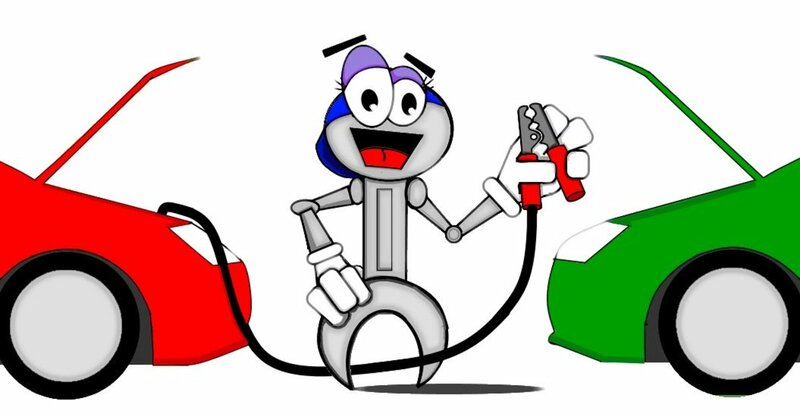 Learn how to jump-start a car and how to charge a car battery to restore battery power and increase its service life. 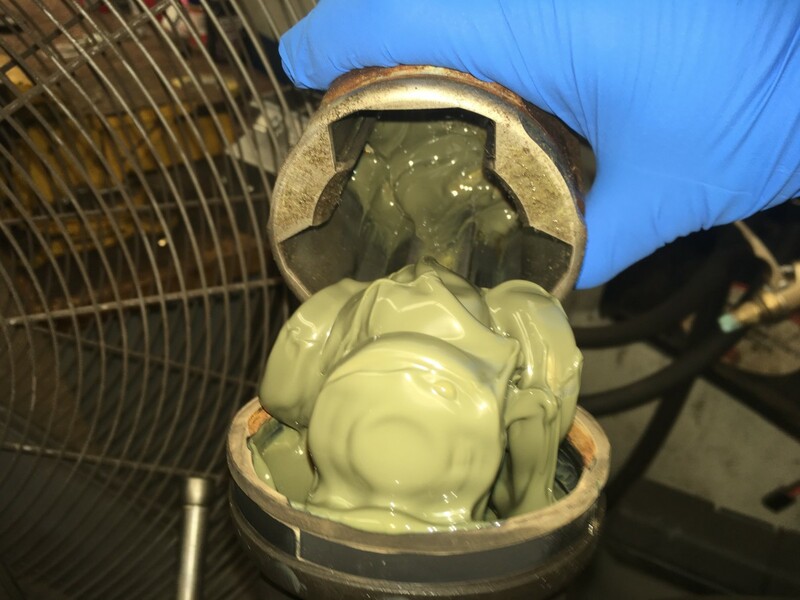 Water leaking into a car can lead to mold, corrosion, computer issues, and bad smells. Water can leak into your passenger compartment from outside or inside the car, often from the windshield. 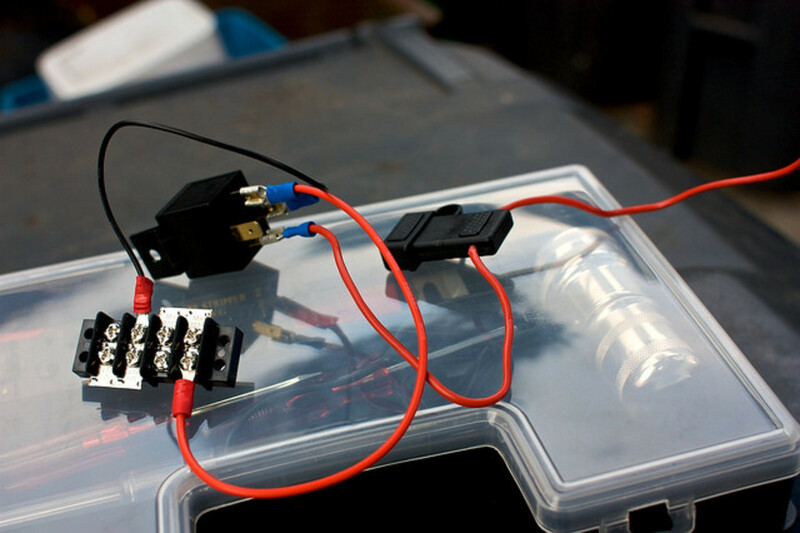 Use a car battery hydrometer on a dead car battery or suspected bad car battery to learn its state of charge and health in minutes. 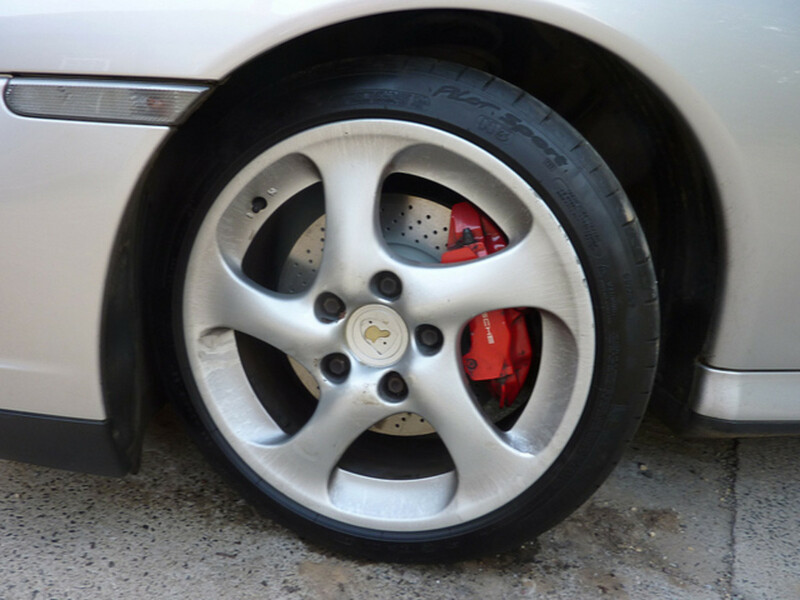 Replace a brake caliper at home using these steps and tips and a few simple tools. 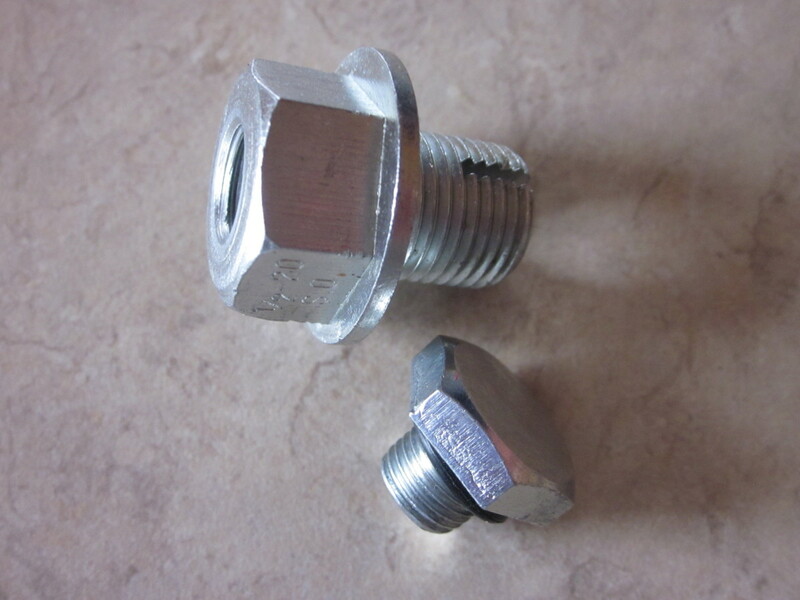 If you have an oil drain bolt that is leaking or the threads are damaged beyond repair, you don't need to have the oil pan replaced—you just need a few tools, my recommended repair kit, and 30 minutes. 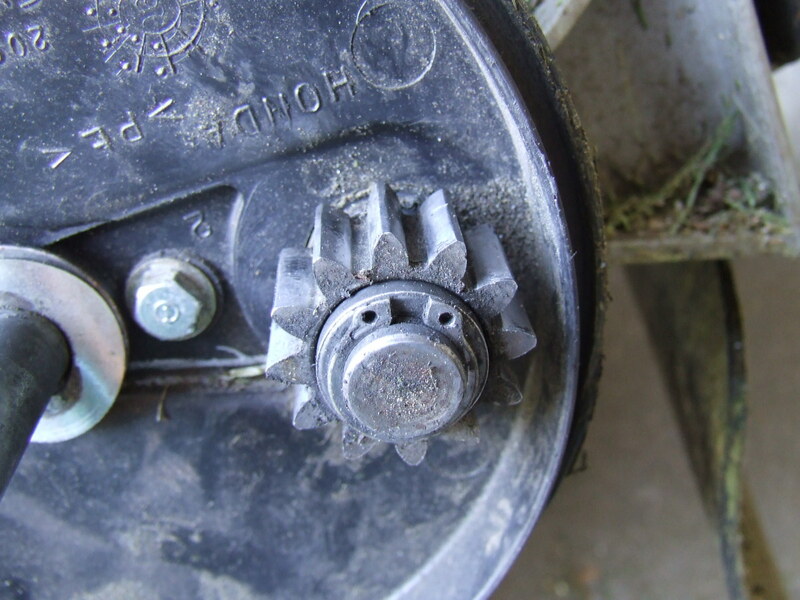 This collection of repairs for Honda Harmony lawnmower transmissions is growing monthly. 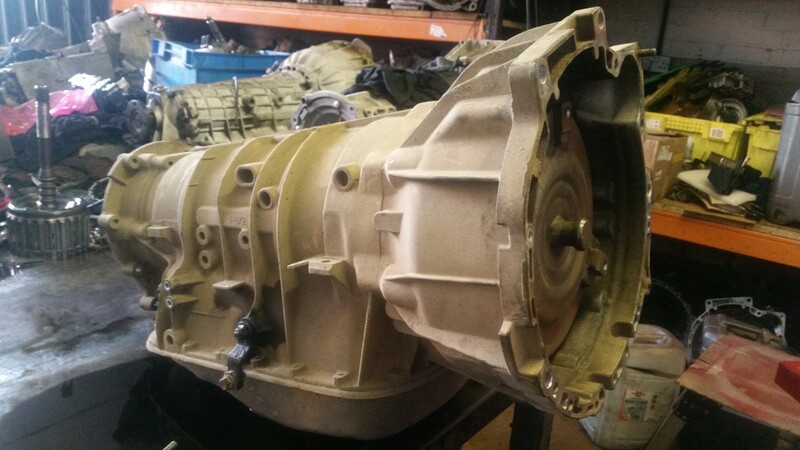 If your Harmony transmission has a problem, we probably have the solution! 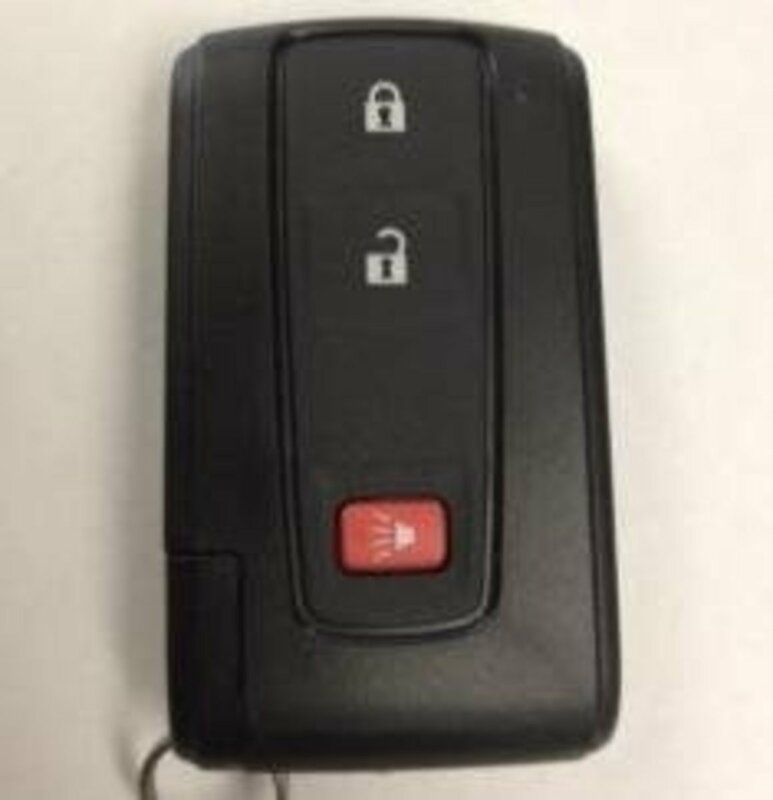 Tips for replacing your Toyota Prius smart key battery, buying replacement keys for cheap, and tips for lost smart keys. Hyundais have a common problem with the A/C not working when the car is stopped. It's often a bad connector that is very easy to fix for under $20. This article will show you how to do the fix yourself. 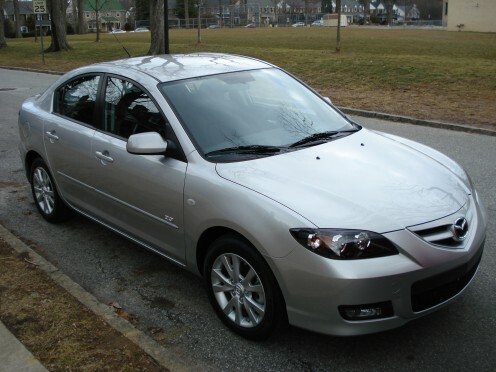 Ever wonder what the secret behind auto dealerships selling used cars is that makes the cars look good as new? This is the biggest part of it and now you will learn how to do it even better than they do—the pro way. 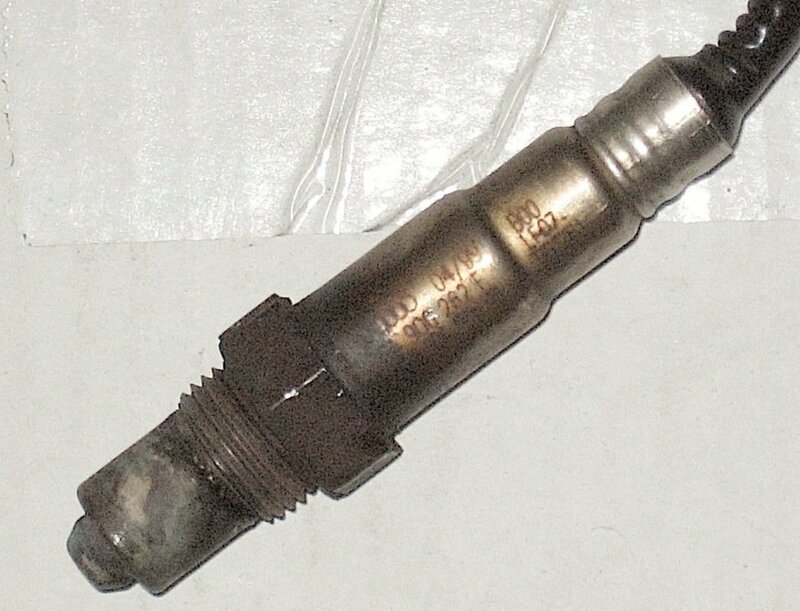 When testing fuel injectors for common problems, you don't need to be an expert or have expensive tools. 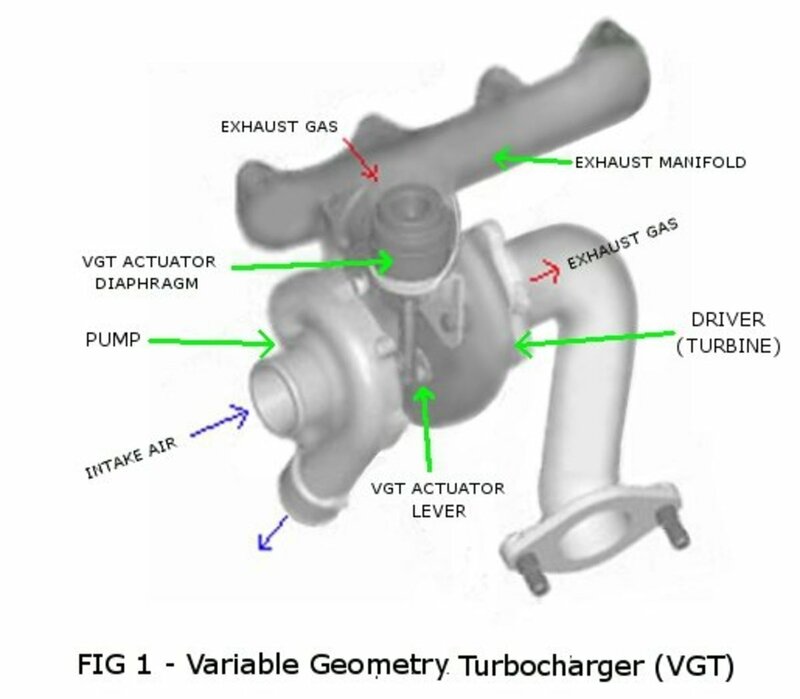 A turbocharged diesel engine that lacked power turned out to be caused by a stuck VGT mechanism, possibly due to long idling. 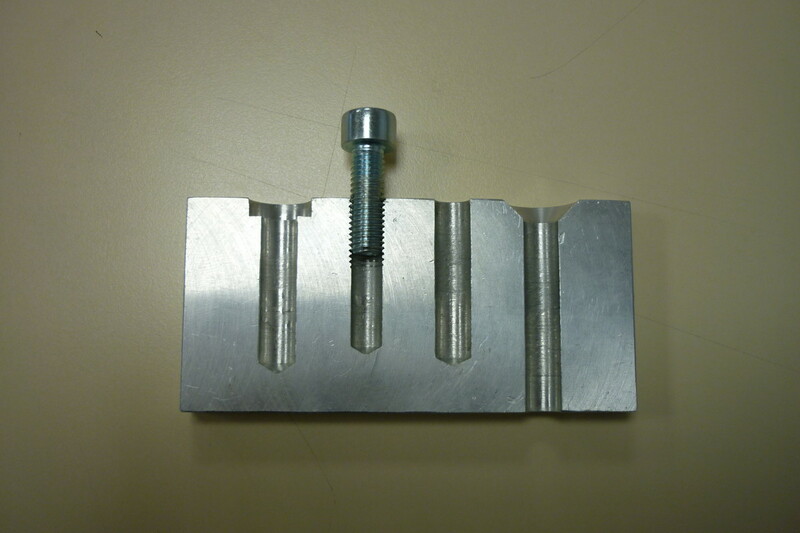 A simple but careful rocking of the VGT actuator lever solved the problem. 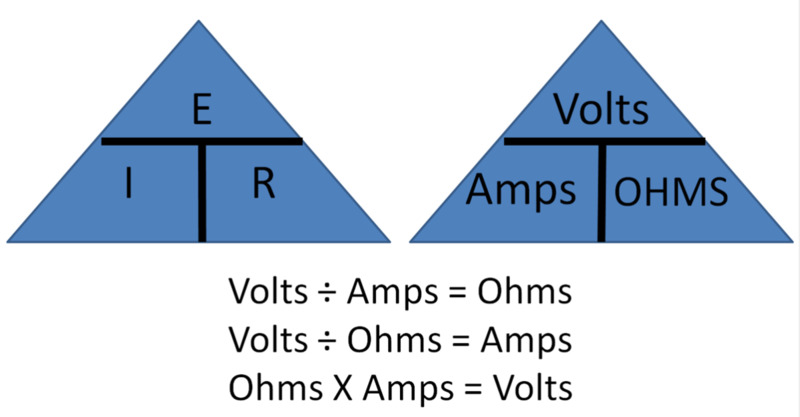 How to use a voltage drop test to troubleshoot common automotive problem circuits to speed up repairs and save money. 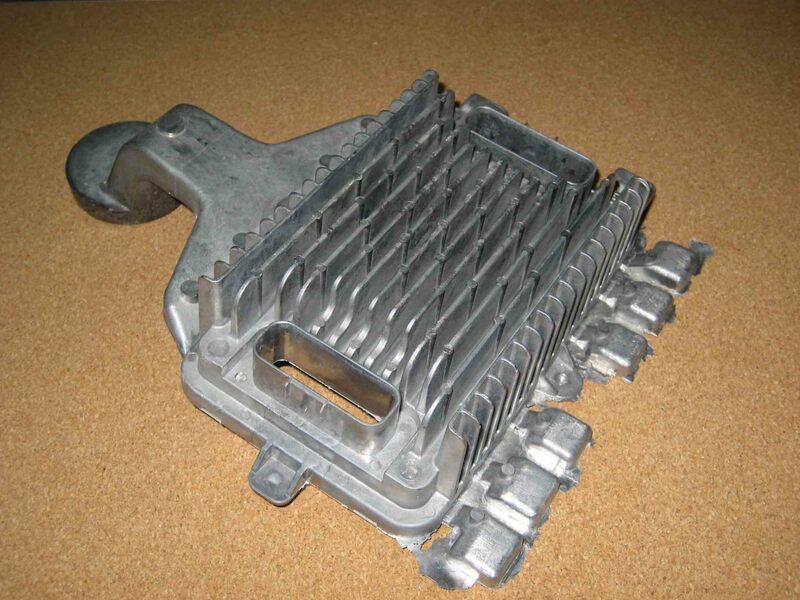 The GM 5L40-E is a popular transmission, but it is not without its faults. Here are some of the most common ones. 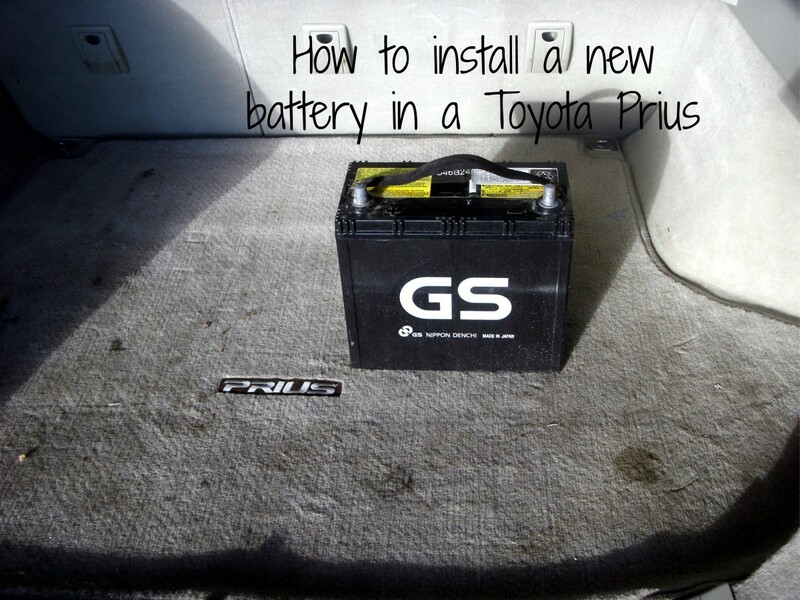 A pictorial tutorial on changing the 12V battery in a 2004-2010 Toyota Prius. 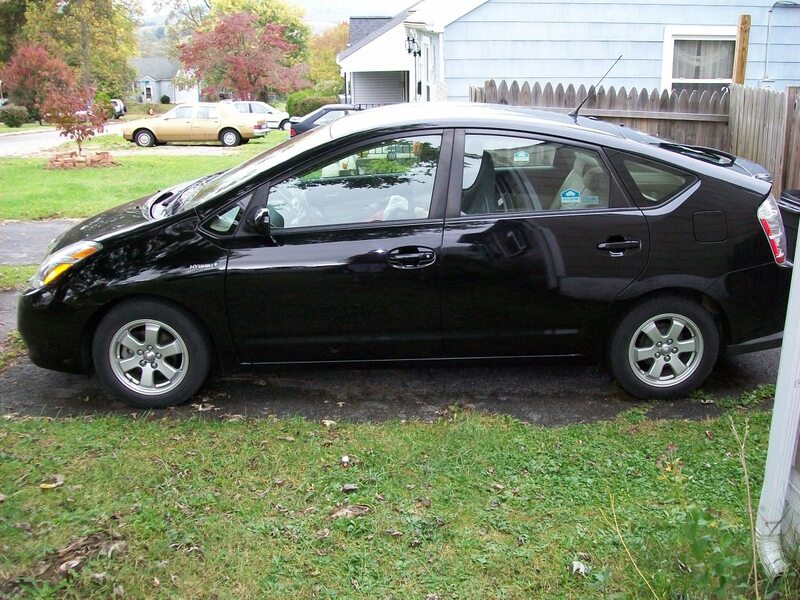 While more difficult than most cars, a Prius battery replacement is still within most homeowners abilities. 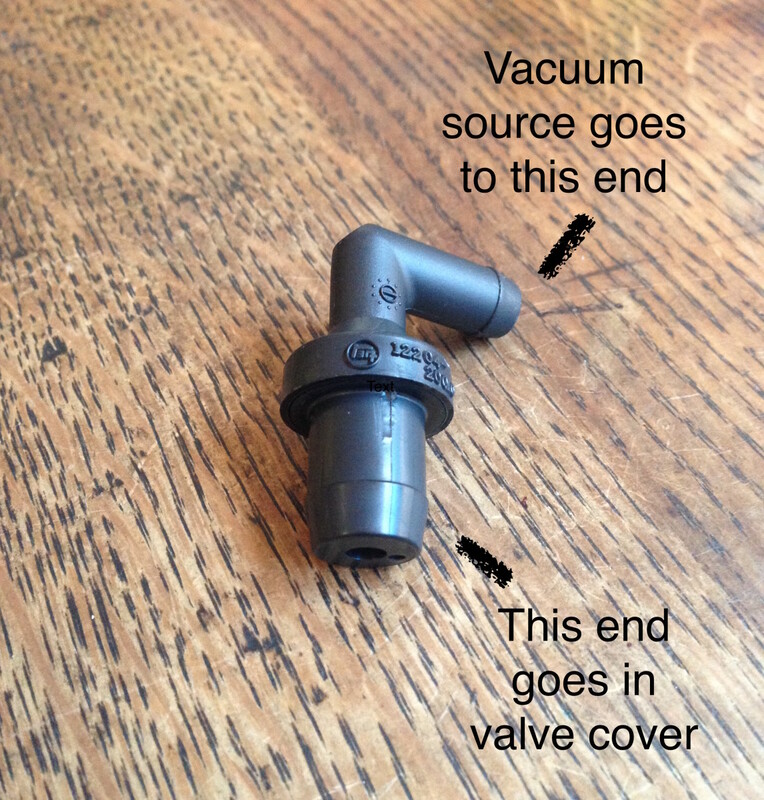 The important function of a working PCV valve, how it works, signs that it's failing, and how to test. 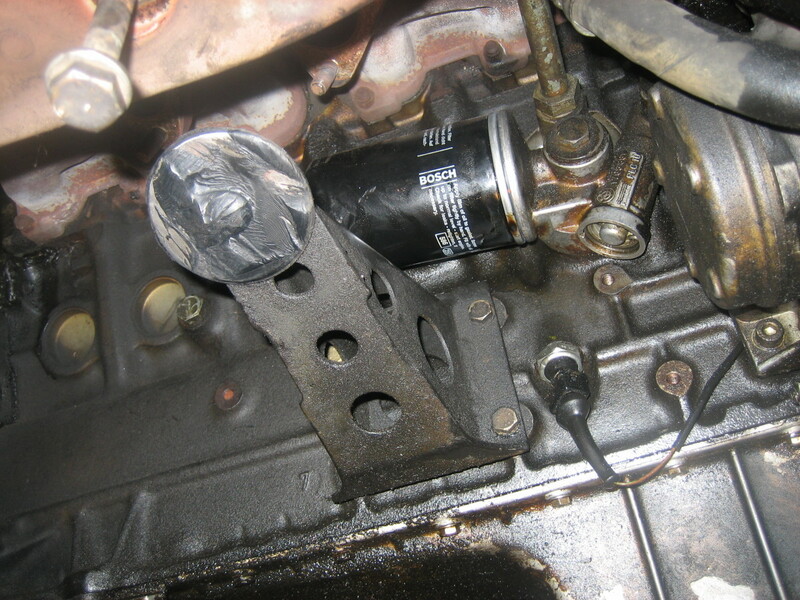 How to find an oil leak in your car using a simple strategy to save you time and money. 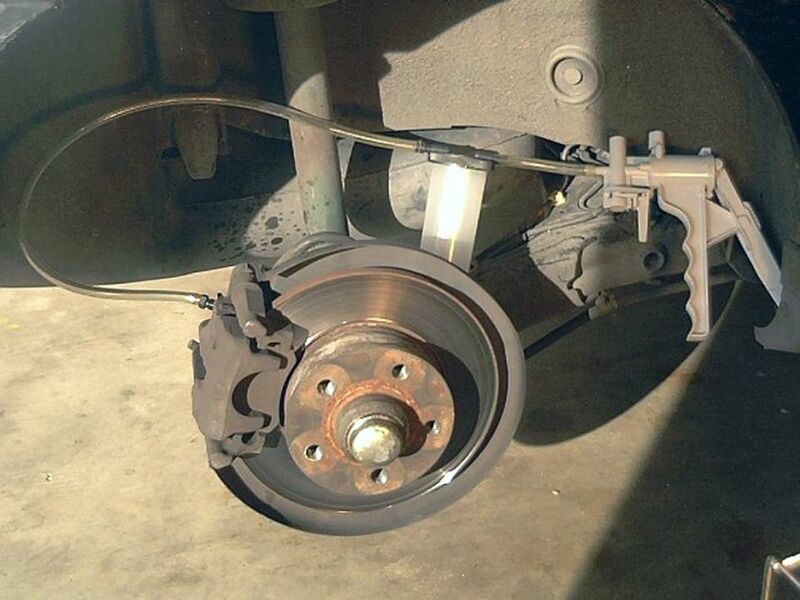 DIY how to adjust the rear brakes on a Camry. No special tools required. 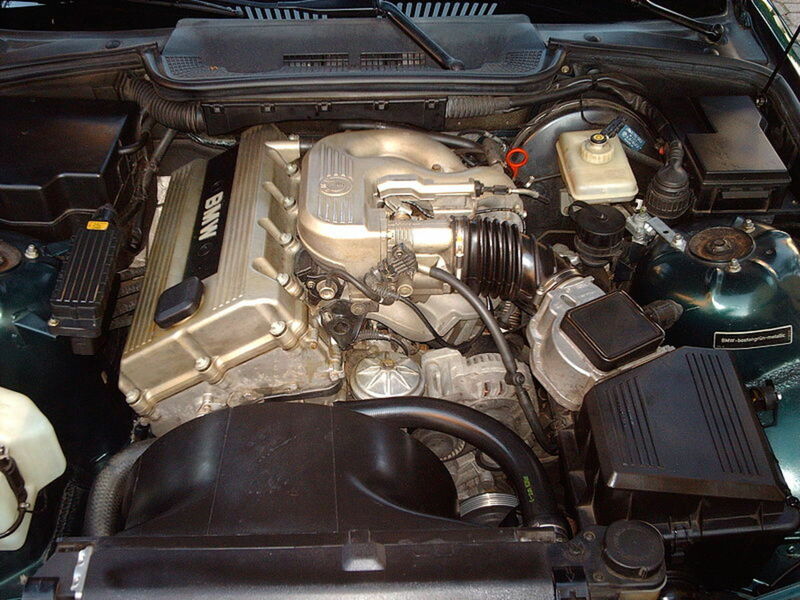 A knocking or ticking noise from your engine is a sign that something is wrong, usually because of a lack of oil. If you're questioning what is normal engine noise, I may have the answer. 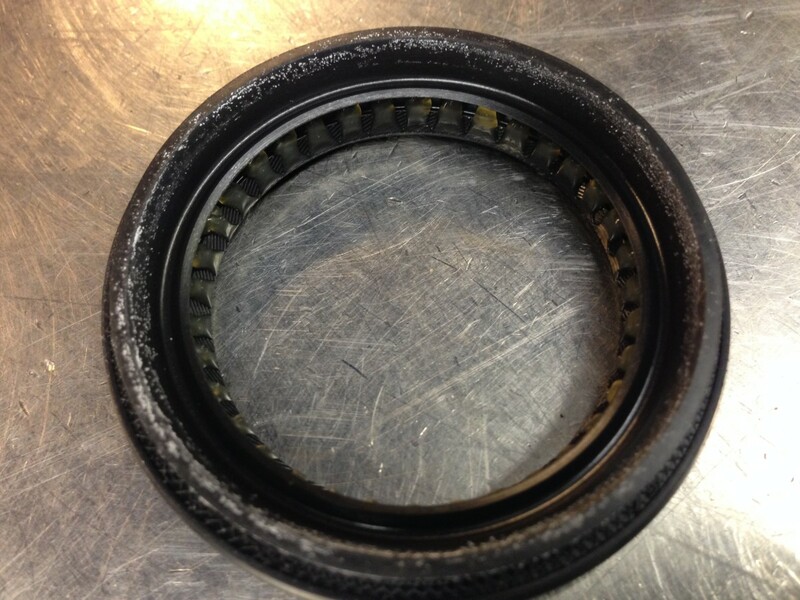 Learn how to change a front wheel bearing with a step-by-step guide with photos and a video. 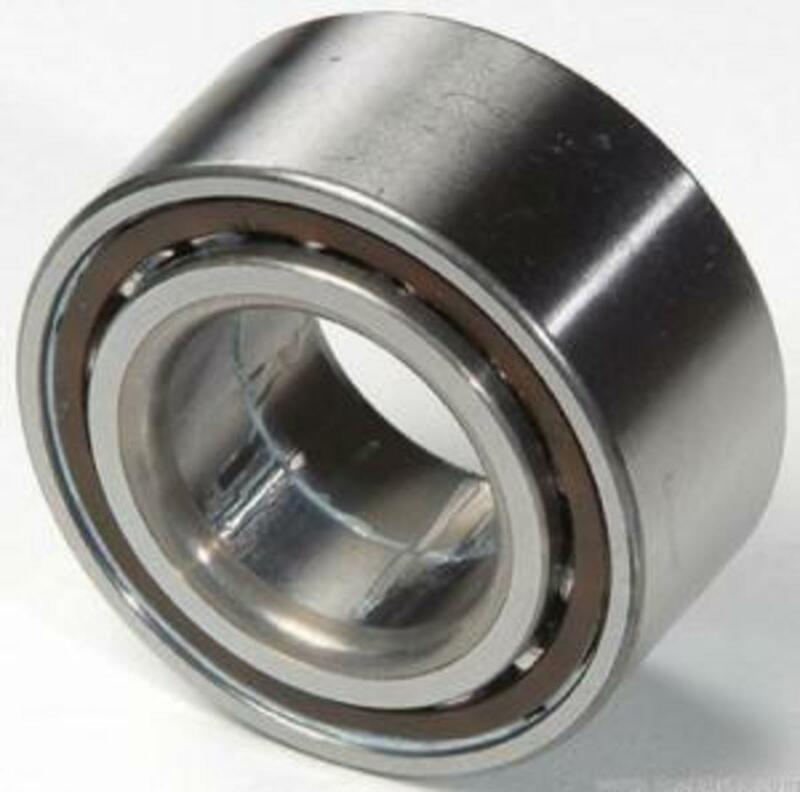 In the video, you will learn what a damaged wheel bearing sounds like and how to determine which wheel bearing is causing the noise. 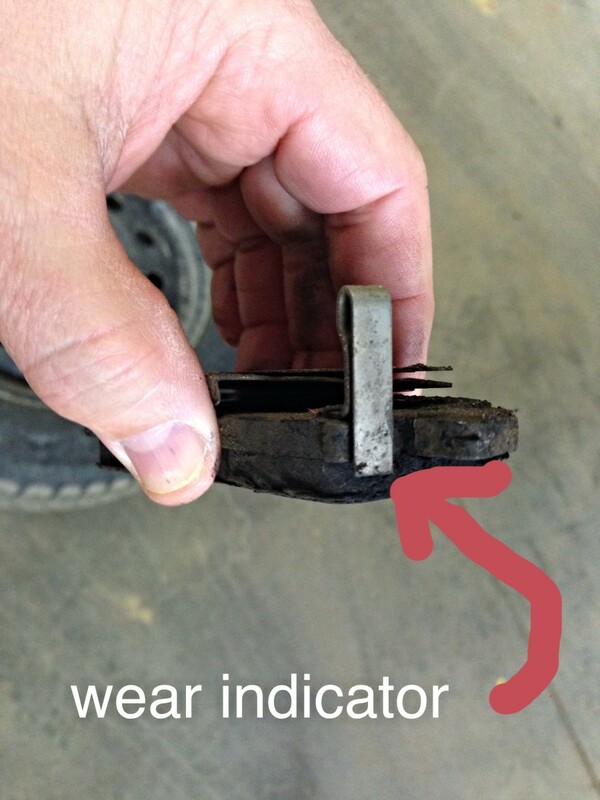 Once you learn this trick of the trade, your mechanic can never sell you a wheel bearing you don't need. 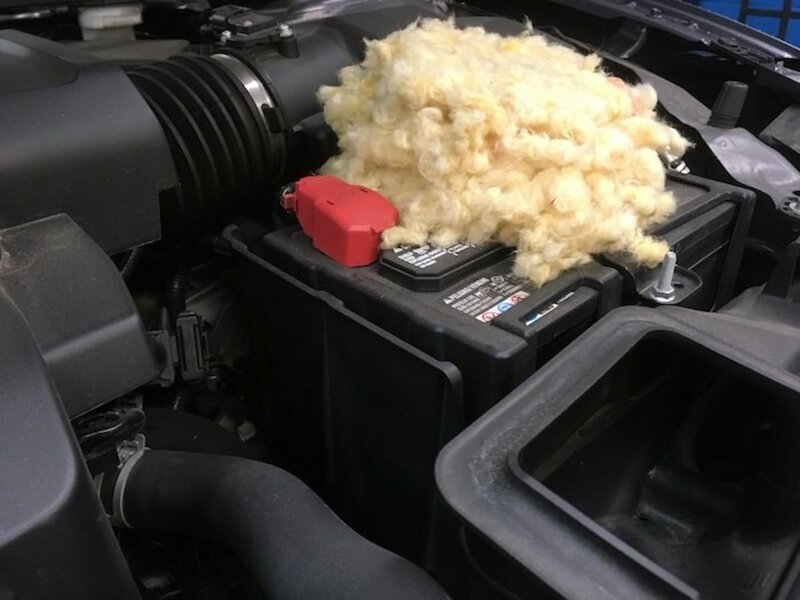 Ford Fusion owners: Beware if your A/C has stopped working! Ford had a genius idea to install a sensor in the top of the evaporator case. What does this mean to the owners of the Fusion? 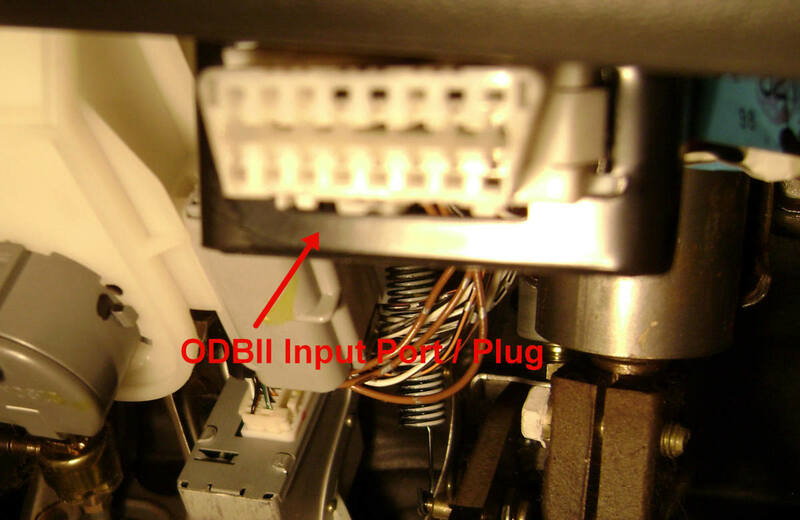 A DIY how-to on replacing the thermostat and temperature sensor on a Toyota Camry. 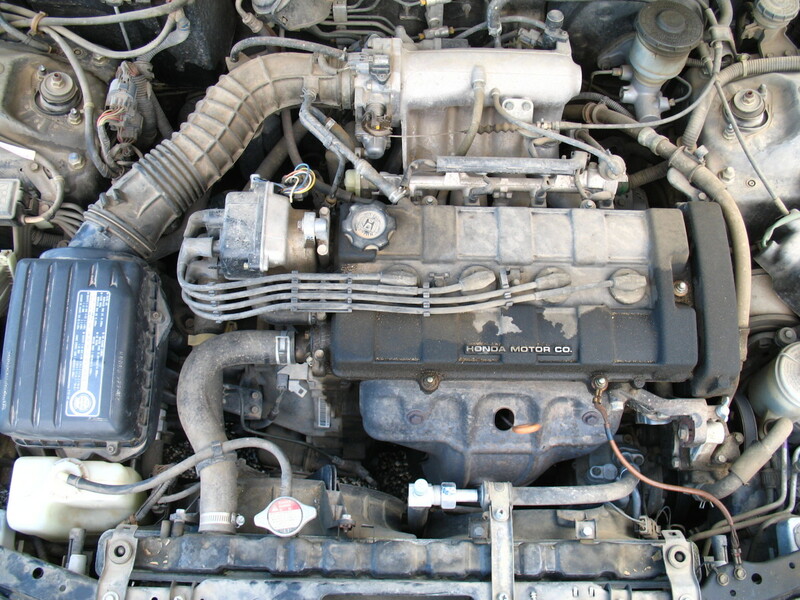 DIY Toyota Camry tuneup, plus PCV valve cleaning. 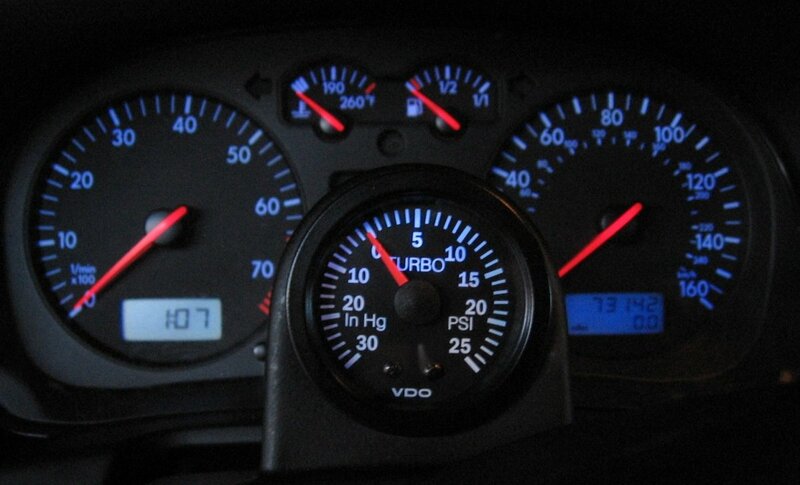 Use iridium plugs for better fuel economy and performance. 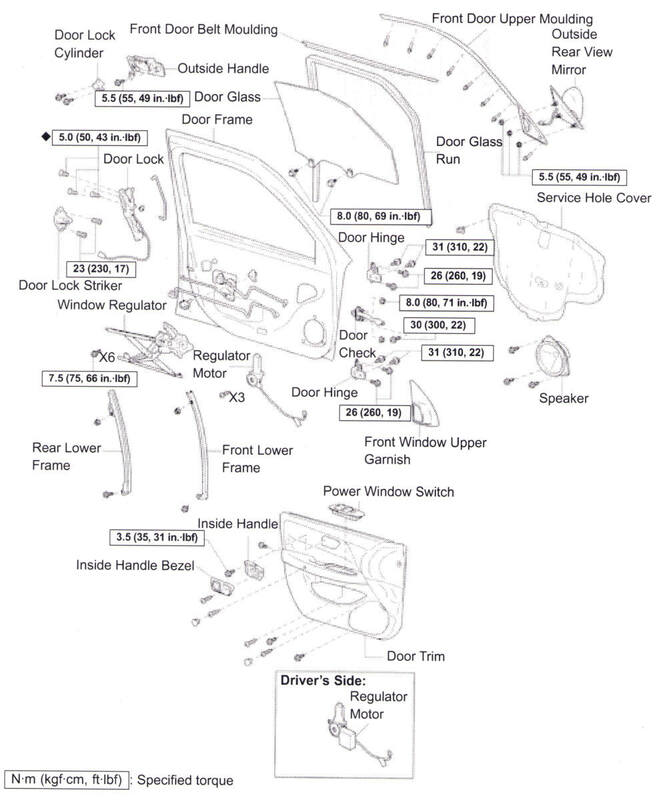 How to replace the door glass, door glass guide, window regulator and window motor on a Camry. No special tools required. 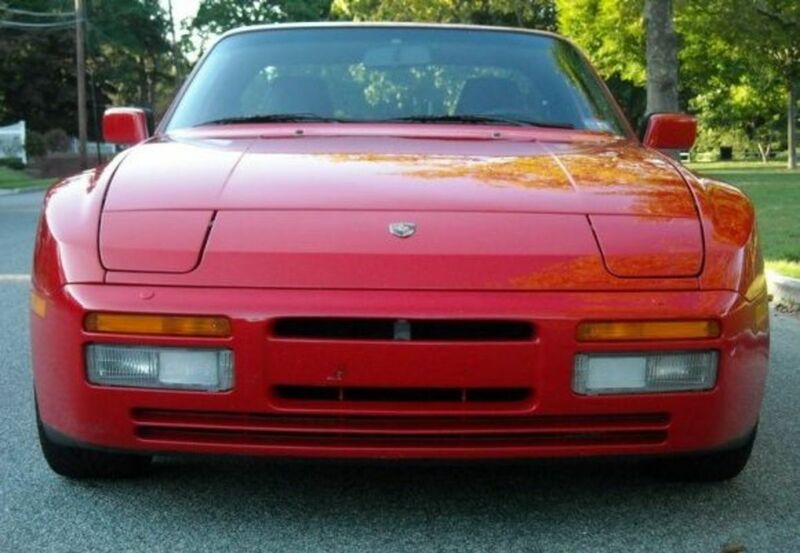 Most parts can be obtained from a salvage yard and transferred to your car. 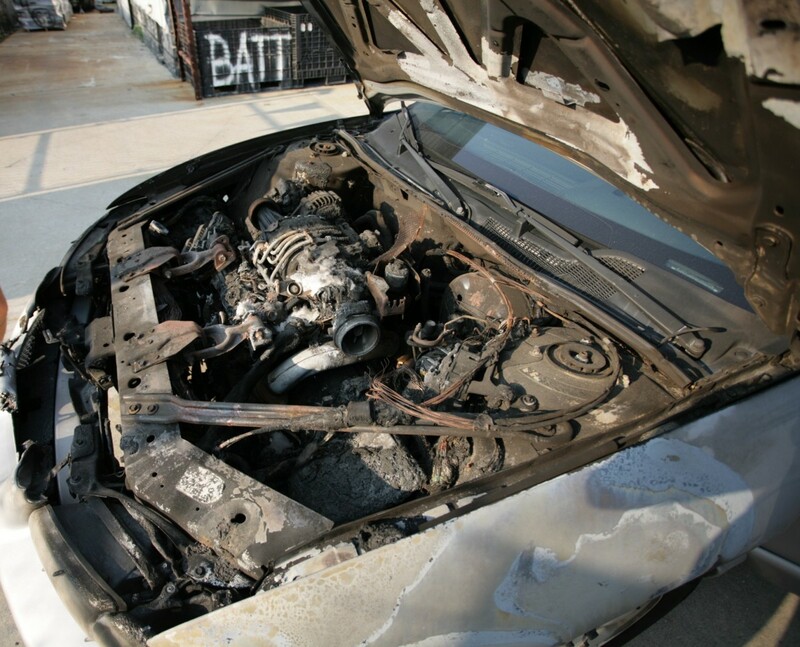 Your Mustang is dripping radiator fluid—what might be the problem? Check the thermostat housing! 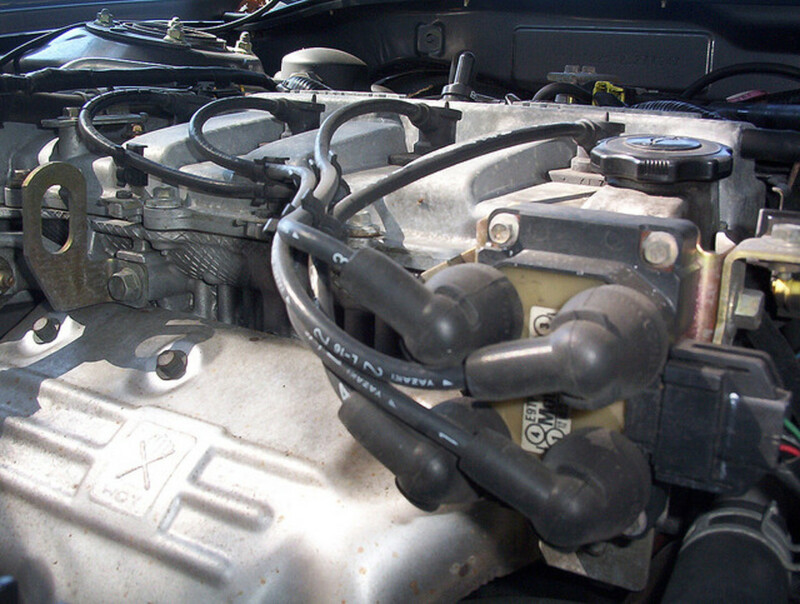 The housing is notorious for leaks on the Ford Mustang. 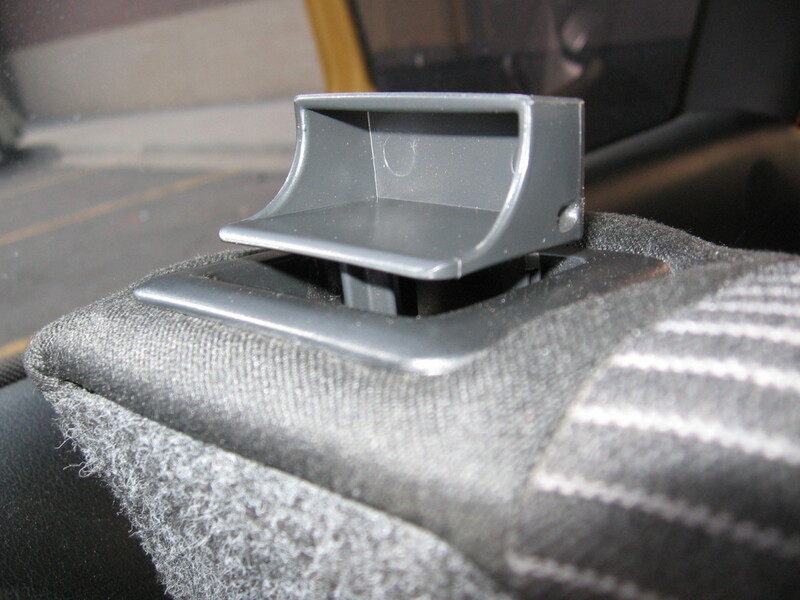 There are common reasons for knocking noises in your car when driving over bumps, large and small. 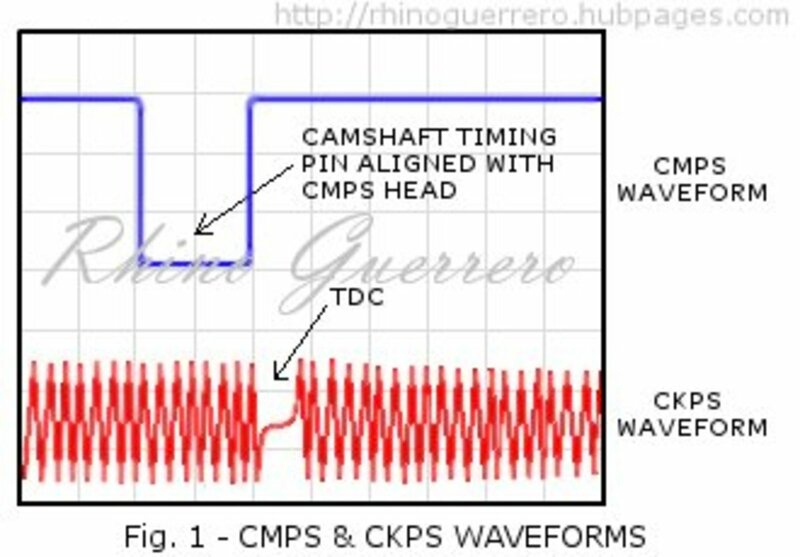 I will cover the five most common ones we see every day and explain how to check the components' integrity and condition. 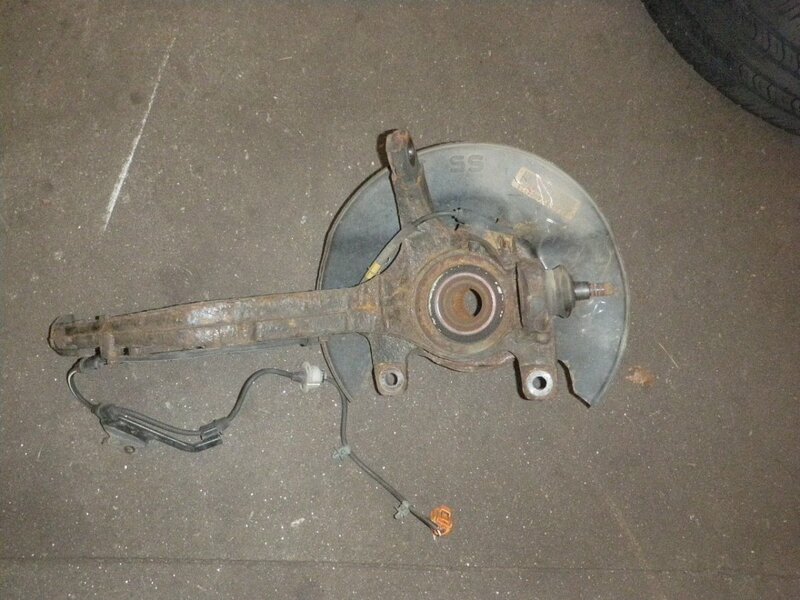 My new Jetta MKIV 2.0L had some serious brake issues going on. But they were easier to fix than I thought they would be. This guide tells you how to troubleshoot the usual suspects and more when your engine won't crank over. Are the brake lights on your Honda staying on even after you remove your foot from the brake pedal? The solution to this problem is simple, and costs less than five dollars in most cases. Check out my tips for installing 4-wire trailer wiring. It is easier than you think. 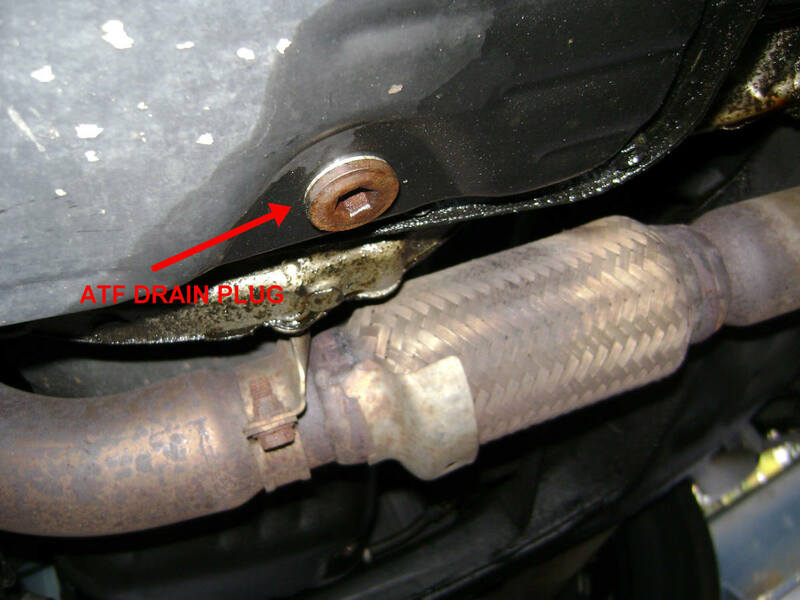 Does a rubber oil pan drain plug work? Not really. 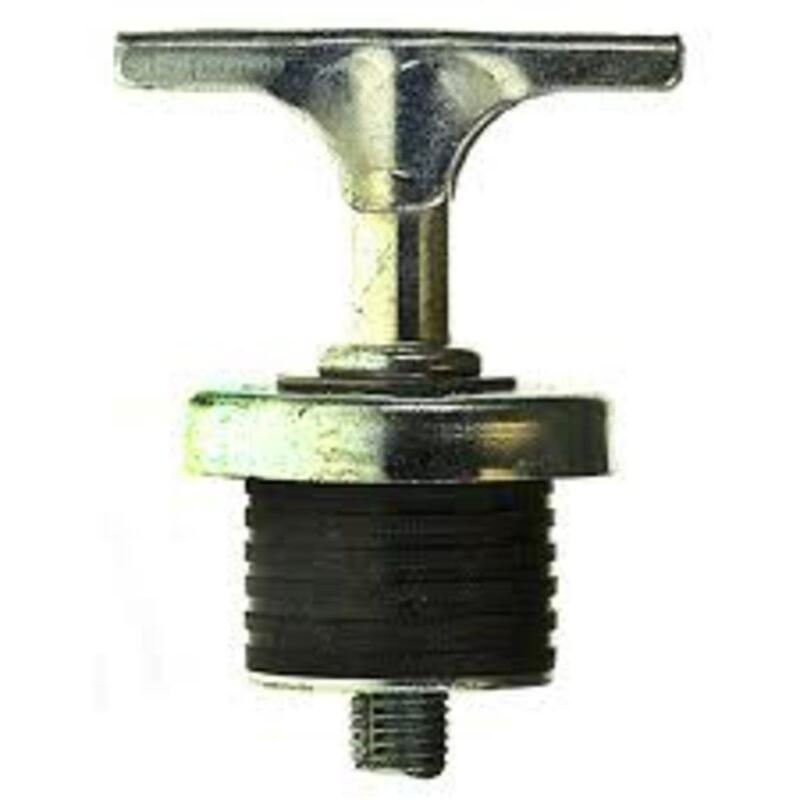 The self-threading piggyback oil pan drain plug cold welded in place is the answer! If your car consumes more fuel than usual, find the culprit fast and stop throwing money at the gas pump. Why is my car overheating? What can I do to fix it? 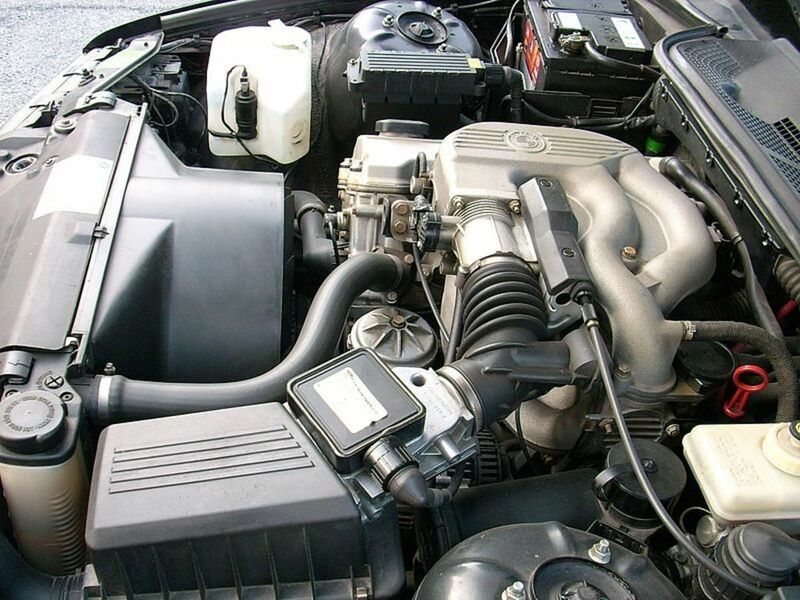 There are many reasons why an engine might overheat, and many simple fixes for those problems. Why Is My Car Engine Overheating? Check for cooling fan problems using this simple guide and tips. 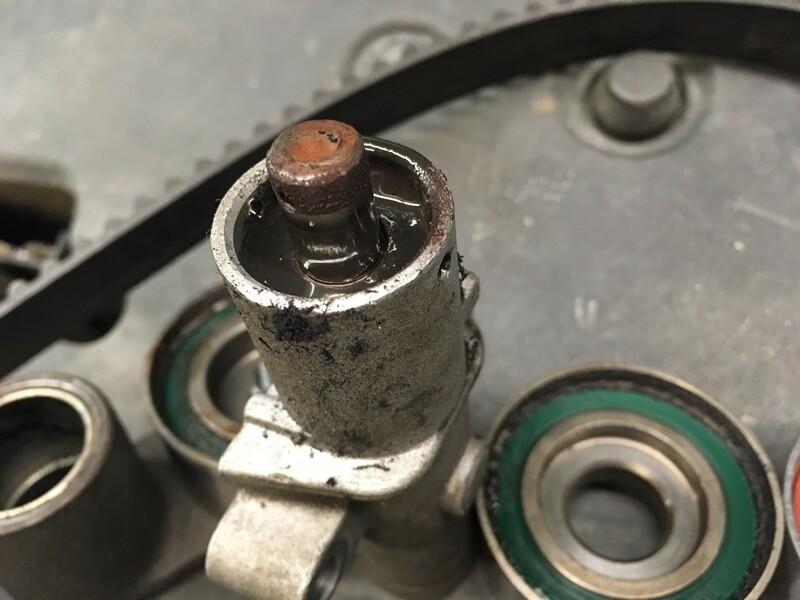 This DIY provides the basic procedure for replacing the front hub and wheel bearing in a 2000-2011 Ford Focus, as well as other FWD cars, without removing the steering knuckle and without using a standing hydraulic press machine. Special tools are required. 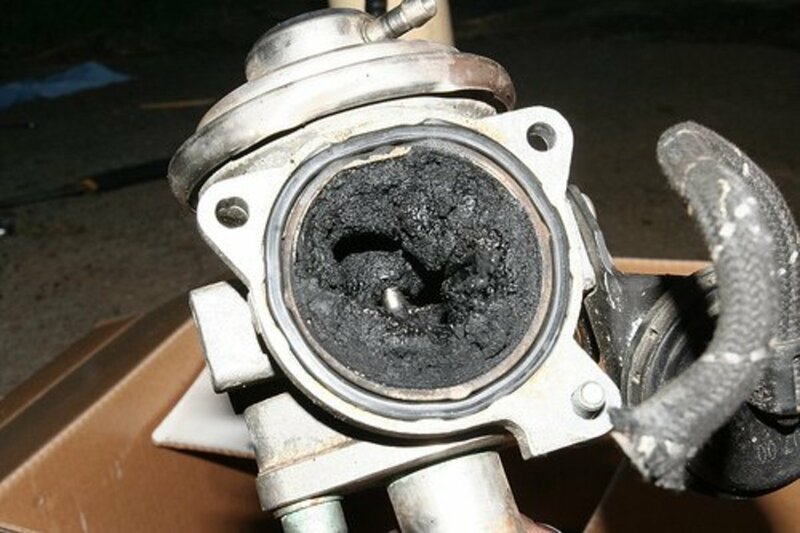 Diagnose a water pump failure faster with these three simple step-by-step methods. 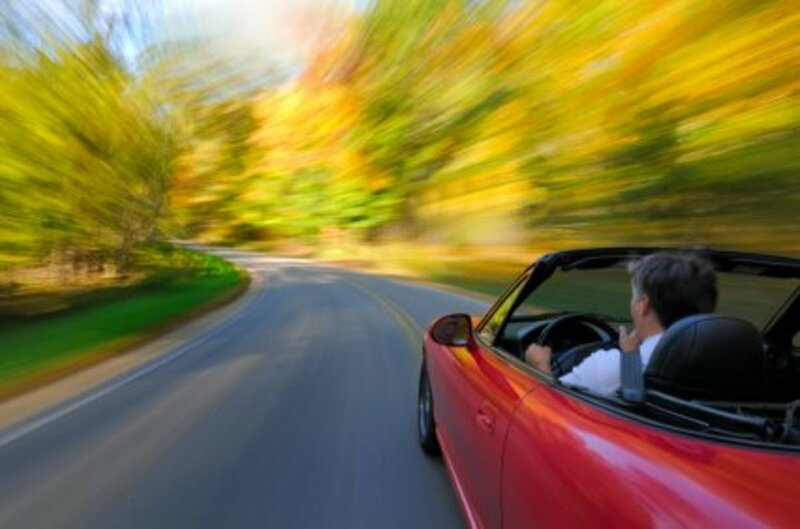 Is your engine hesitating during acceleration? Get to the source of the problem with this guide. 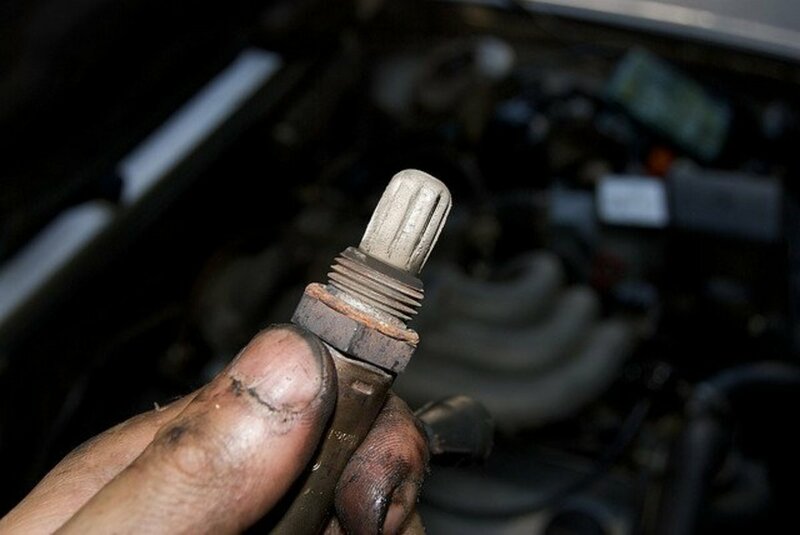 Simple-to-follow instructions for repairing a spark plug wire that has been pulled off the clip. When the battery on a Nissan Micra goes totally flat, the electronic locking system won't work, so you can't open the door. 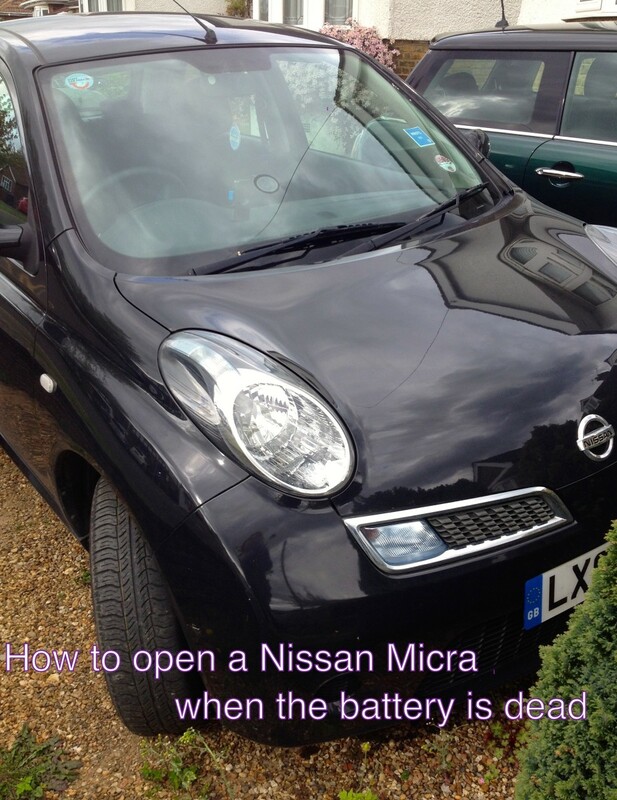 Here's how to unlock your Nissan Micra when the battery dies. 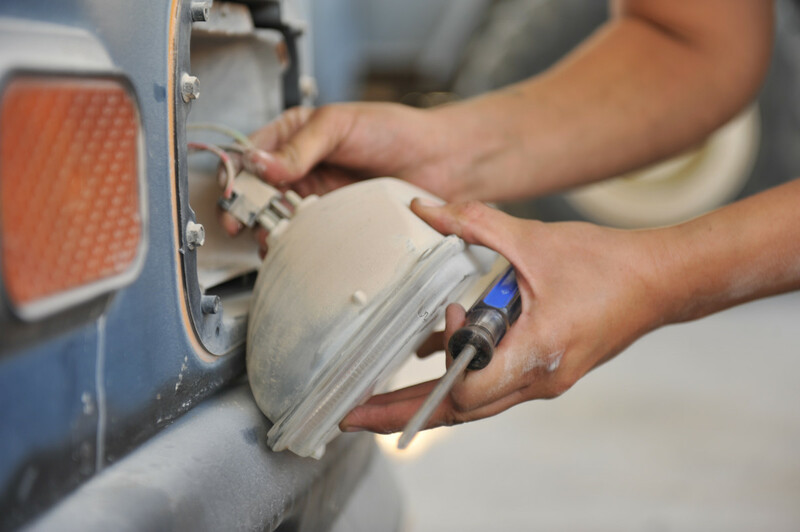 Check these common sources of car vibration and noises and repair your car sooner. Why Does My Car Vibrate or Make Noises? Electrical Switches and Relays can control the power or ground to an electrical device. The switches can also be used to be an input into a computer system. SPST, DPDT and SPDT are types of switches. 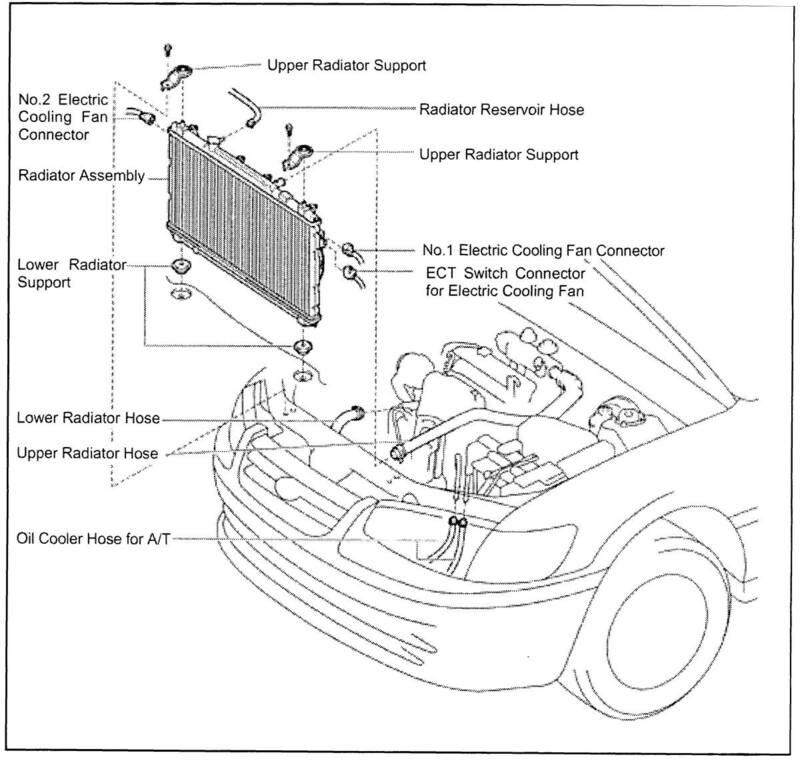 Eight ways your car radiator can cause your engine to overheat, plus troubleshooting tips. Do you know what to do in the event that you get in and turn your car on but it doesn't start? Check out this hub for some helpful tips on what to do. What Do I Do When My Car Won't Start? 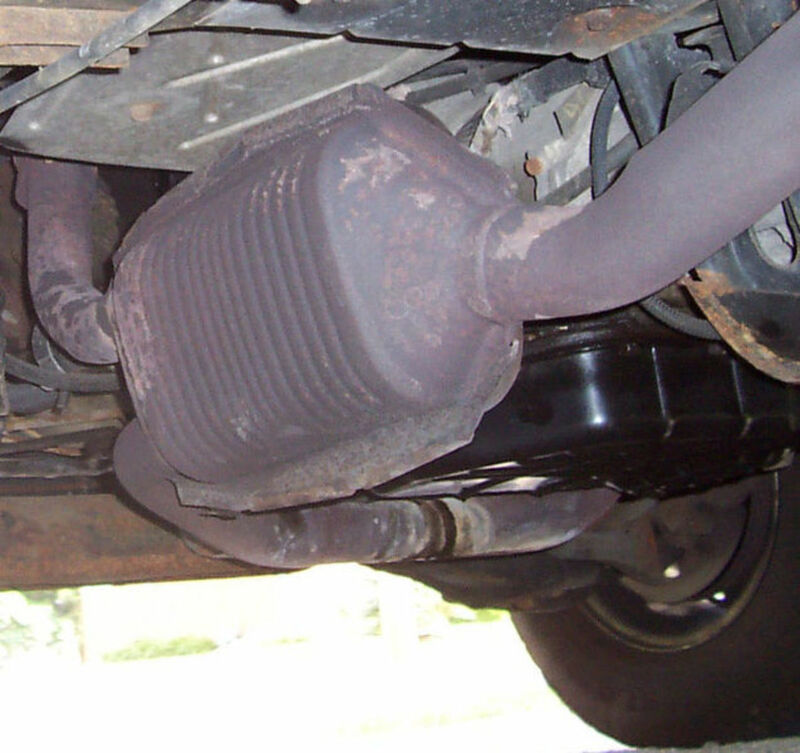 This guide shows you how to fix the exhaust pipe or muffler on the cheap. 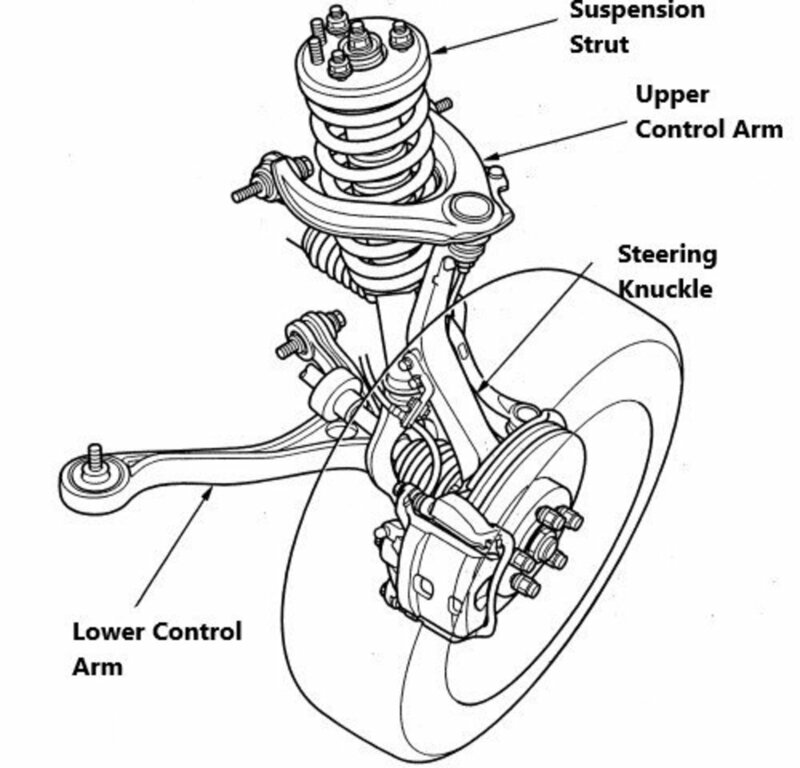 Does your Toyota erratically change steering direction? 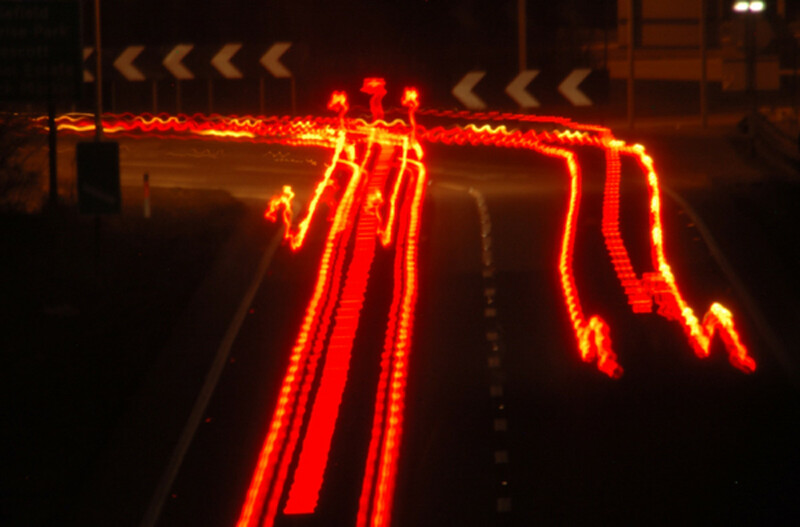 Do you notice thumping or a tugging sensation when accelerating from a slow speed and turning? New control arm bushings may be needed. Includes video! 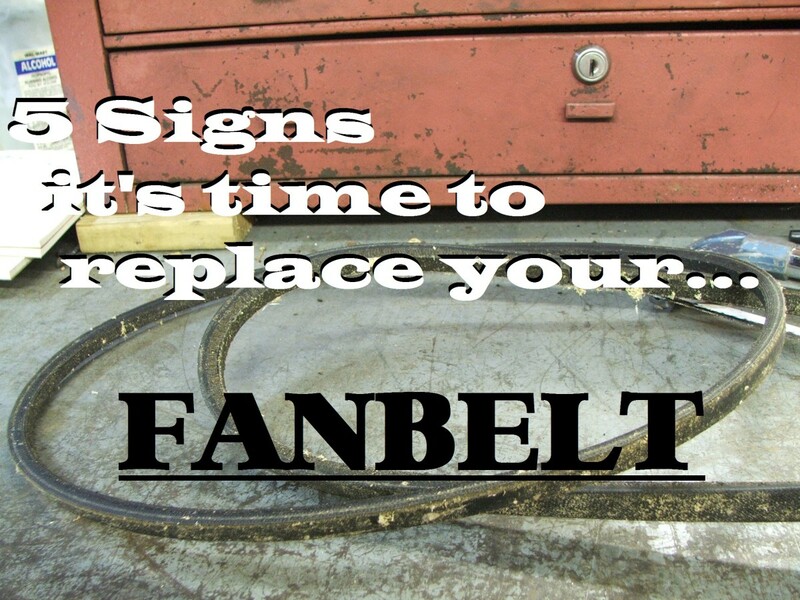 Worried your fan belt is bad? 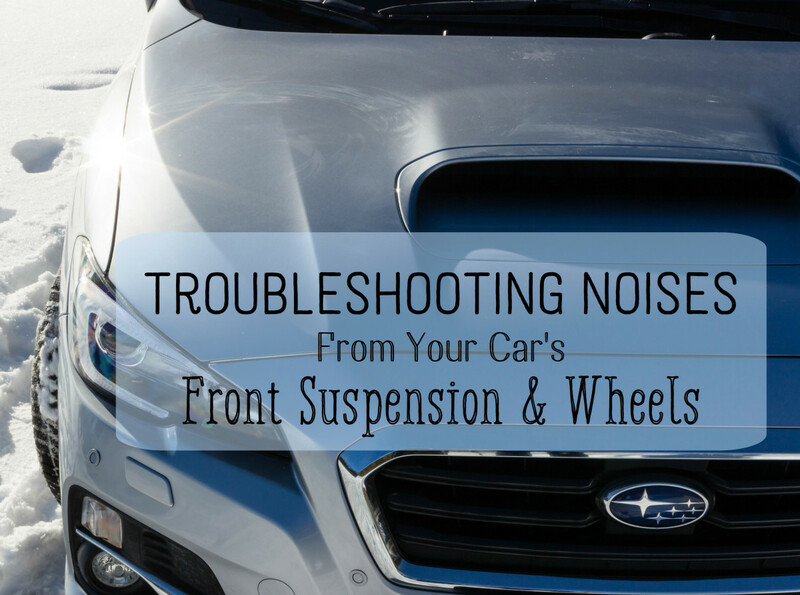 Hearing strange squealing or whining noises from your car? 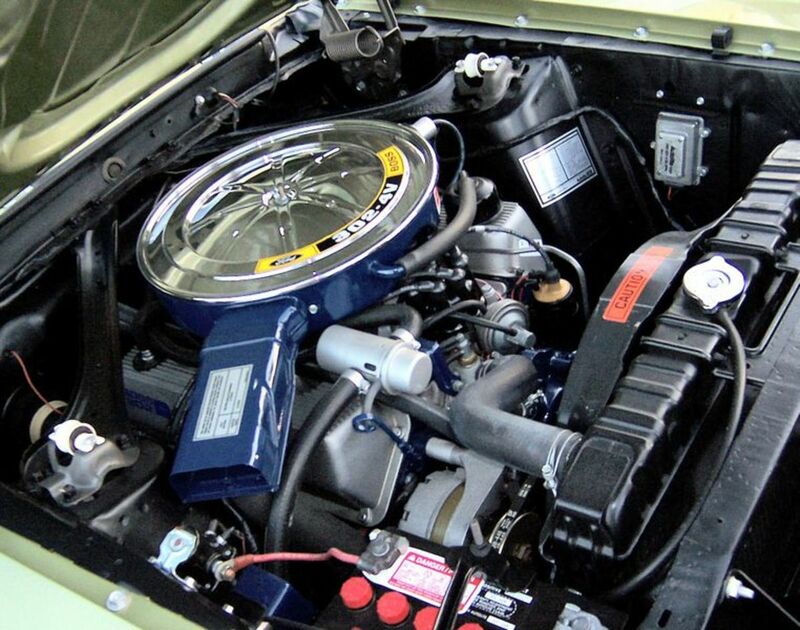 Thinking about a few extra things every car should have in a tune up? Look no further! This article's for you! 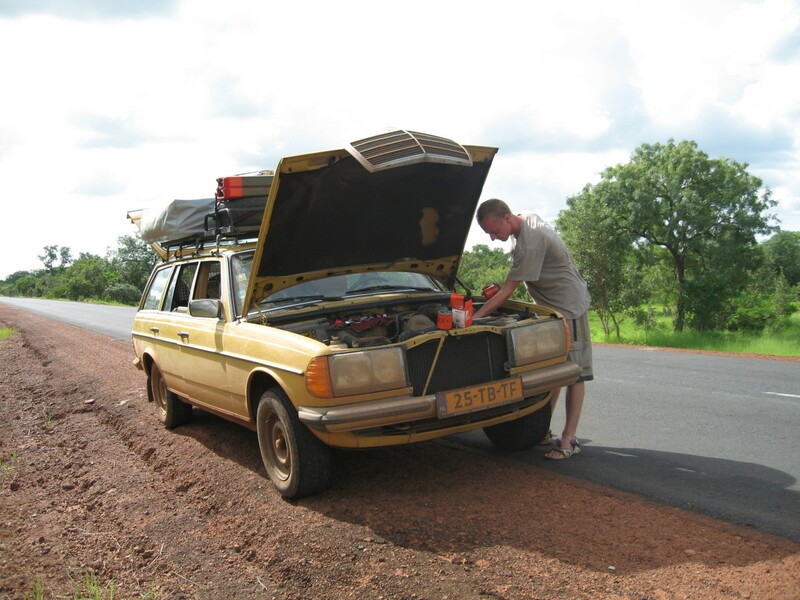 Figure out if your car battery is keeping your car from starting. 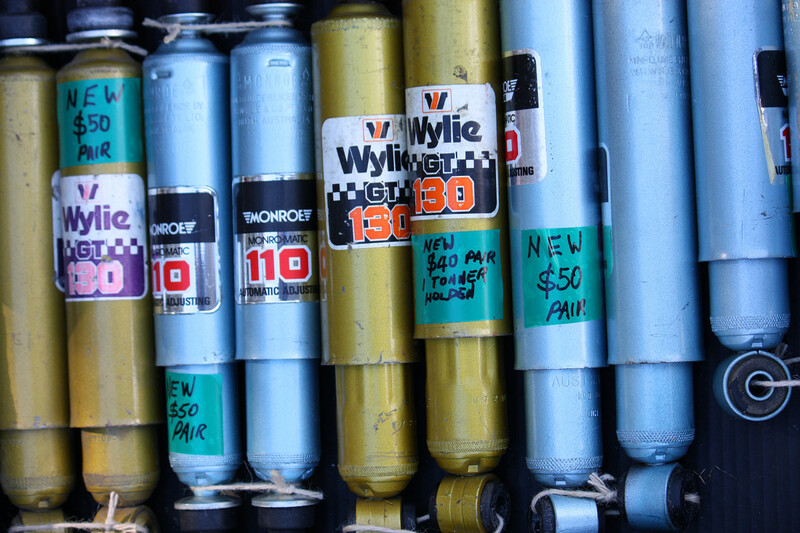 Troubleshooting the sounds your car suspension makes can save you a small fortune. 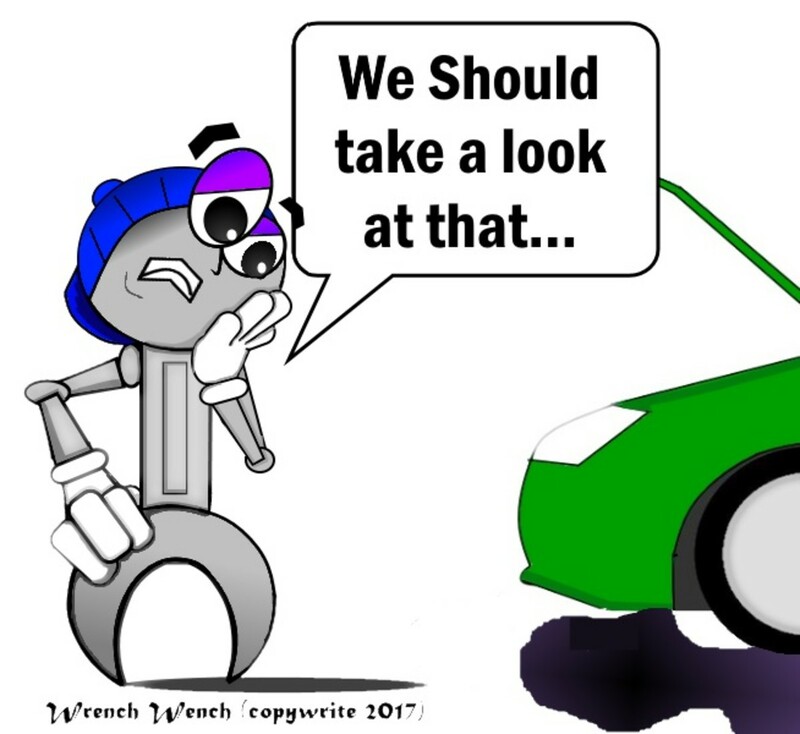 Before you spend a dime, read this first, and leave a comment for specific advice about your car. 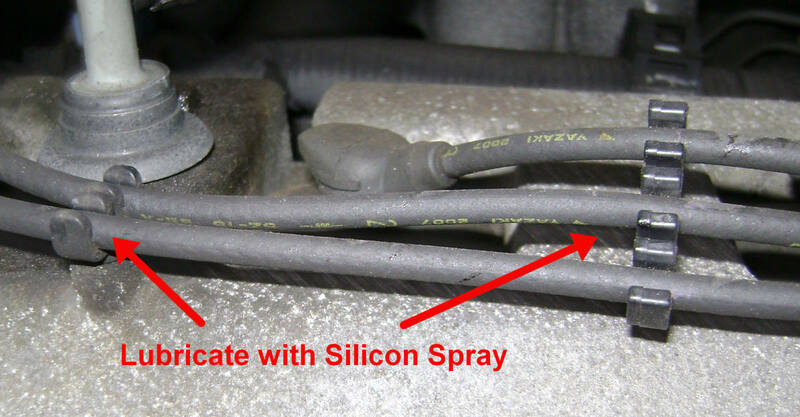 Find and fix a vacuum leak in your car in a few simple steps using simple tools. 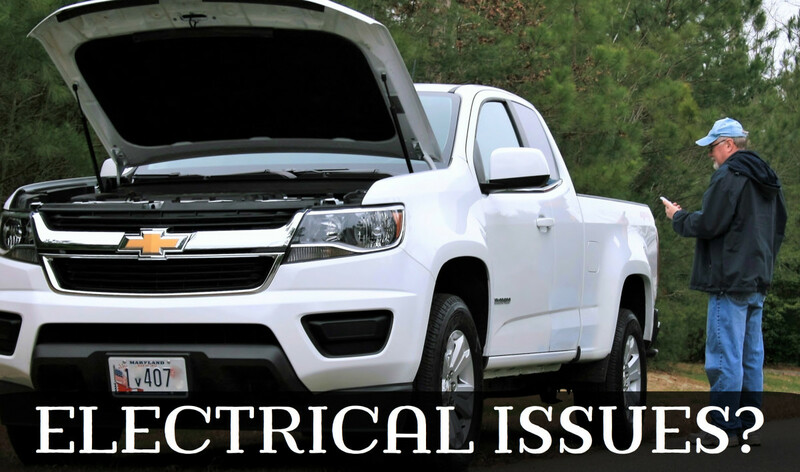 Learn about different problems that can occur with your car's electrical system. 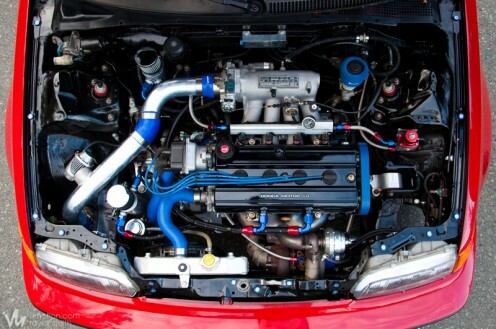 This article explains how to build a turbo Honda or Acura yourself and what to look for in a bolt-on turbo kit. Installing a front license plate is a cheap and easy DIY project you can knock out in minutes. The handful of dollars you spend on this project will avoid fines and wasted time in the future. 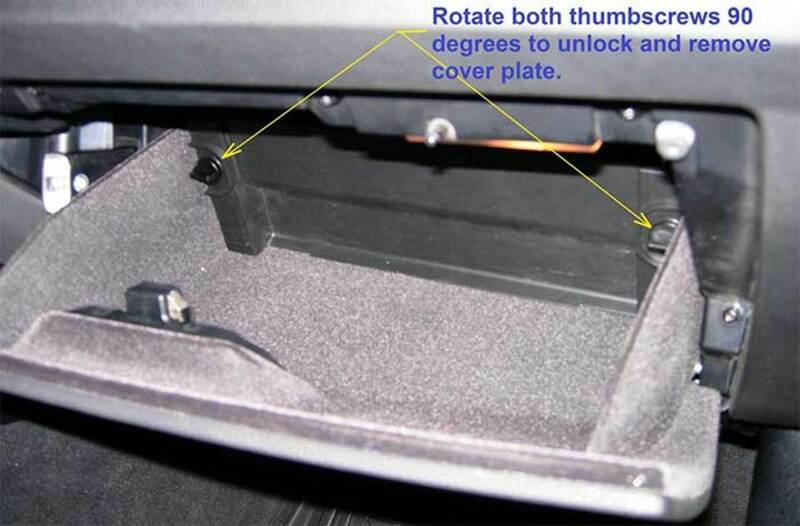 This article provides you step-by-step instructions for replacing the upper strut mount and the stabilizer link on a 2002 Honda Odyssey. 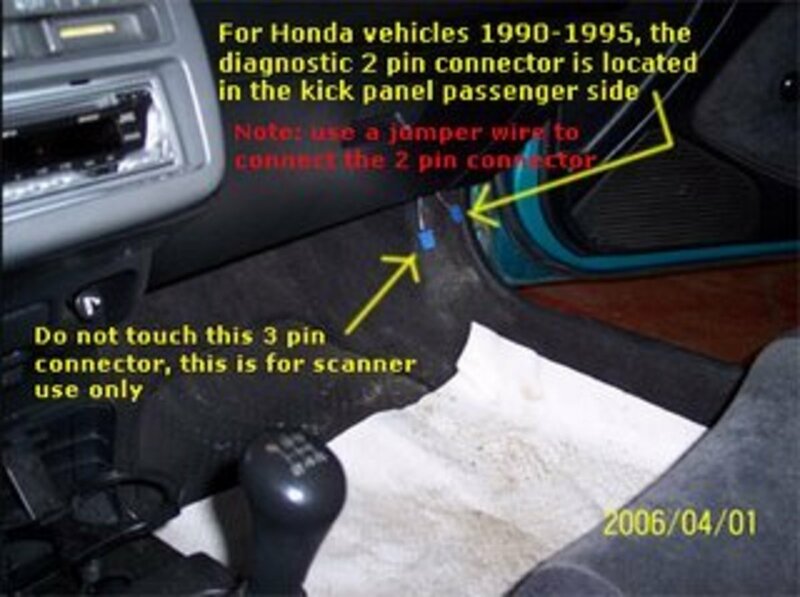 The repair method can also be applied to the Honda Pilot and the Acura MDX. 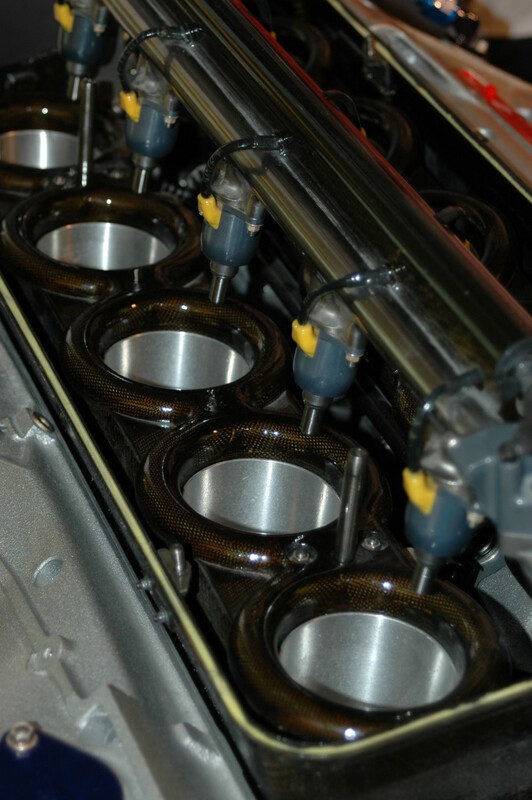 On the Chevrolet (GM) 3.1-l engine, intake manifold gaskets can fail and damage the cylinder heads. DIY replacing the gaskets and removing the heads is possible with the right tools and manual. How to fix or replace broken wire harness clips or plugs on all VW and Audi cars: 1.8T Jetta, GTI, Golf MK4, and Audi B5 and B6. You can use a special tool or a paper clip! 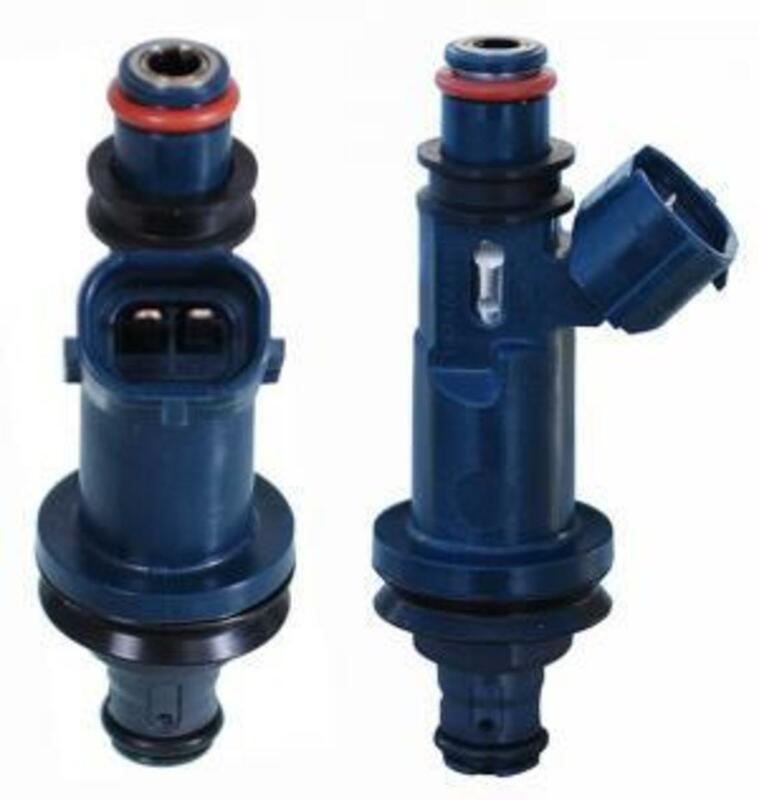 The symptoms of DTC P0340 (Camshaft Position Sensor Circuit Malfunction) are hard starting, high fuel consumption, and rough operation. 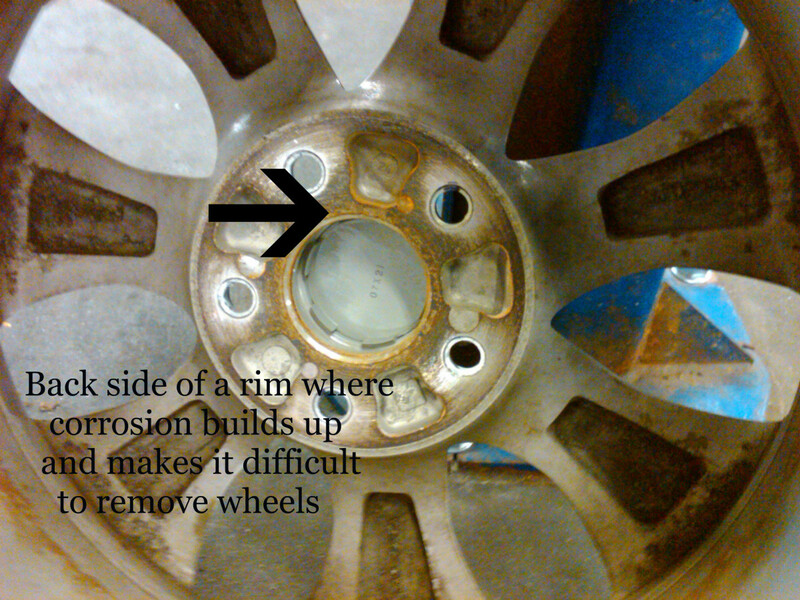 Presented here is a procedure aimed at fixing this problem. 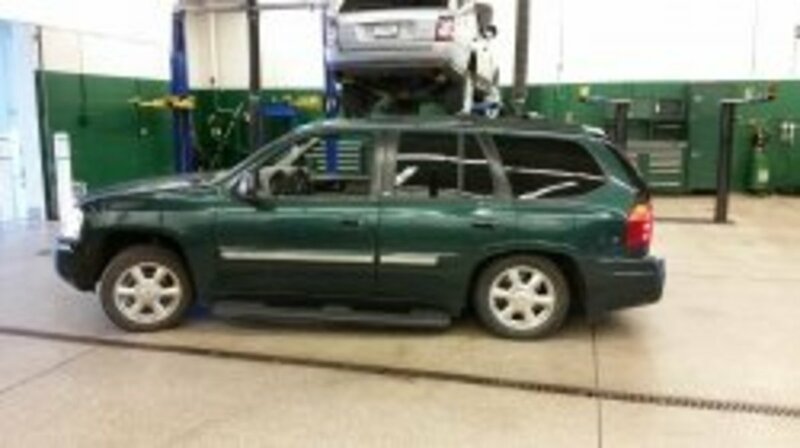 When the rear end suspension of my GMC Envoy failed, I panicked. 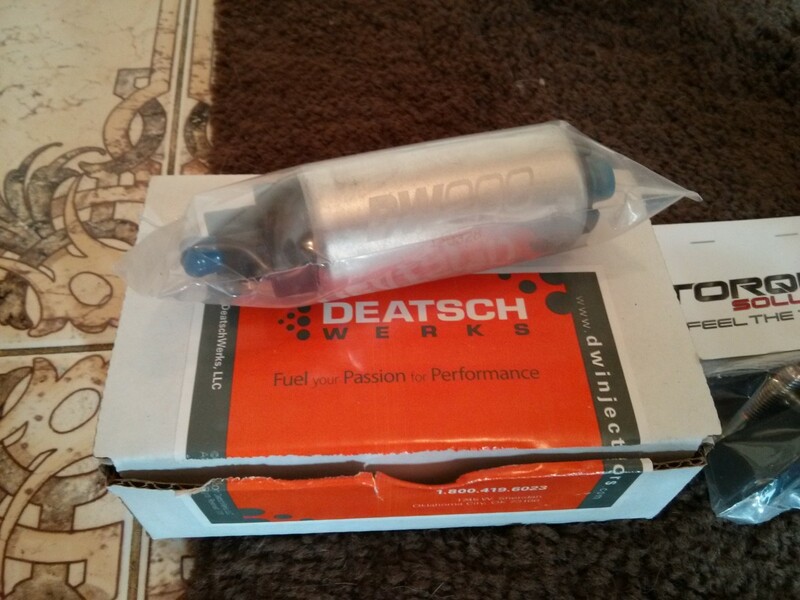 With the advice of a dear friend, I was able to order the parts I needed to get my SUV fixed affordably. 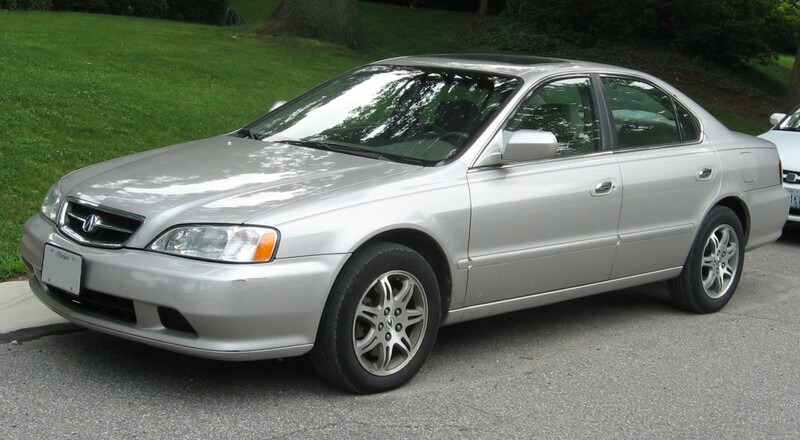 There have been complaints of the EPS light going on suddenly or the power steering failing in Civics and Accords. What you can do if this happens to you. Maybe this article will help other folks with the same 4WD symptoms who’ve exhausted all the other possible solutions. Or, maybe it will just make you pull more hair out because it doesn’t help you at all. Hopefully the former. Keep in mind, I’m not a mechanic, as I’m sure you'll be able to tell. 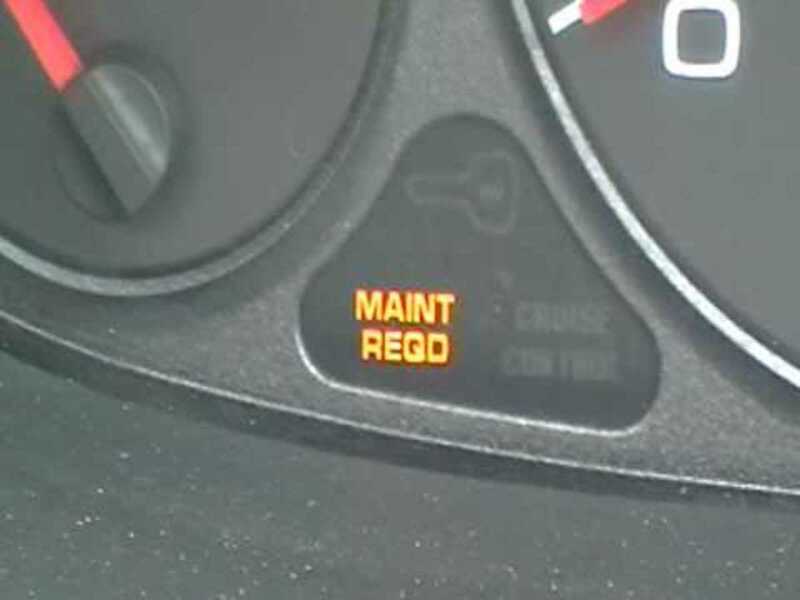 Learn what it means when the maintenance light begins flashing on your dashboard, and what you should do when it happens. Why Is My "Maintenance Required" Light Flashing On and Off? 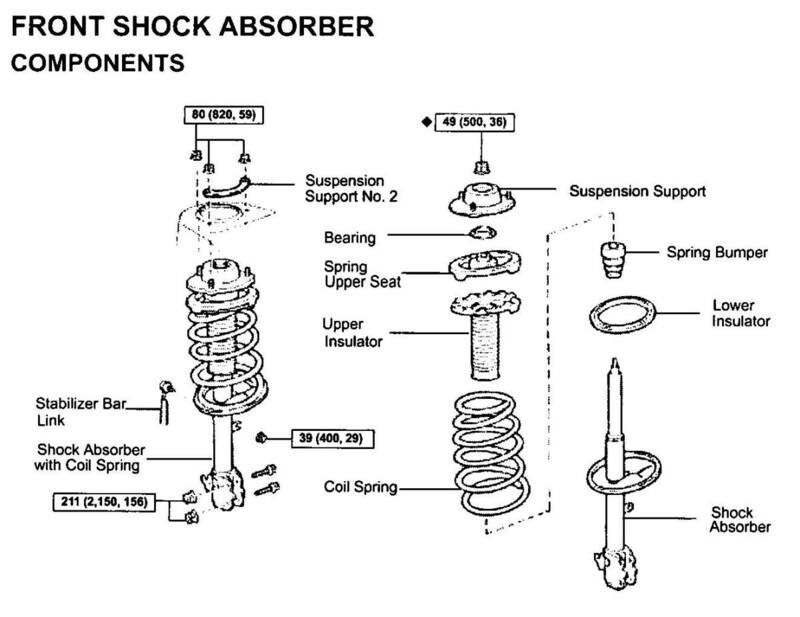 A guide to replacing the struts and shock absorbers in your car. 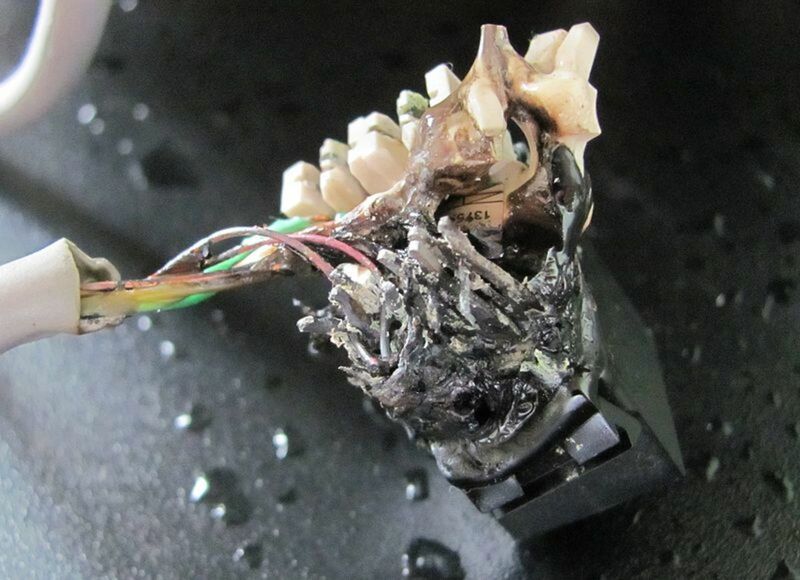 What you need to be aware of and tips for a successful repair. 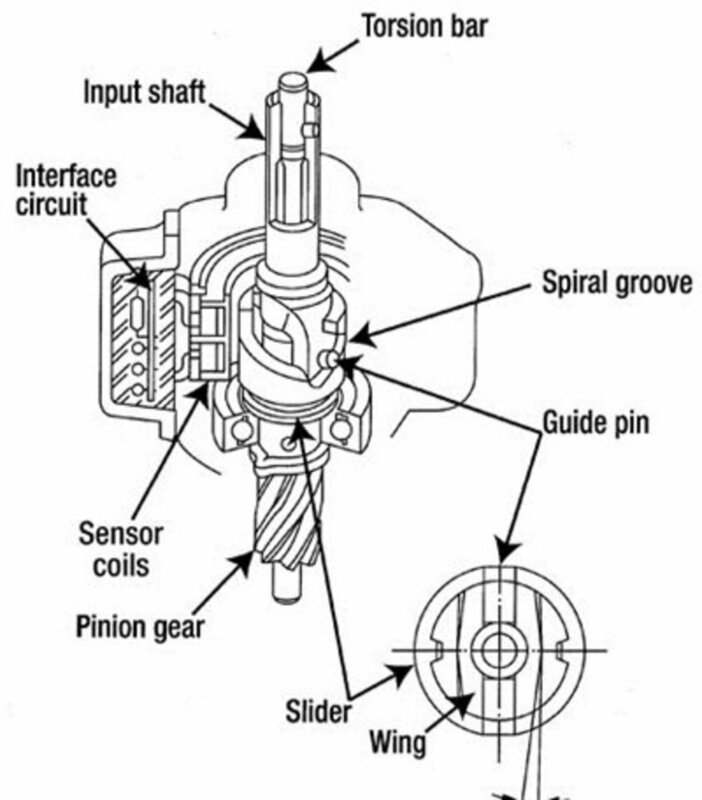 An explanation of the types of sensors found in an engine, including their typical functions and locations. When the dreaded "check engine" light appears, check and diagnose these DTCs (diagnostic trouble codes). 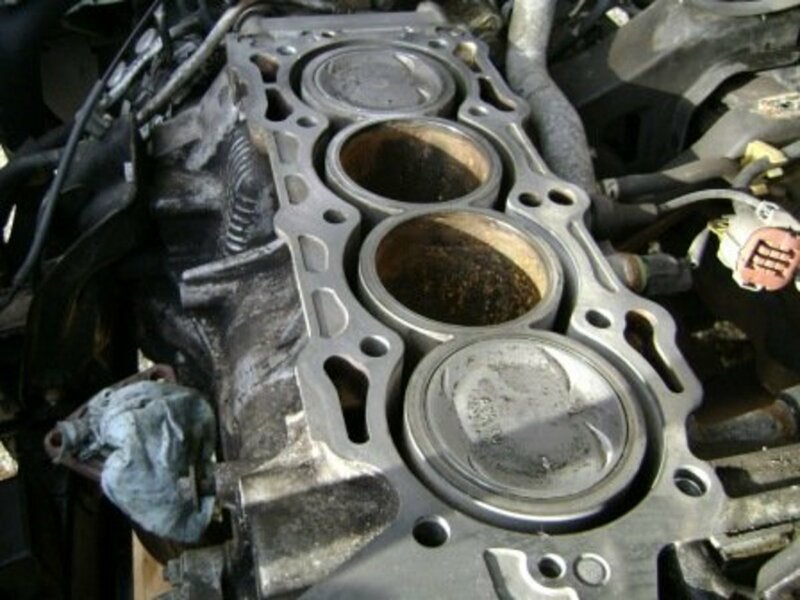 Learn the main causes of a blown head gasket, and prevent your new gasket from suffering the same demise. 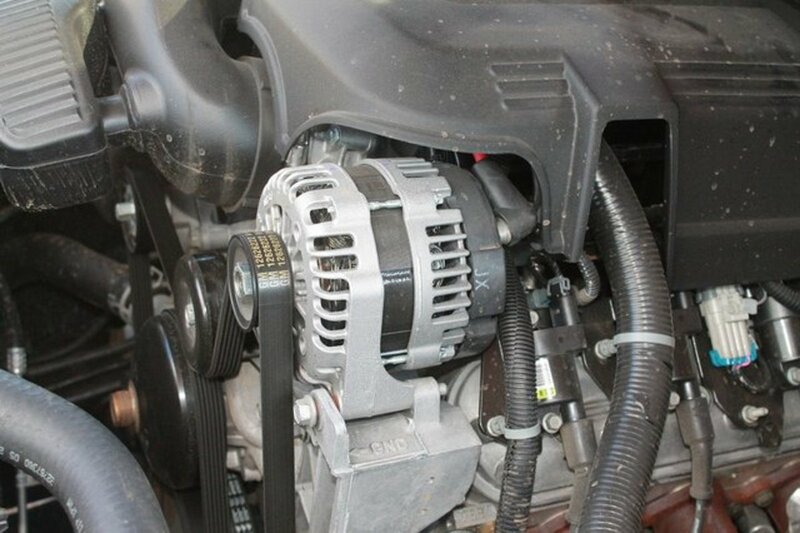 Are you having car-starting trouble other car issues and wondering whether your alternator is still good? 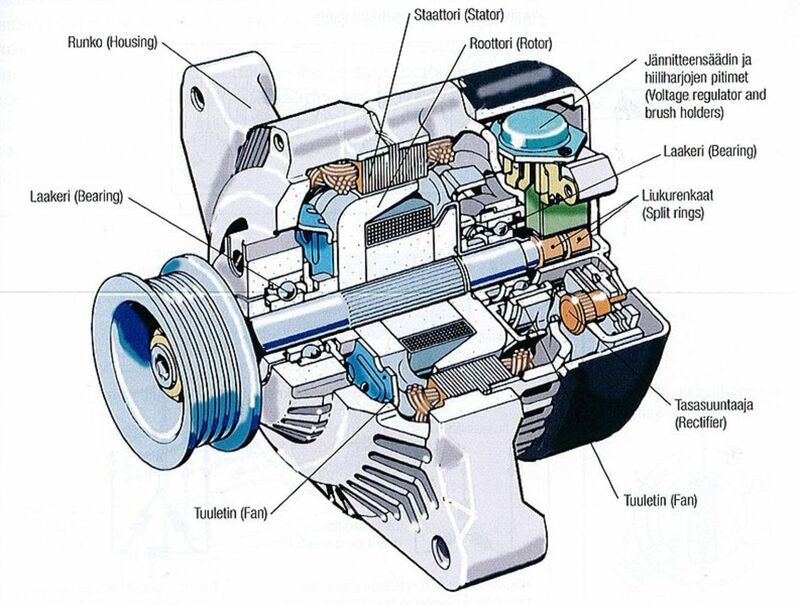 Here's how to tell and how to rebuild or replace your alternator if it is in fact the culprit. 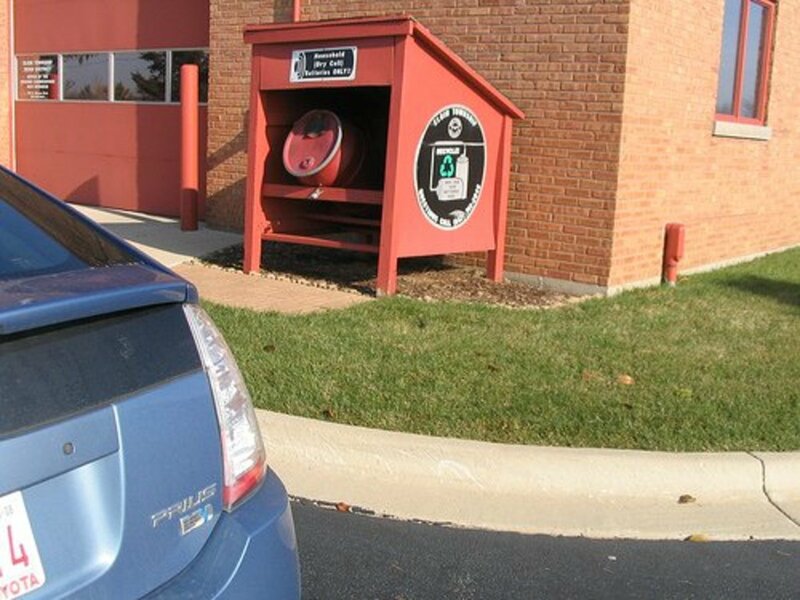 Do you know how old the 12-volt battery is in your Prius? Think it needs replacing? 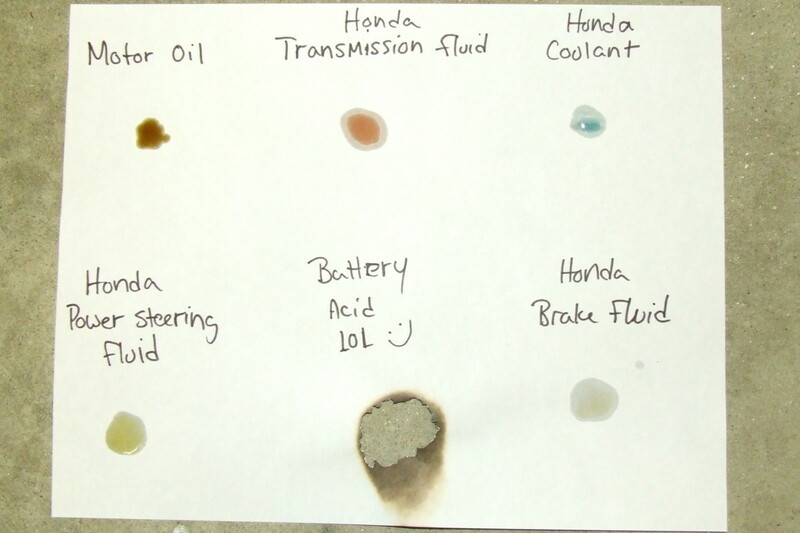 Read on to find out how easy it is to perform a battery test without even breaking out a wrench! Match these common symptoms to your possible manual transmission issues for a faster diagnosis. 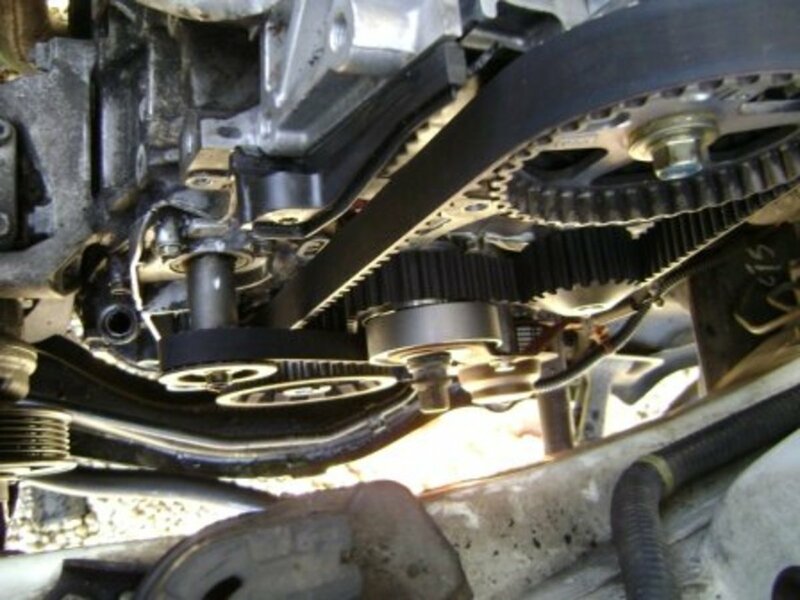 How to do a timing belt replacement for the Toyota V6 Camry, Avalon, Solara, Sienna, HIghlander, Lexus ES300 and Lexus RX300. Video instruction, lots of photos, and step-by-step instructions. If you smell gas inside your car, your first guess might be that there's a fuel leak, but here are five other very common reasons you might smell fuel. 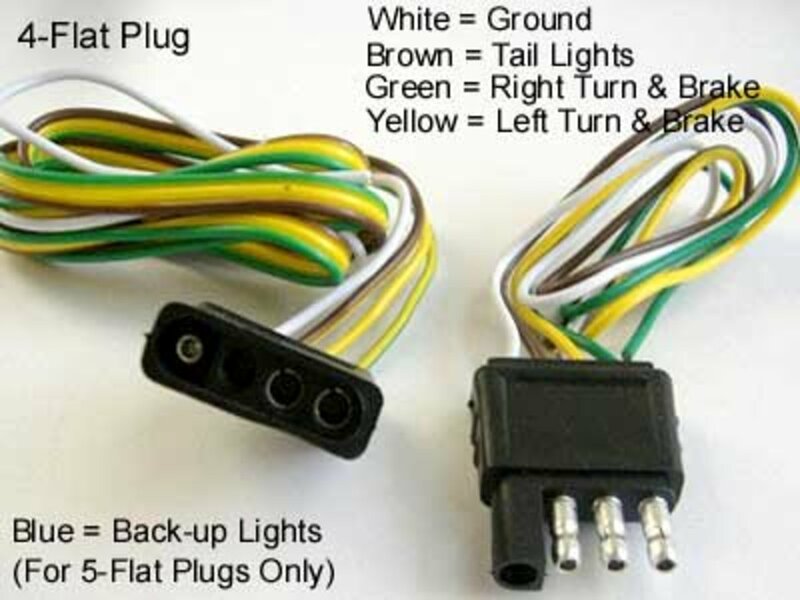 This simple-to-follow guide will help you locate a car electrical short using a test light and a digital multimeter. 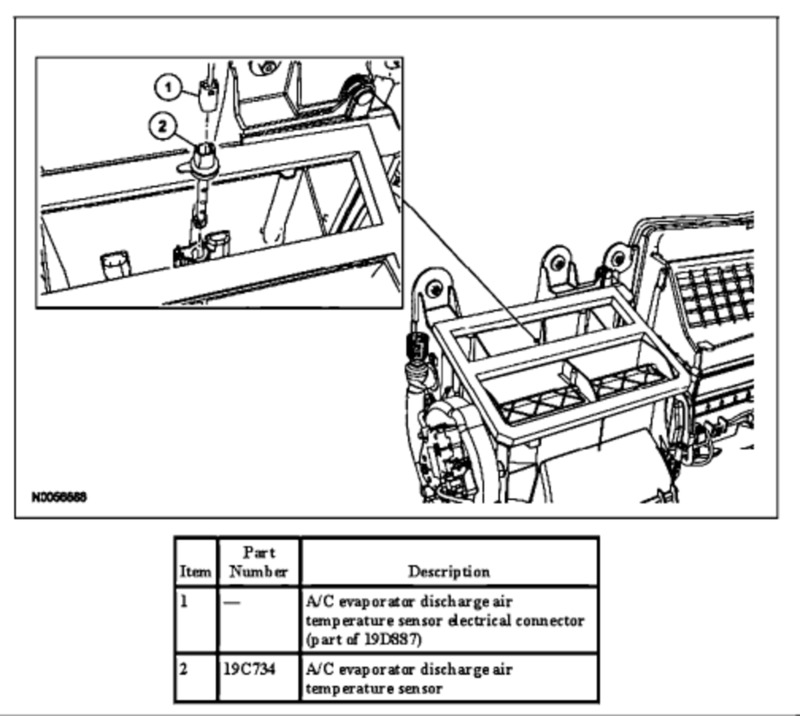 Diagnose and fix common vehicle charging system problems using a few tools and this guide. 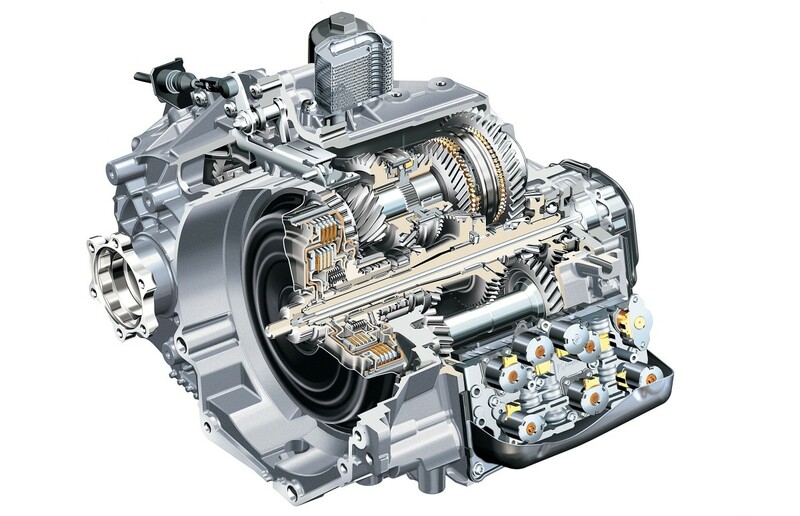 Of all the faults the ZF 6HP automatic transmission can throw at you, the E Clutch fault is by far the hardest to determine the cause of. 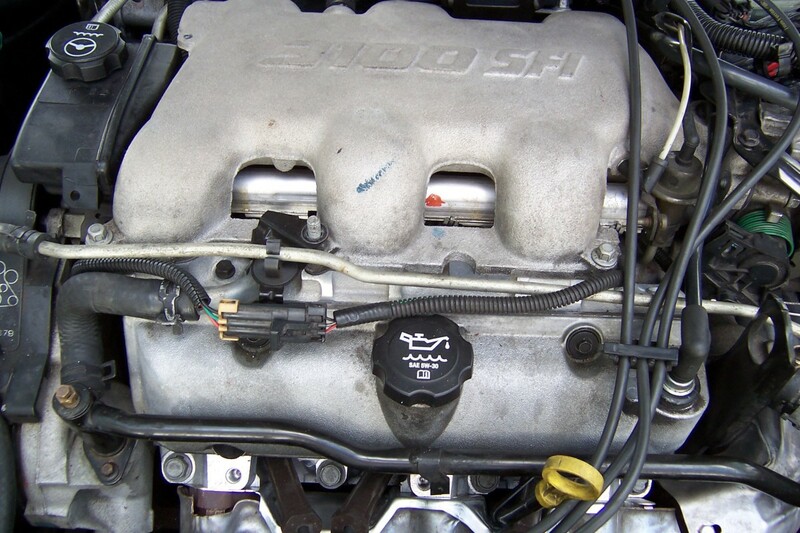 Learn how to test a fuel pressure regulator to save money and time in car repairs. How to adjust, test, or replace the neutral safety switch on your manual or automatic transmission. 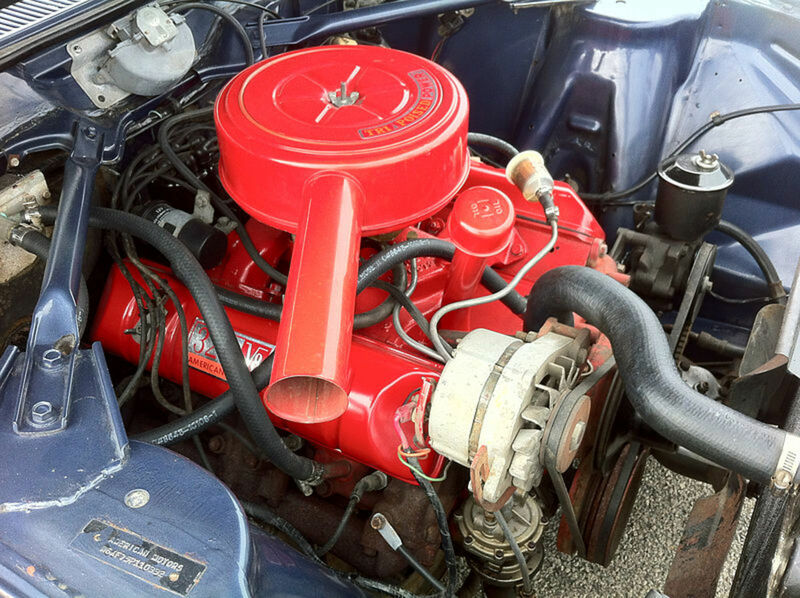 If your engine fires and coughs after it's been turned off, this guide helps you target the different systems and components you should pay attention to. Is your thermostat stuck? 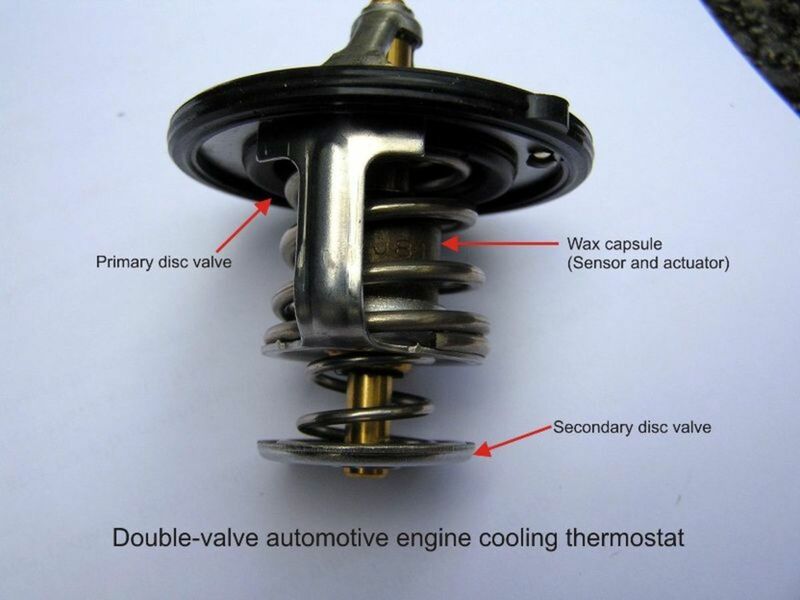 Photos, tests and helpful recommendations for the engine thermostat. Learn how coolant loss happens, where to look for the leak, and what tests you can do at home to find the leak source faster. 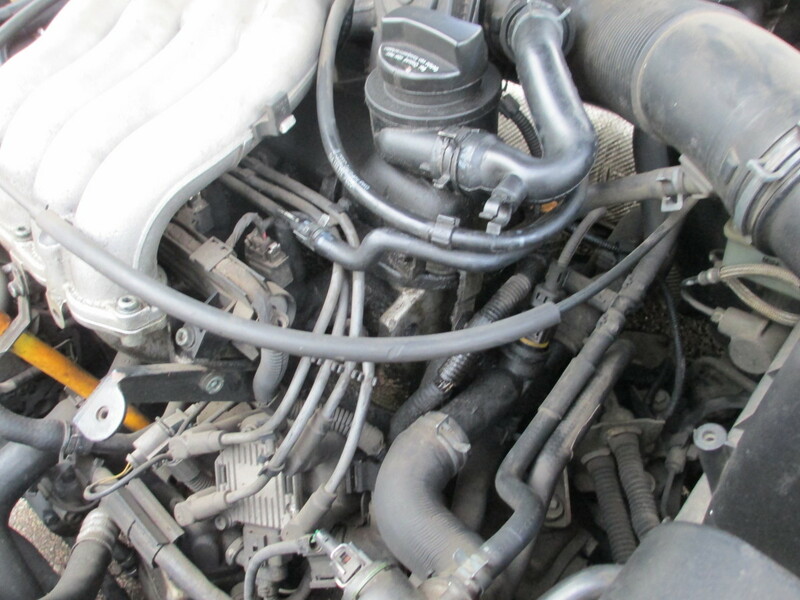 Coolant Loss: Where Is My Car's Coolant Going? 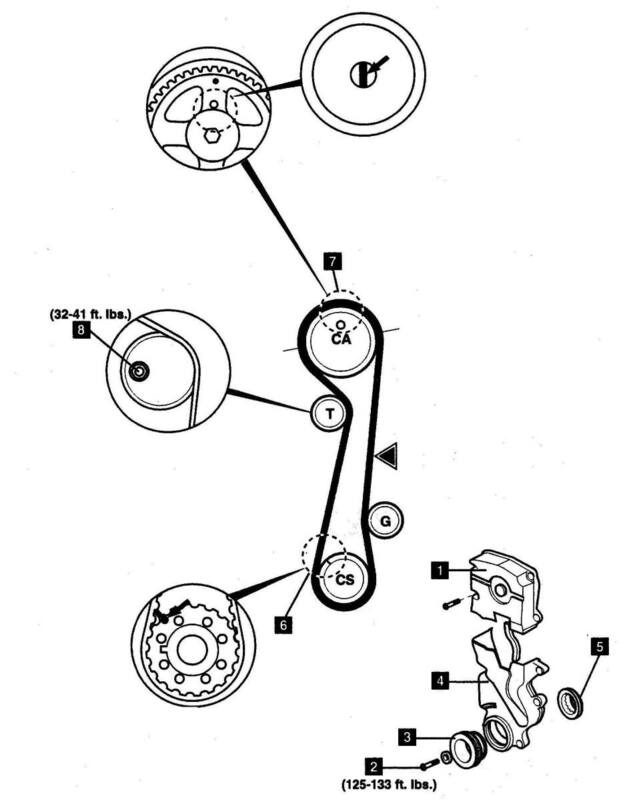 How to replace the timing belt and pulley yourself on the Hyundai Elantra and Kia Spectra. Step-by-step instructions, plenty of photos, and a video! A quick DIY with part numbers for fixing a broken back seat latch for VW, Jetta, Golf, GTI, and MKIV. 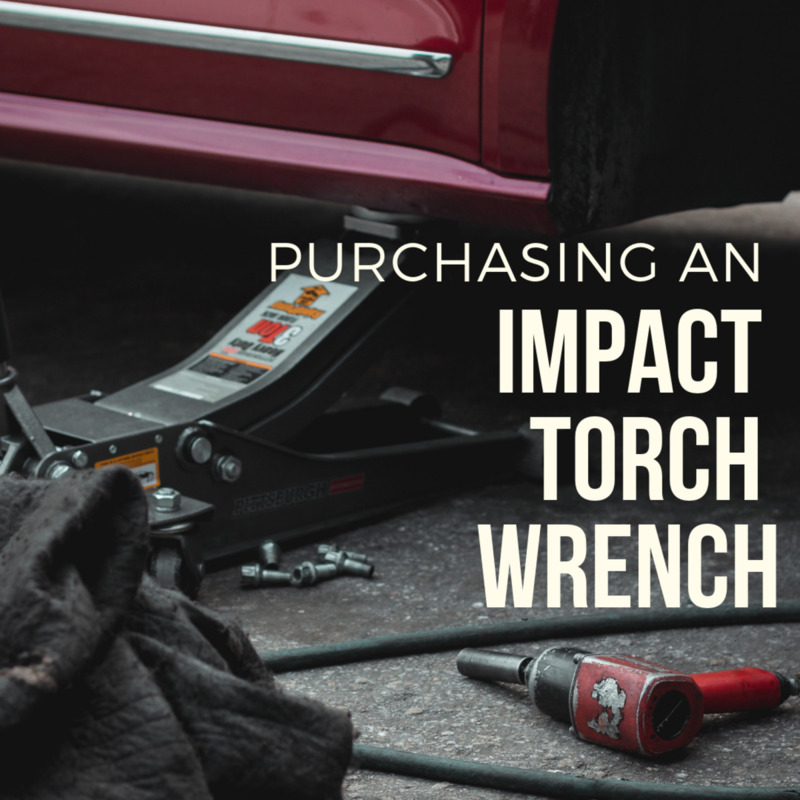 Most impact torque wrenches are used for lug nuts on the wheels of a car. The varieties are cordless, 12-v outlet, corded and pneumatic. Fathers Day, Christmas, Birthday. The four noises that car owners complain about most often: CV joint noise, water pump noise, belt noise, and heat shield noise. Find out what these noises mean and what might fix them. 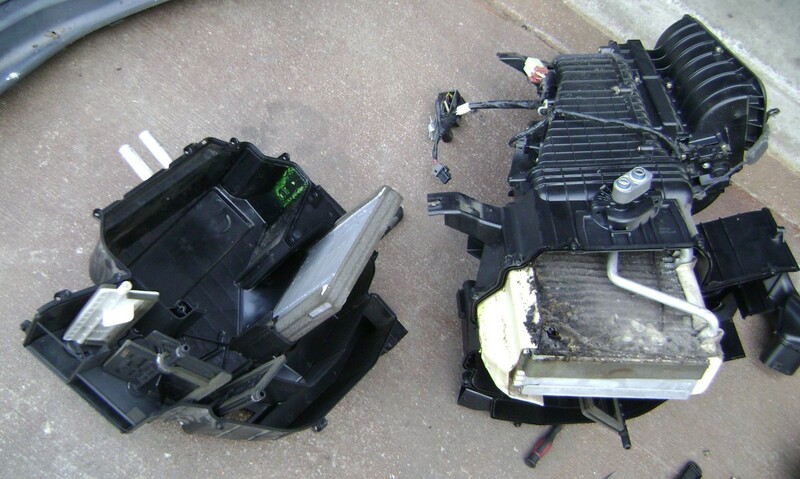 Engine misses can be hard to diagnose, but you can start with the most likely sources to speed up your repair. 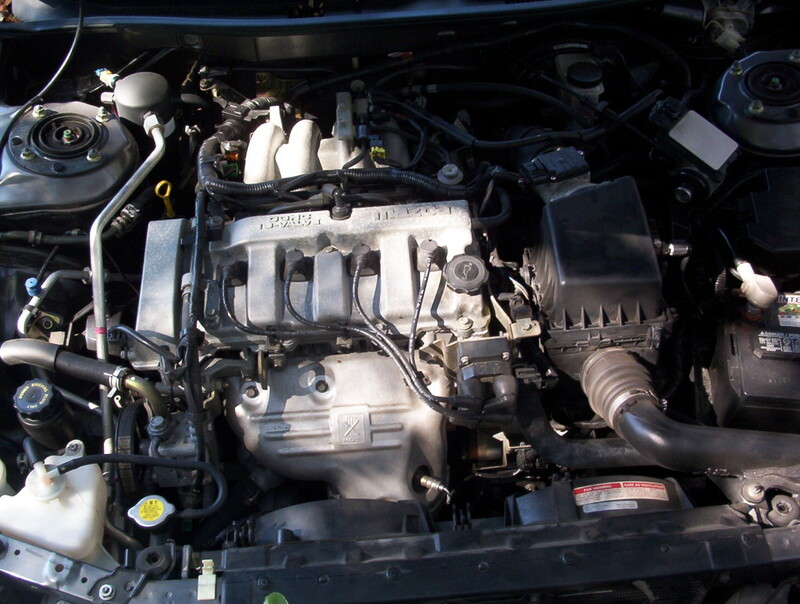 Why Does My Car's Engine Miss? When your engine starts but stops, concentrate your diagnostic efforts on those systems or components most likely to cause the failure. Do an oil pan gasket replacement at home following the safety precautions, tips, and method outlined in this guide. Testing spark plug wires to solve power loss, trouble starting, increase in gas consumption and other performance issues. 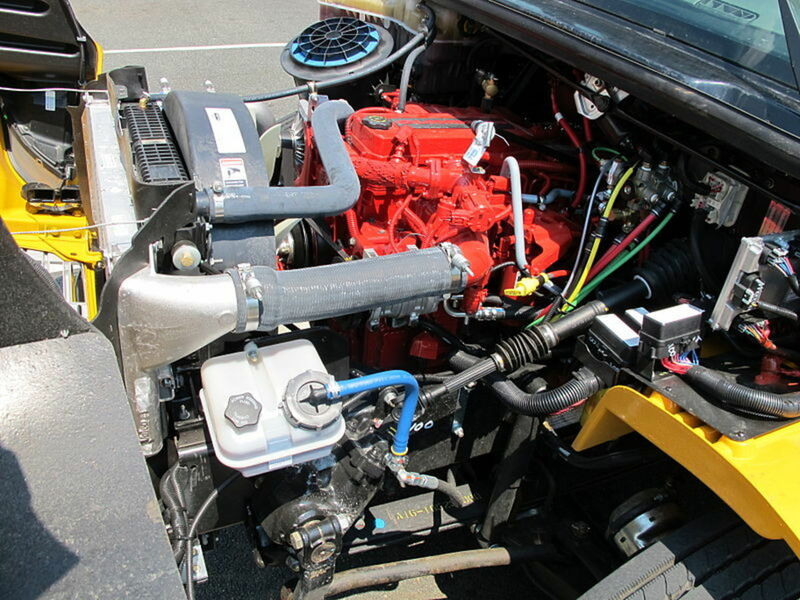 Basic electrical knowledge applies to so many vehical components: batteries, starters, alternators, lighting, sensors, actuators, AC systems, electric windows, and computer systems. 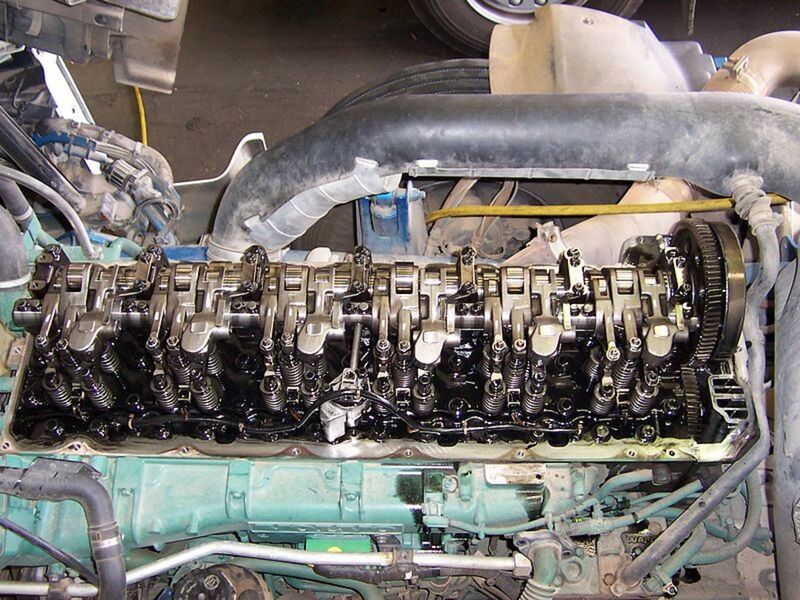 Diagnose engine backfires with this guide and prevent potentially serious engine damage. 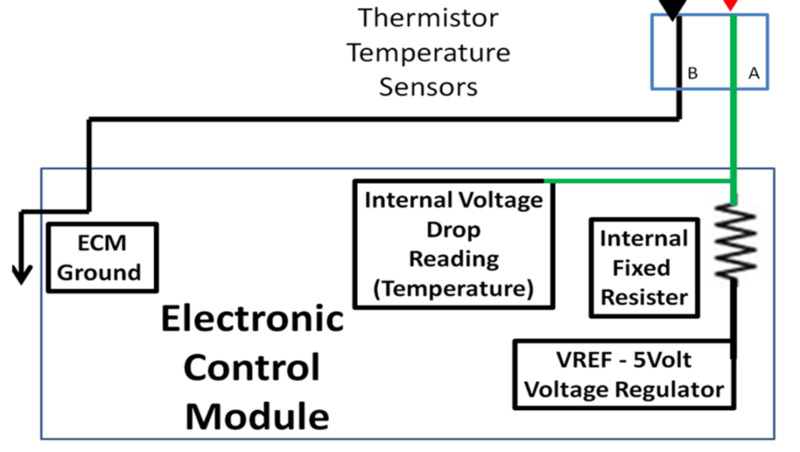 Learn how to check an oxygen sensor and eliminate hit-and-miss repairs using a digital multimeter. 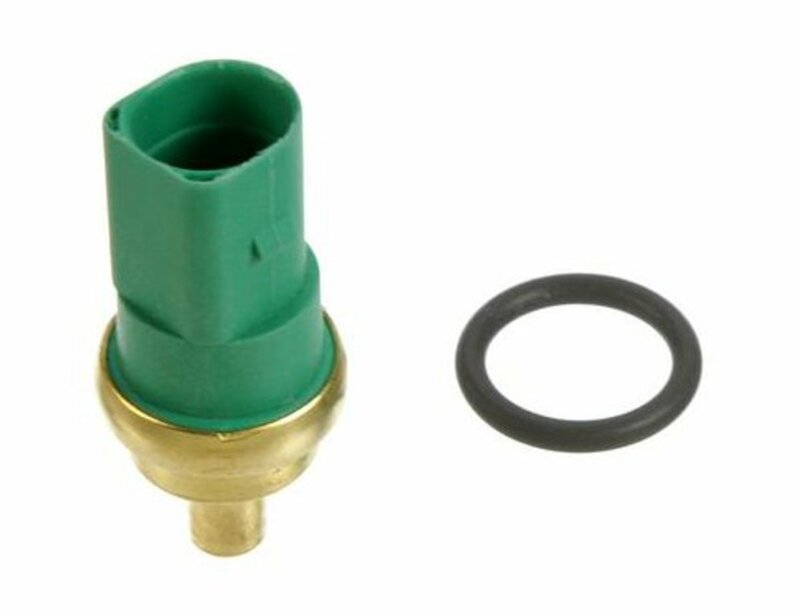 Here is a way to take the cheap Bosch oxygen sensor #15718, made for Ford cars, and use it on your 2.0 L Volkswagen engine. This is an old trick on the MKIII engine but has not been tried on the MKIV. 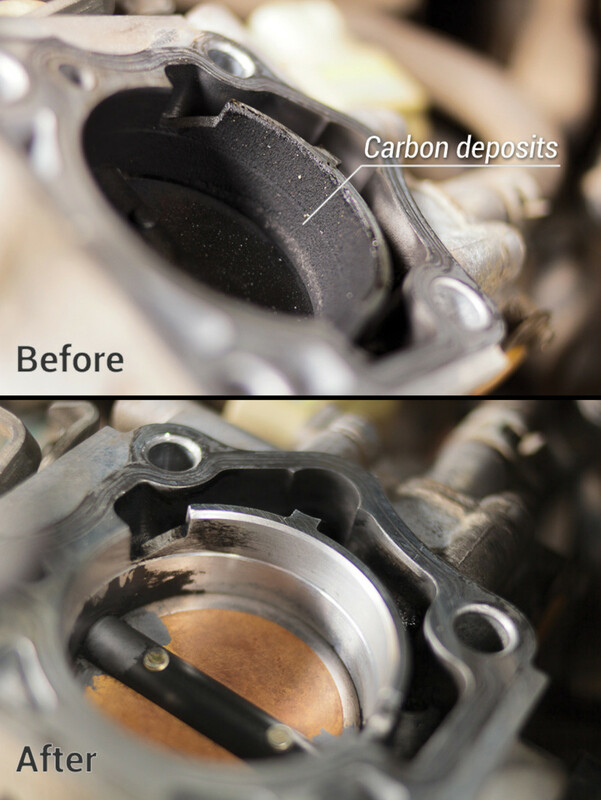 Do a cleaning EGR valve job at home to improve engine performance and prevent serious engine mechanical problems. 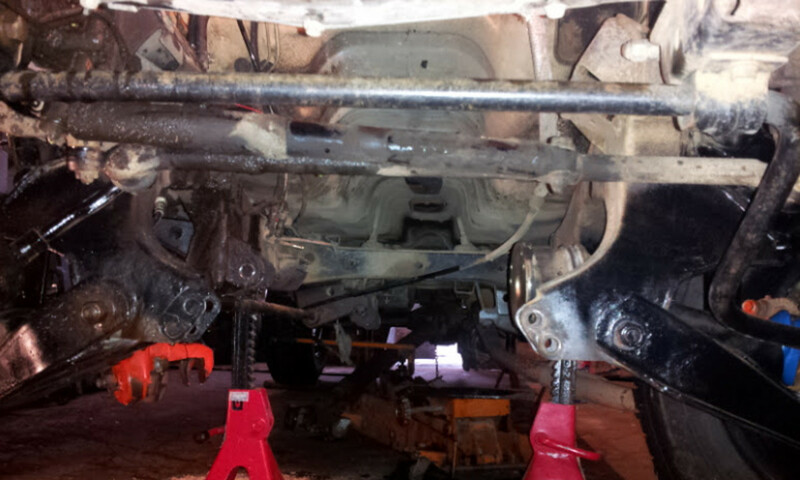 How to replace worn rear suspension struts and springs on your Camry. Video included. 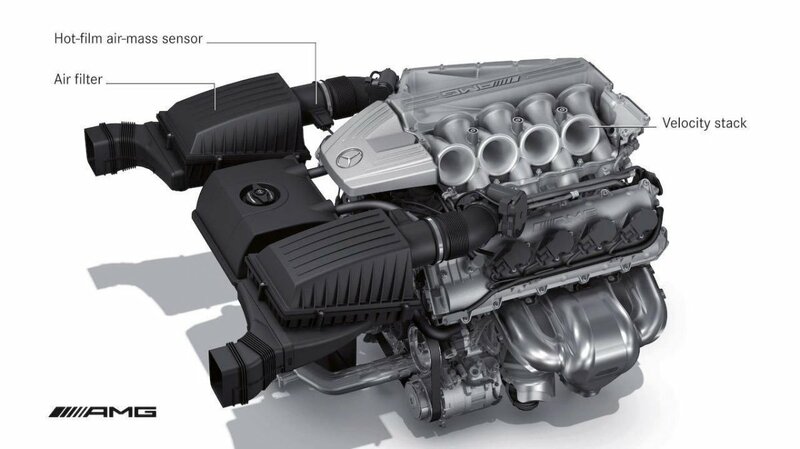 Sources of engine rough idle problems and related symptoms for a faster diagnosis and repair. When your engine will not rotate, these simple checks and tests can help you diagnose and repair the fault. Diagnose the most common problems with your car's starting system without special equipment or knowledge, based on the symptoms described here. 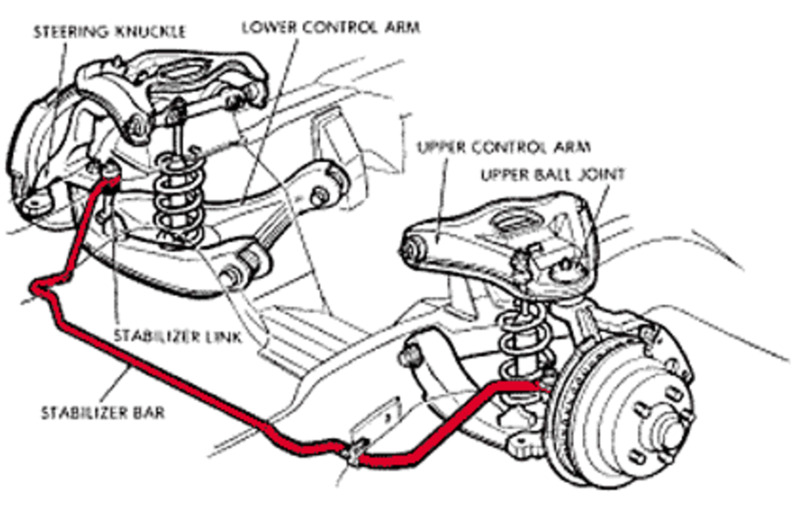 A guide on how to choose a sway bar that will work both for your car and your driving style. Suspension components and vehicle dynamics are complicated systems, but a proper sway bar upgrade can make all the difference when it comes to performance handling. 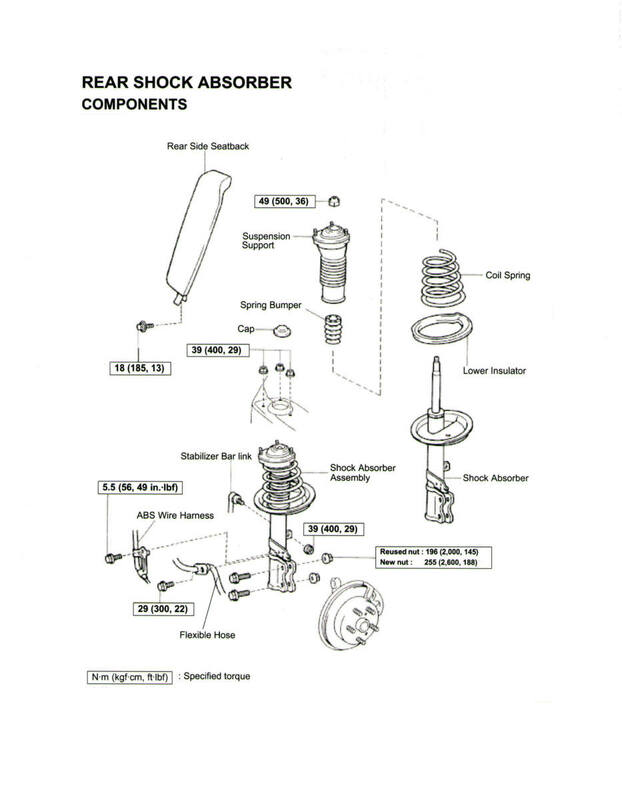 Diagnosing simple fuel pump problems is within the reach of the average car owner. Use this guide to get your car back on the road faster. 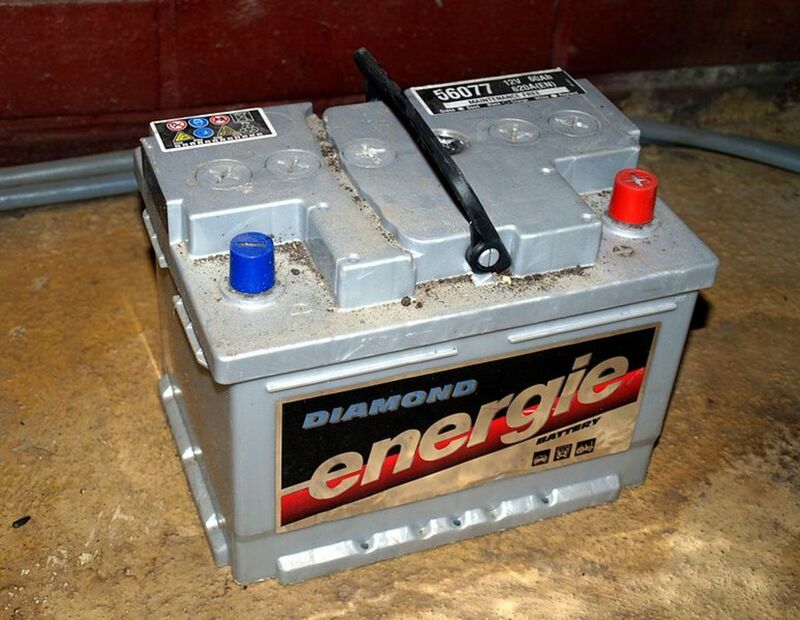 Find out why your car battery discharges by applying these simple tests at home. Why Does My Car Battery Discharge Overnight or When Parked? 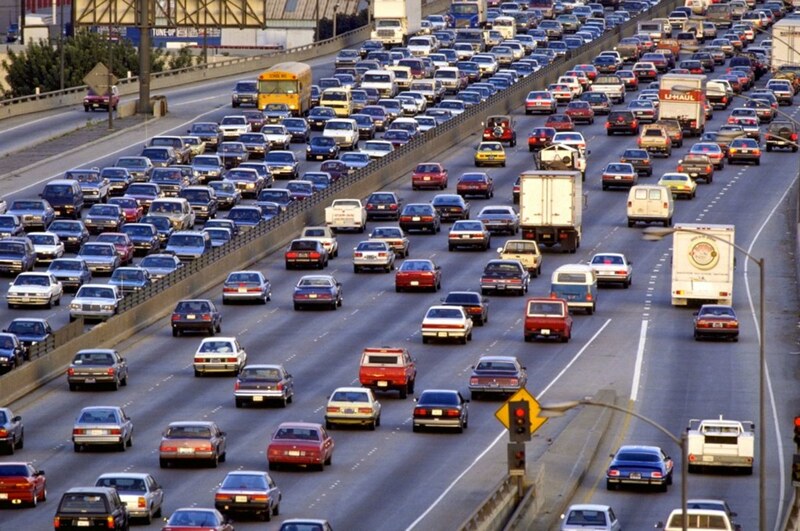 Computer systems operate and monitor almost every system on our vehicle today. 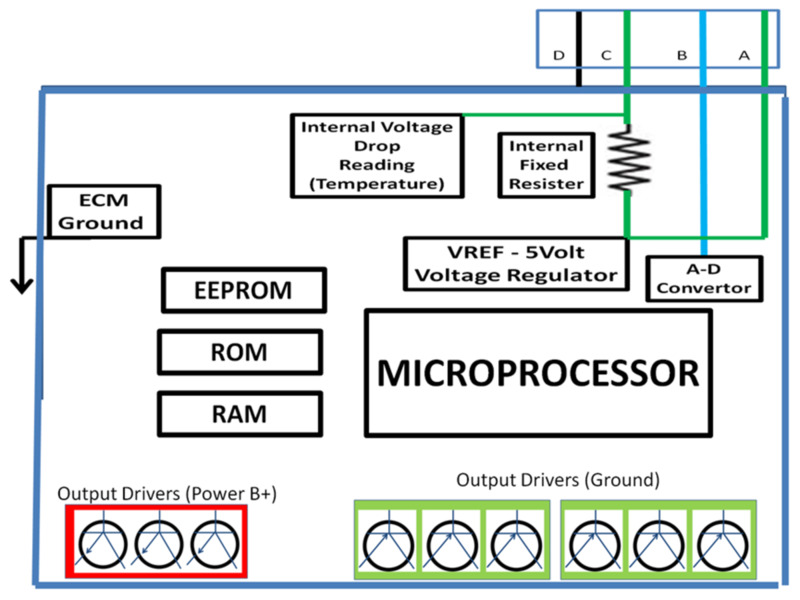 Sensors and switches are used for inputs to the computer. Output devices are solenoids, relays, lights, and injectors. 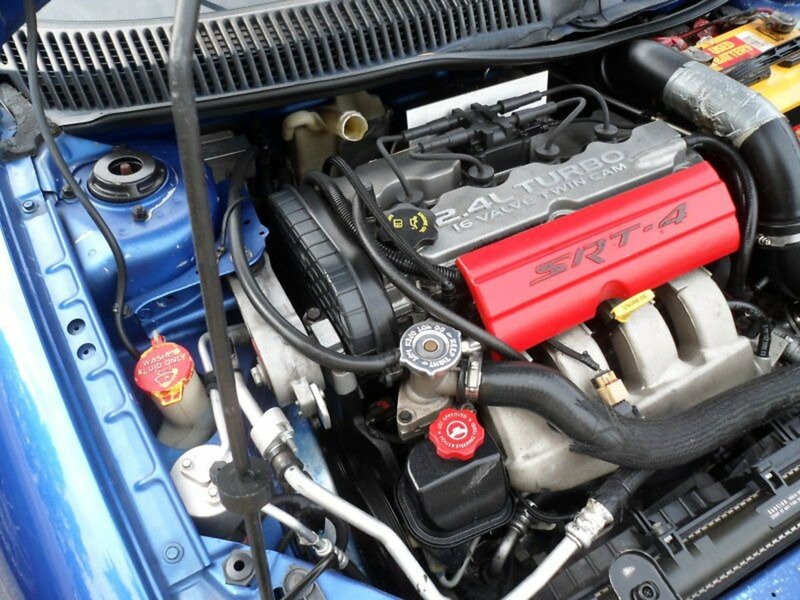 Find the source of valve train noises and other symptoms using this simple guide. 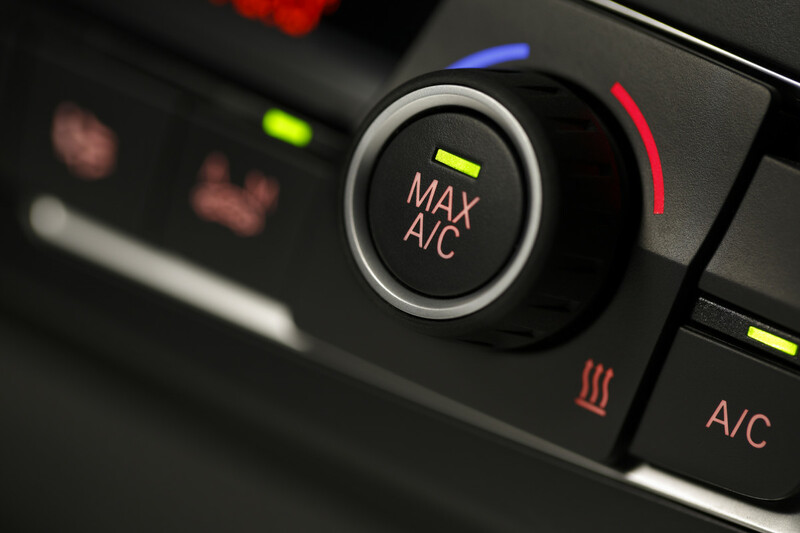 If the air conditioning goes out in your car, you want to get it fixed quickly. There are a number of problems that could cause this issue. Keep cool with these tips and tricks. 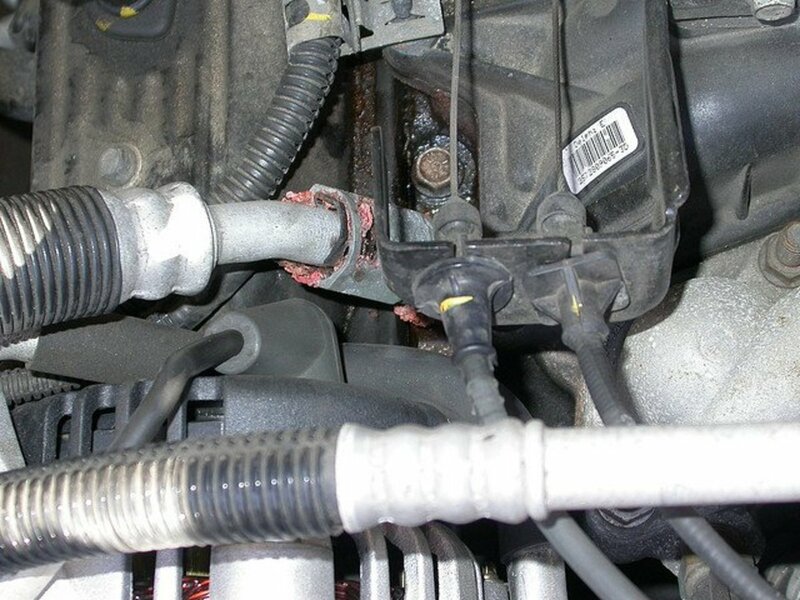 Radiator stop leak should only be used in certain circumstances. Learn if this product might be right for you. Three common brake noises I encounter every day: a grinding sound, a thumping from the rear, and a squeak. Includes a repair technique for noisy drum brakes that I found by trial and error. 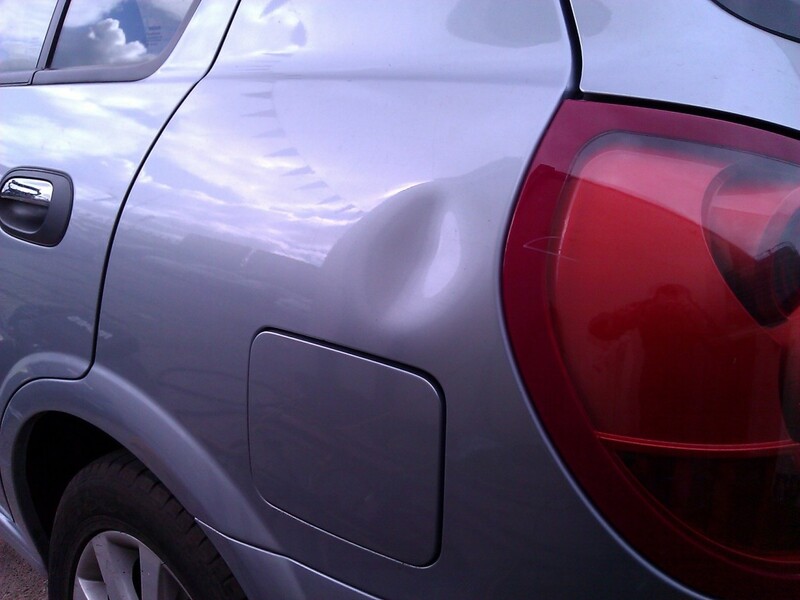 Car dents are unsightly things, and even a couple of small ones really depreciate the value of your car. 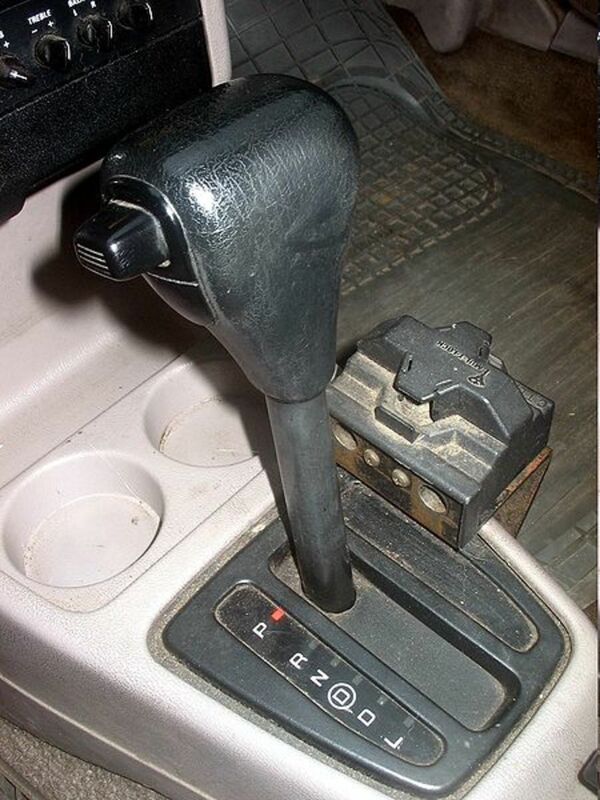 In this article, I will explain the most common reason for a slipping automatic transmission and the most common reason for a slipping standard transmission. What's more, I'll teach you to fix it in either case. 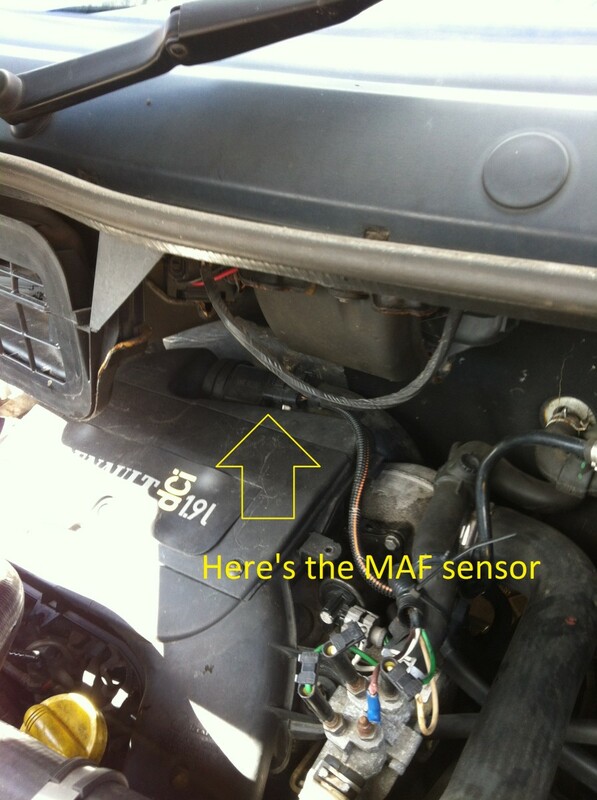 DIY instructions for cleaning or replacing the MAF (mass airflow) sensor in a VW Jetta, Golf, GTI, Passat, New Beetle, A4. 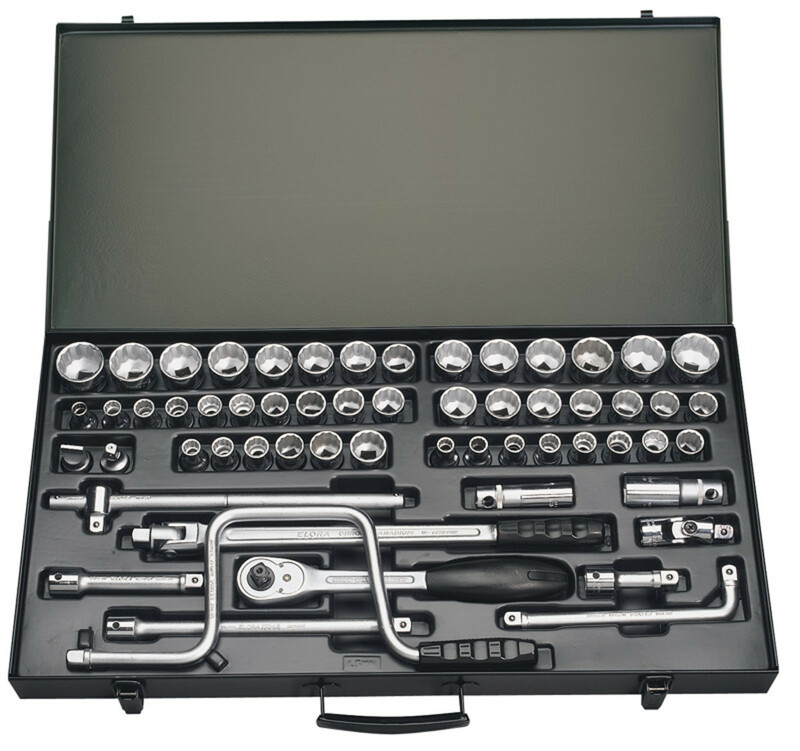 Included are step-by-step pictures, part numbers, and tools required for the job. 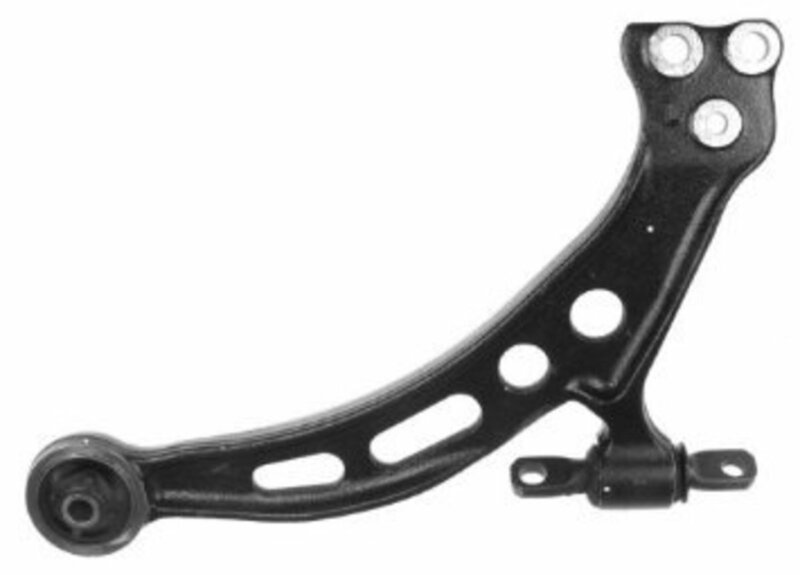 This video and procedure shows how to replace the front suspension upper control arm and ball joint, strut, and lower control arm and lower ball joint on a Honda Accord. 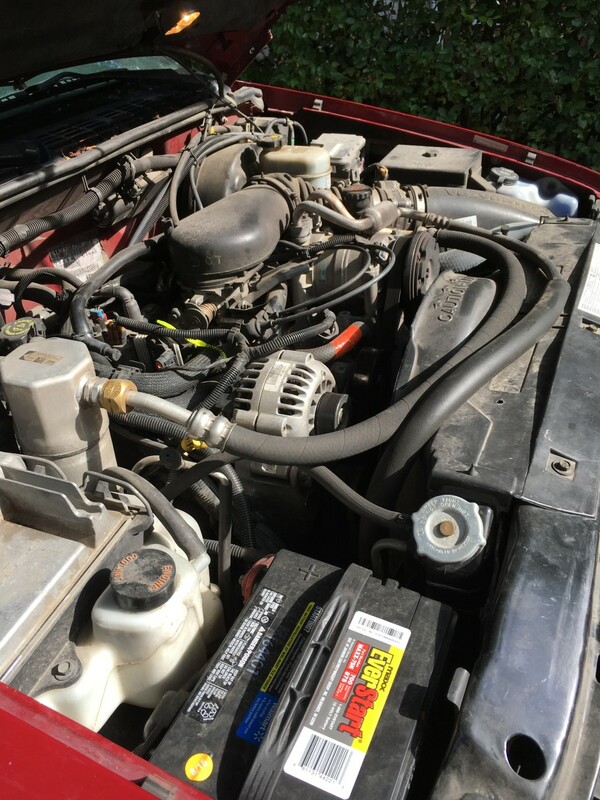 DIY Toyota I4 (5SFE) engine oil-leak repair. 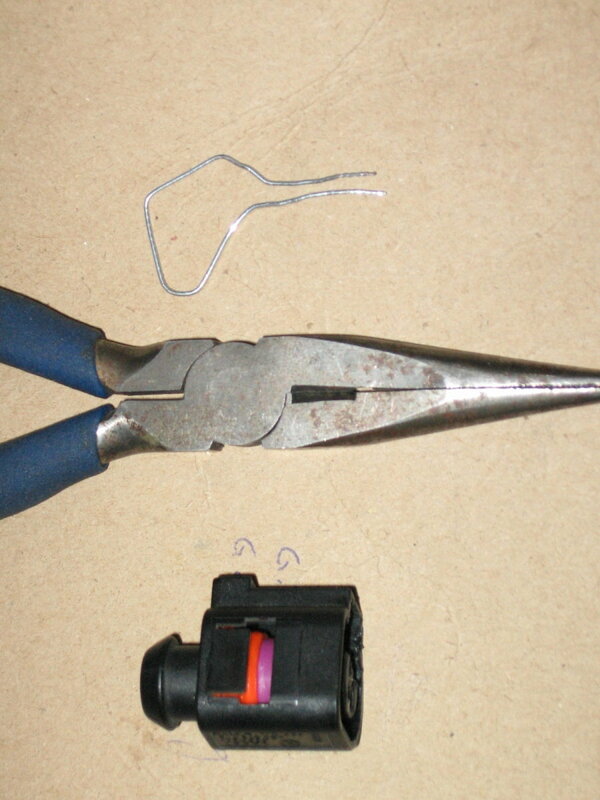 Plenty of photos and step-by-step repair instructions. 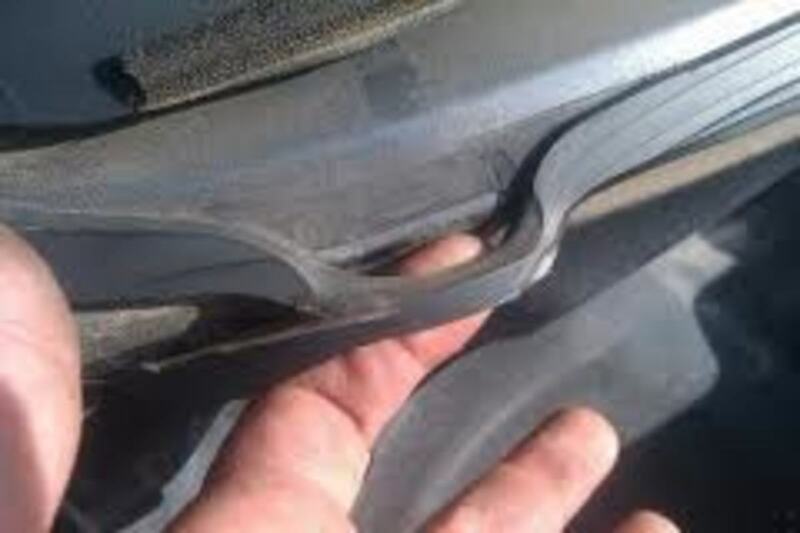 If you're wondering why your car shakes when you hit your brakes, you more than likely have one or more warped rotors behind your wheels. 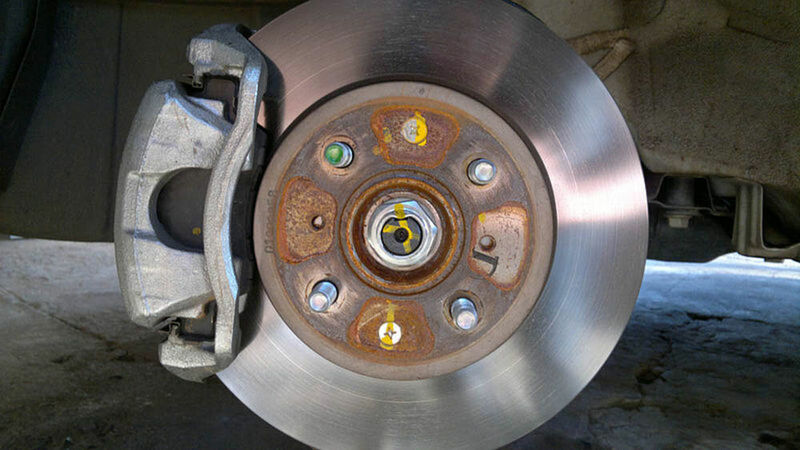 Warped Rotors: Why Does My Car Shake When I Hit the Brakes? 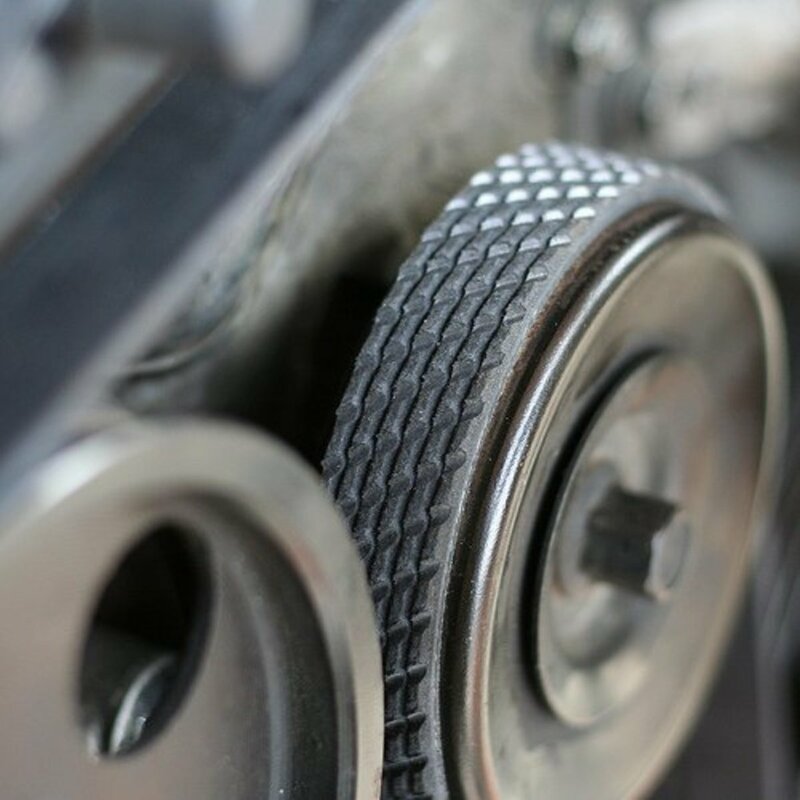 That serpentine belt noise could be more serious than you think. Troubleshoot your belt with the help of this guide and fix it. Check your fuel pump relay — and other automotive relays — in minutes using three different simple methods. Diagnose alternator and charging system problems with this practical guide to get your car back on the road faster. 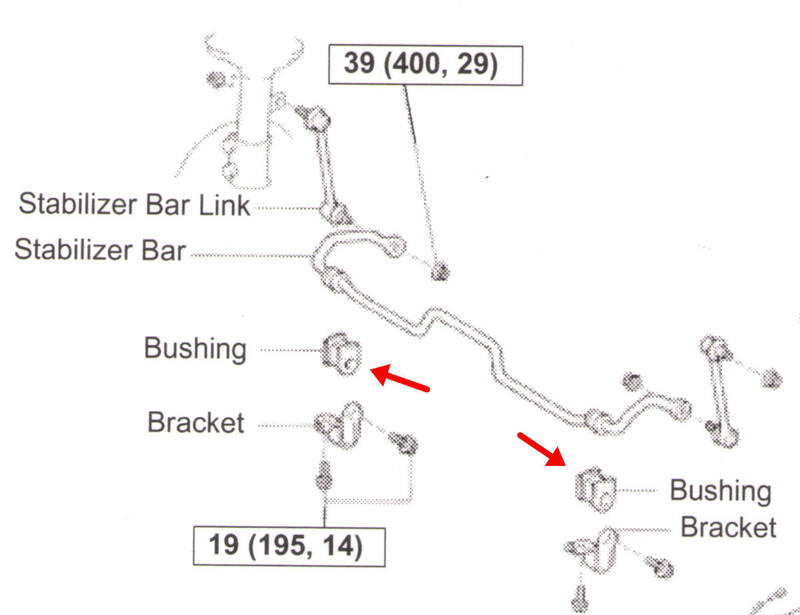 Replacing a worn bushing on the sway bar (stabilizer bar) will eliminate a common rear end rattle in the '90s Camry. 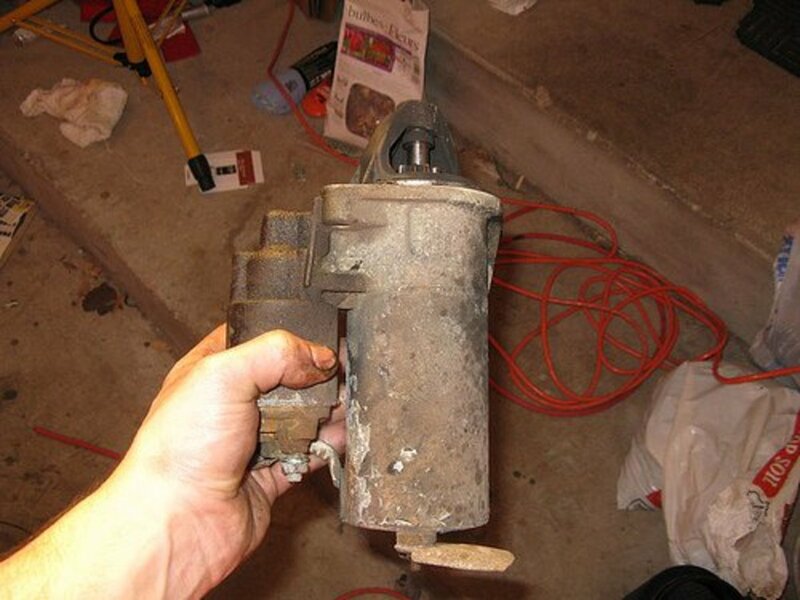 Test your vehicle catalytic converter in your own garage. 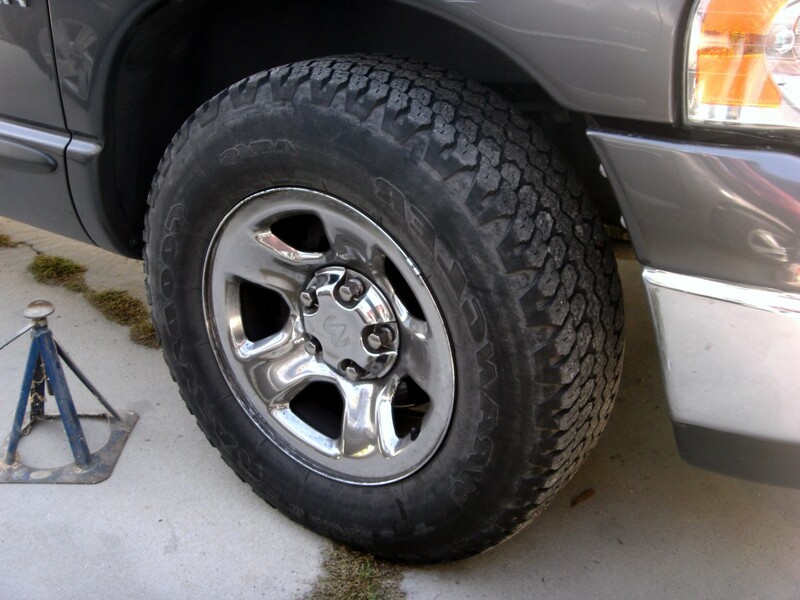 Is oil leaking from your car or truck? Want to know why that's happening or how to fix it? Great! You've found the right article here! 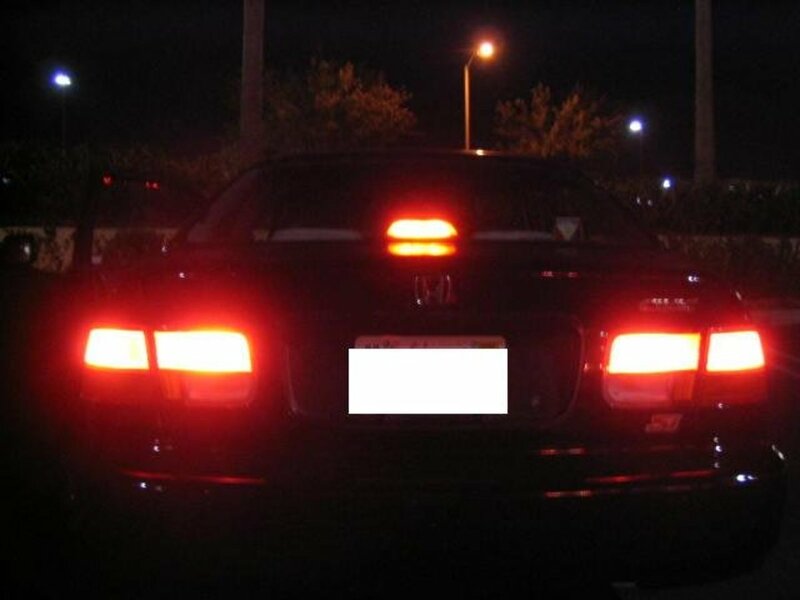 When your brake lights don't work, apply these simple diagnostic tests. 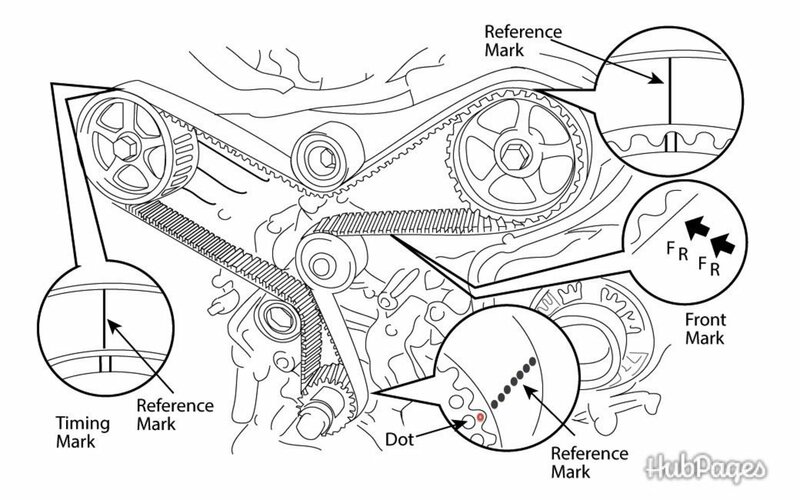 Here's why your Camry's "Check Engine" light comes on and what the codes mean that it generates. 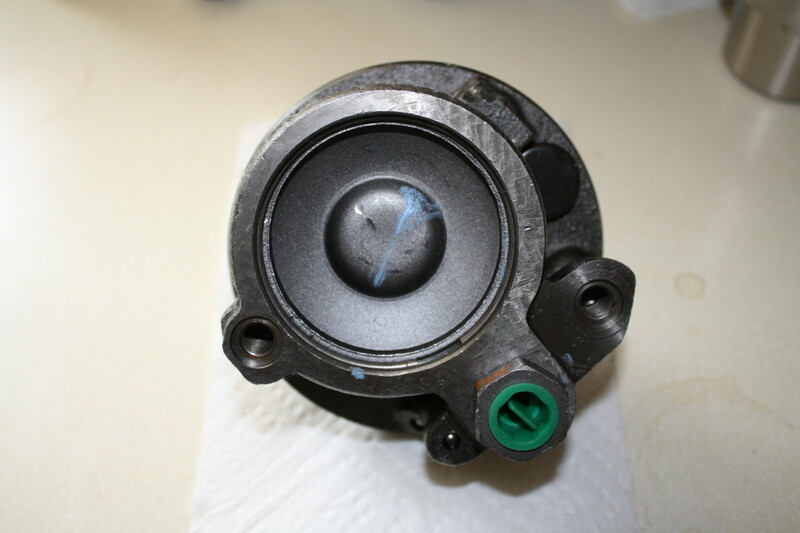 Very simple do-it-yourself instructions for replacing the valve cover gasket on Volkswagen 2.0L AEG engines to help seal vacuum and oil leaks. Includes Jetta, Golf, and GTI. 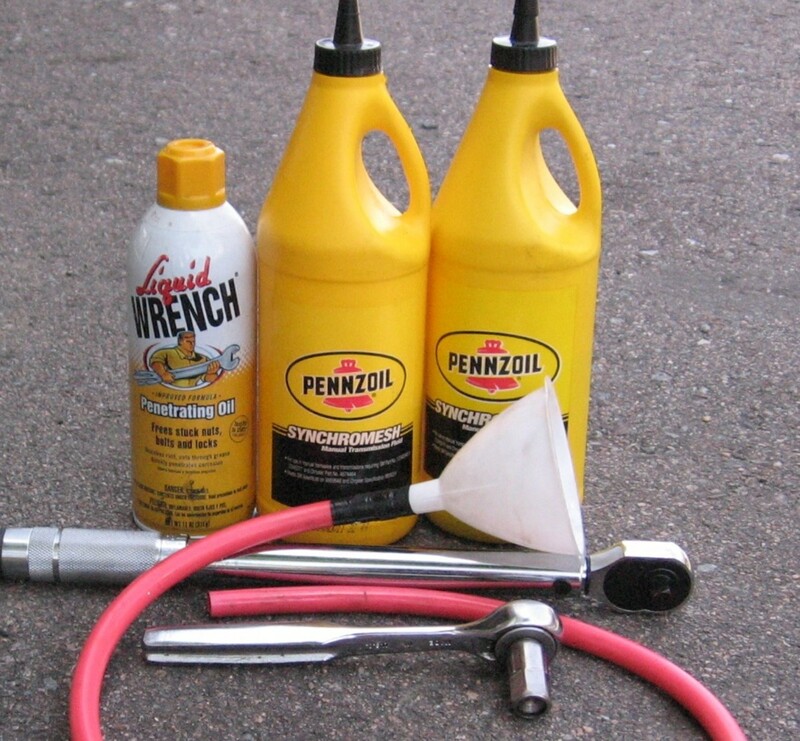 Transmission flush DIY for all VW cars on the MKIV platform using Pennzoil synchromesh. 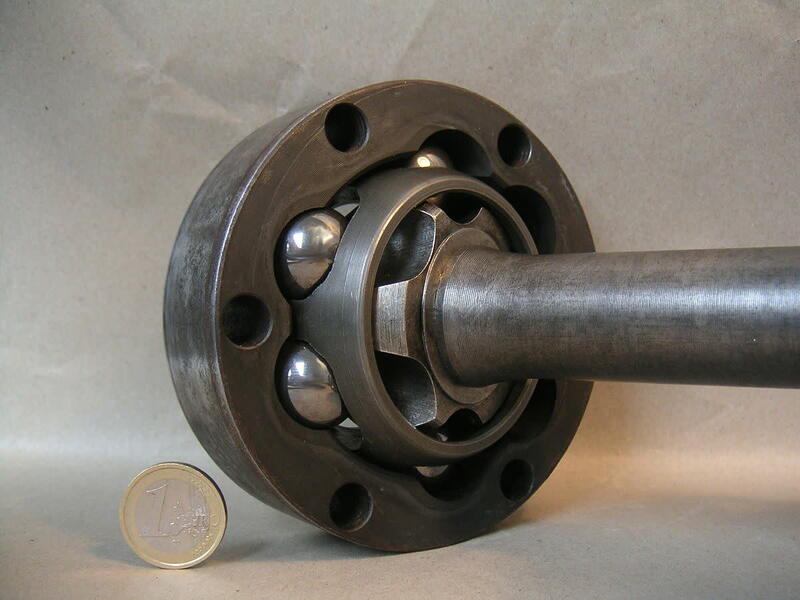 17mm and specialty bit # XZN16MH are used depending if your car is a GLI 20th or standard MKIV. 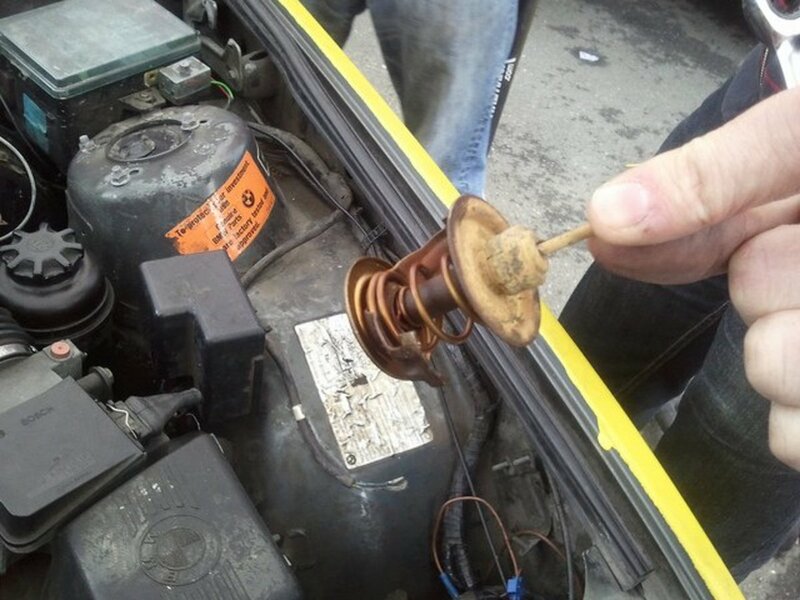 Having problems with your car's thermostat? 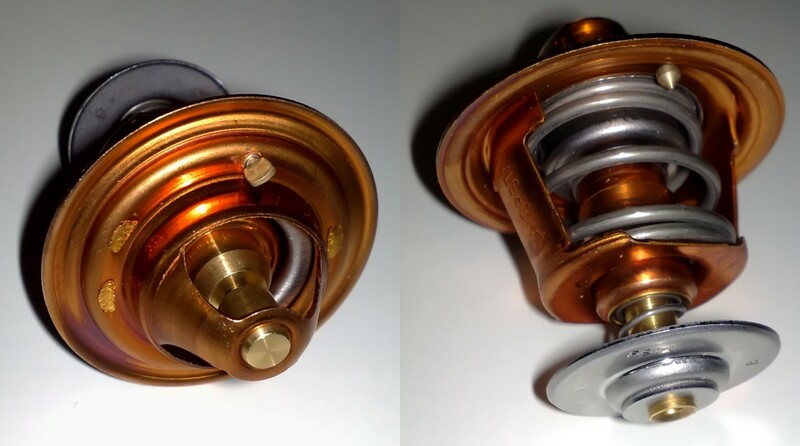 This article shows you how to check your thermostat in a few minutes without removing it from your car. 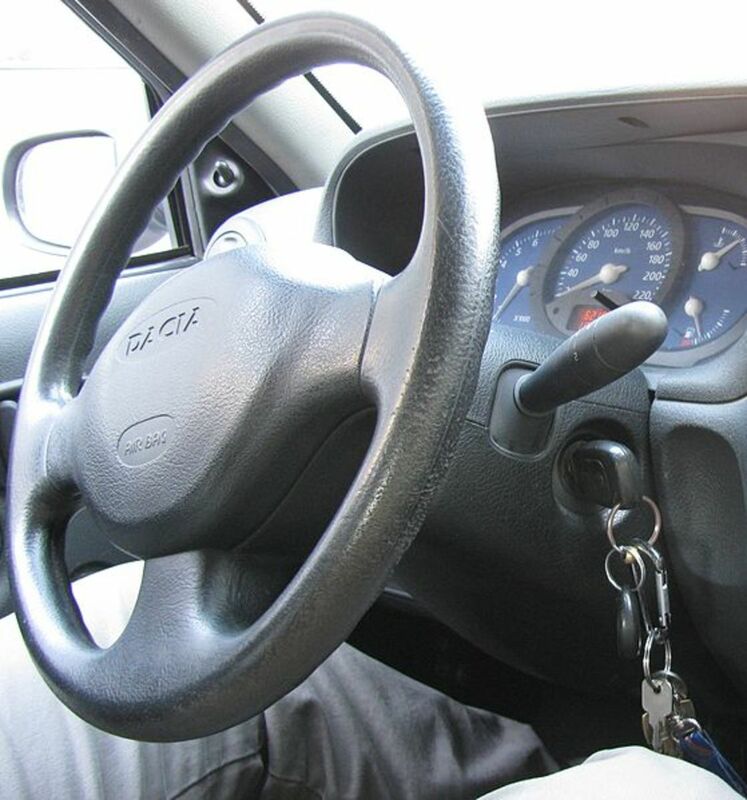 The cause of car vibrations can be difficult to pinpoint because of the vast number of potential causes. 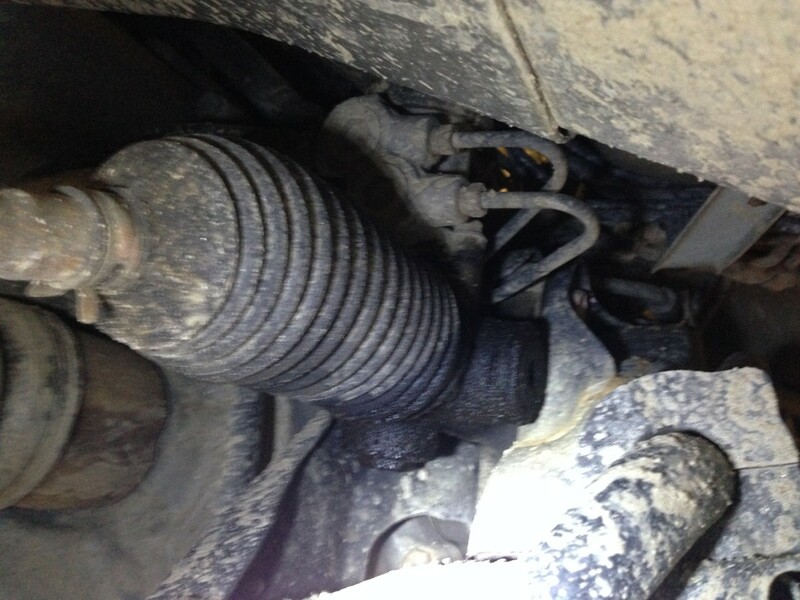 But if you car vibrates only when accelerating, you may have a CV joint issue. 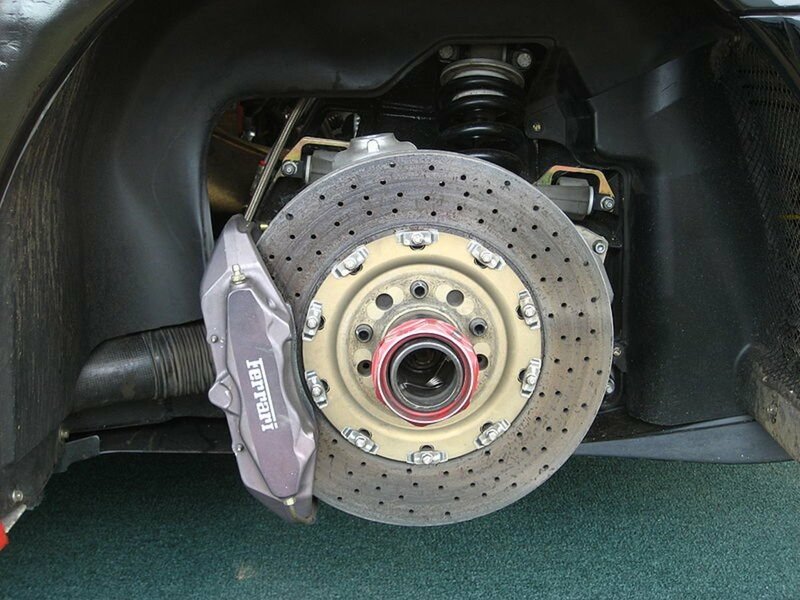 Address it and you won't be afraid to drive your car again. Your mechanic says you need a wheel bearing . . . what's that? 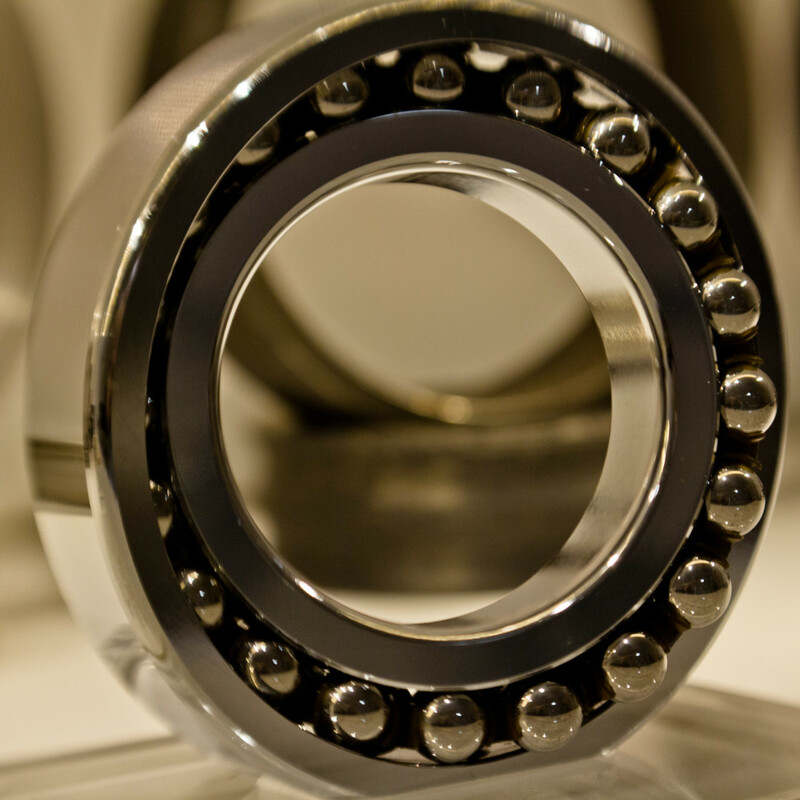 In this article, you'll find pictures, videos and an explanation of what a wheel bearing is, what it does, where it is, and the noise it makes when it's damaged. 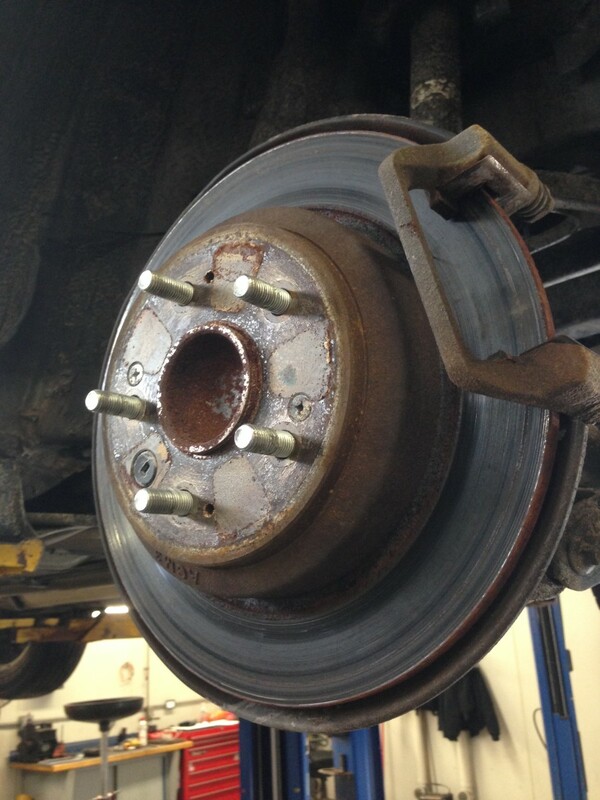 If your brakes squeak and you want to know why, maybe I can help! 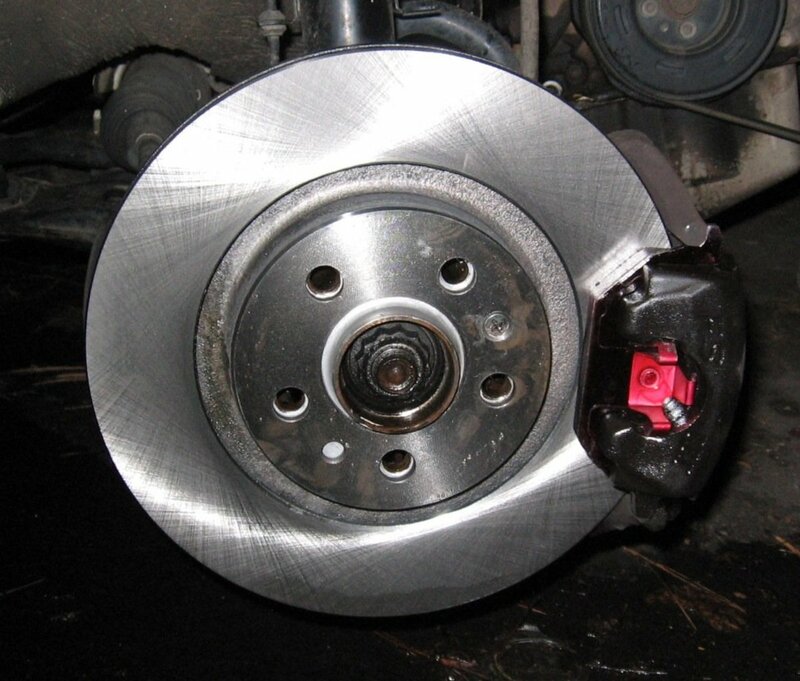 Here are four common brake squeaks plus a bonus scraping noise; compare these situations to yours. Questions are welcome. 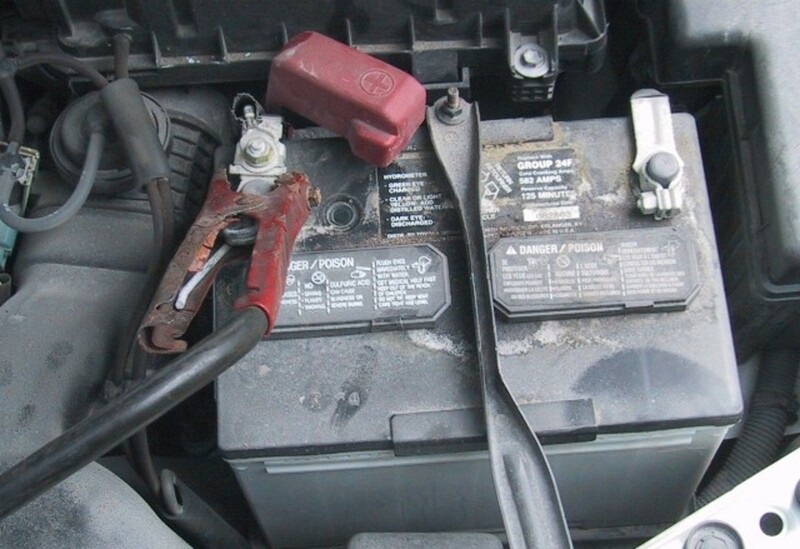 Does it really kill your own battery to jump someone else's car? Are there any ways to protect your battery when helping out a friend? Read this article to find out more. 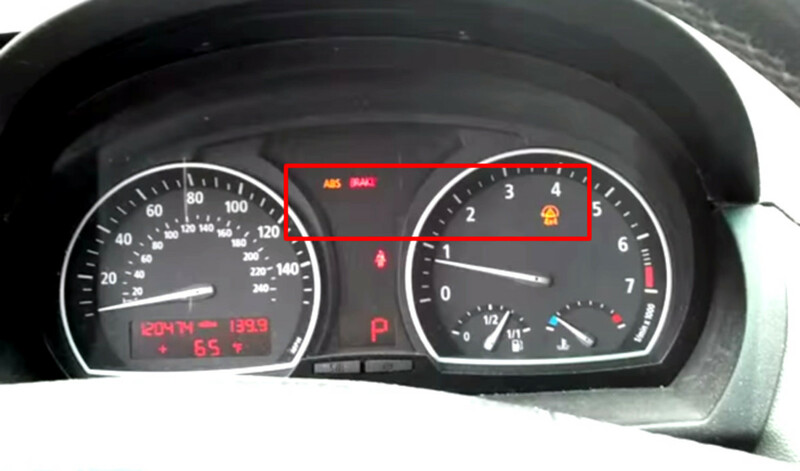 BMW X3/X5 Brake, ABS, and 4x4 warning lights all on at the same time. 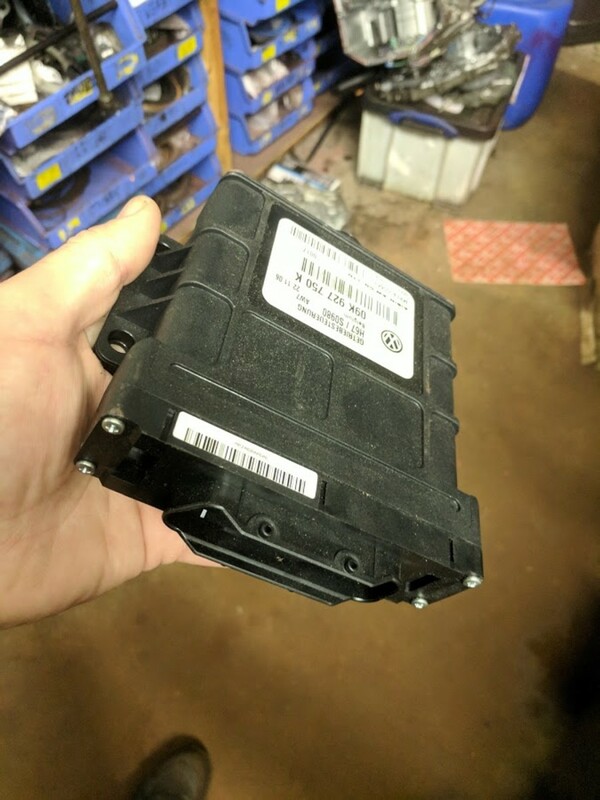 Information on the probable cause (defective BMW transfer case actuator motor gear) and fixes. 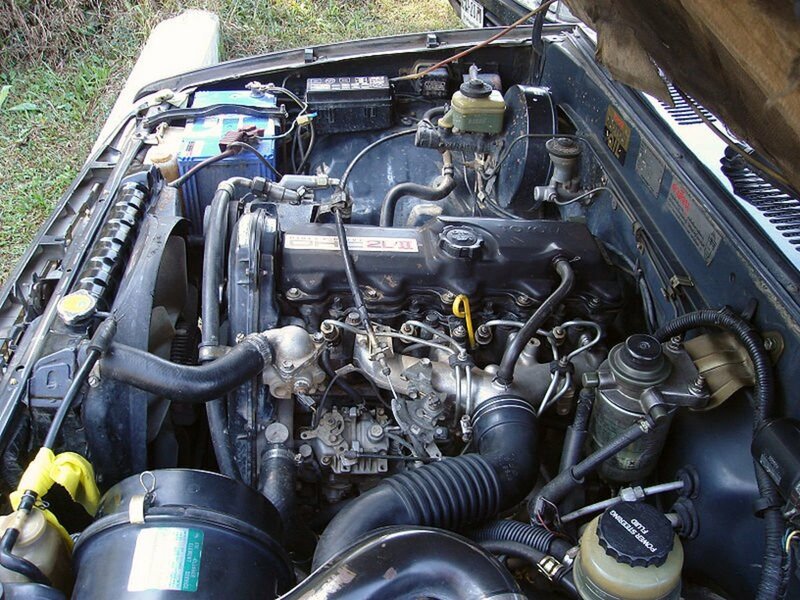 This guide is for owners of the 1981–1985 Datsun and Nissan 720 4x4 pickups who need to change the clutch or make transmission repairs. This information is shared freely; comments are welcome! 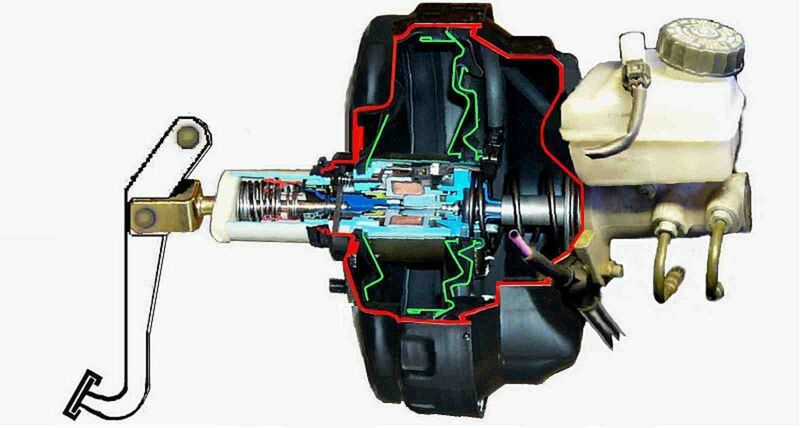 In this article, you'll find step-by-step instructions for a Toyota or Lexus Fuel Pump replacement with photos. There are no special tools required, and it's relatively safe, easy, and not too time consuming. 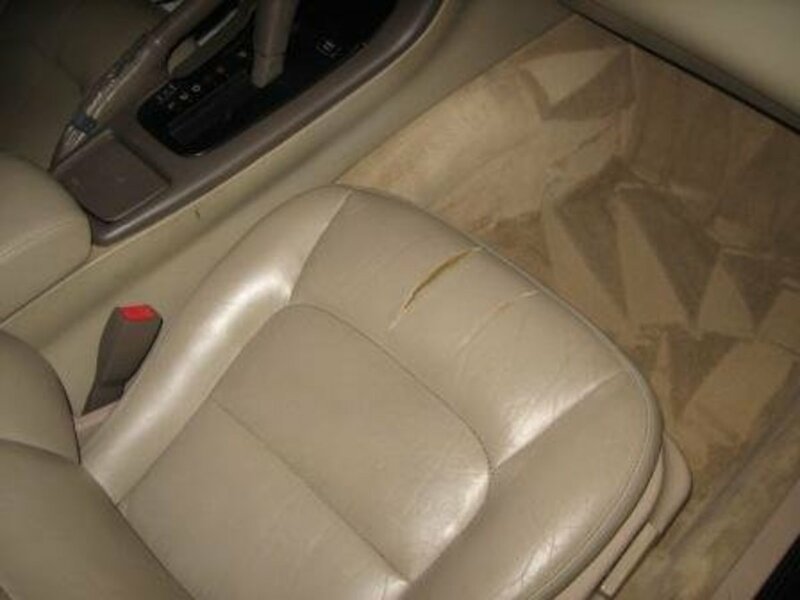 The average automotive hobbyist can do a passable DIY seat repair to prevent further damage. My technique depends on whether the rip borders on a seam or not. Got alternator problems? 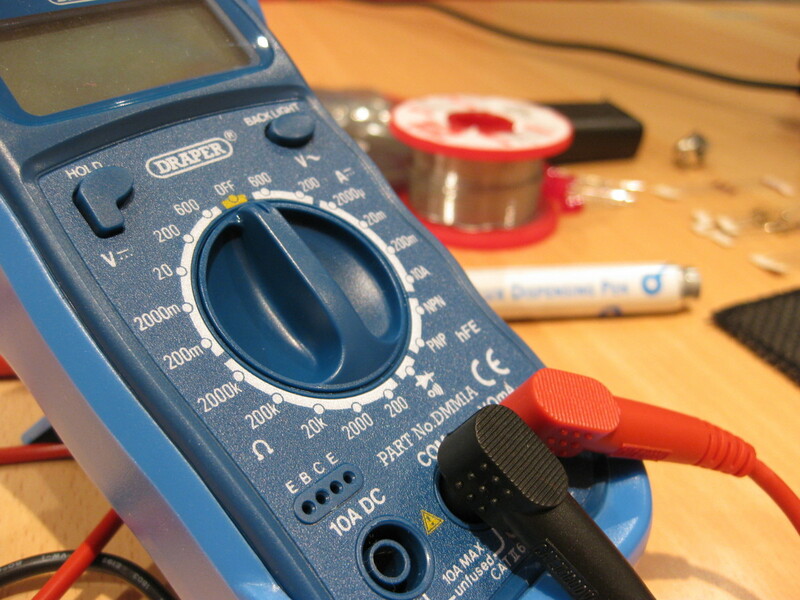 This guide shows you how to test an alternator in your car using a digital multimeter. VSS, WSS, CKT and CMP speed and position sensors are used by the ECM or other computers to keep track of the position and speed of the crankshaft and camshaft, and the speed of the vehicle and its wheels. Imagine getting a flat tire on your way to work. 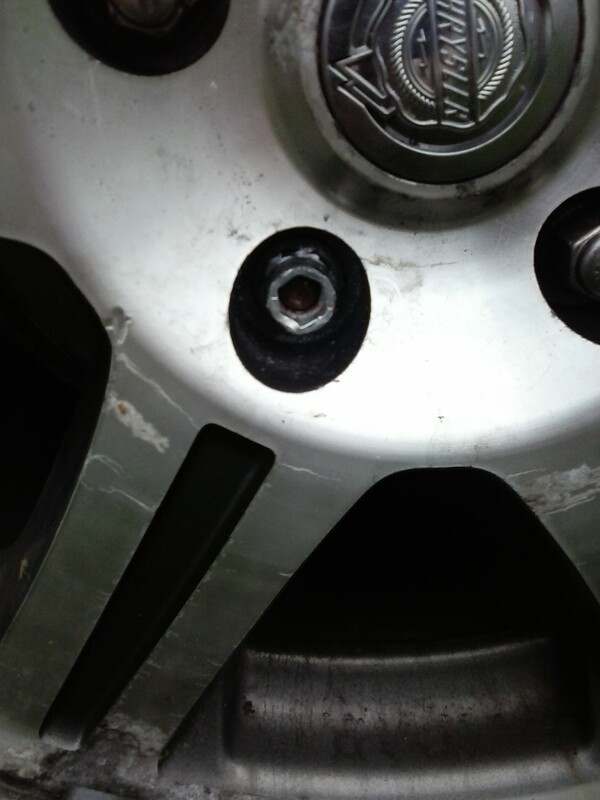 You stop to change your tire, and a lug nut is stripped and won't come off. Access to a couple simple tools will prevent this from becoming a problem. What do you do when your power window gets stuck in the down position and you don't have the money to get it fixed by a mechanic? 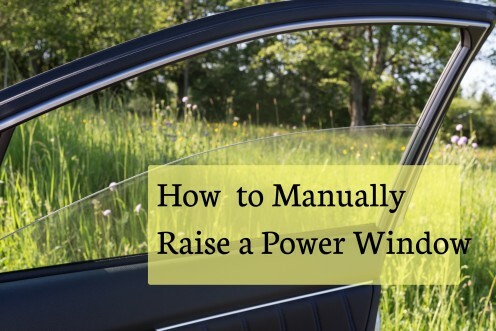 Here are the steps I took to close my car's power window manually. 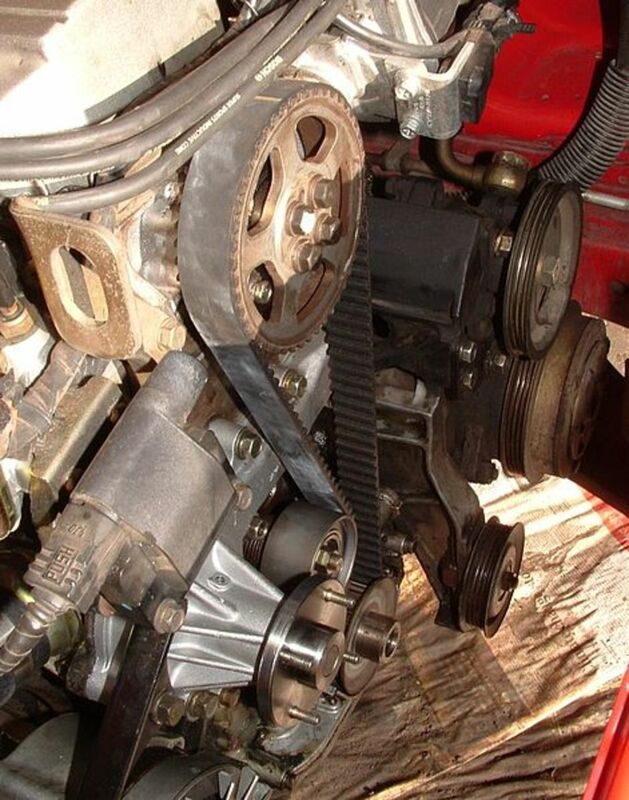 If your engine won't turn over, this guide will help you find the most common—and not so common—problem sources. If you think you may have rodents or mice living in your vehicle, here are a few tips on where to find their hiding places and how to evict them permanently! Can Rodents or Mice Ruin a Car? 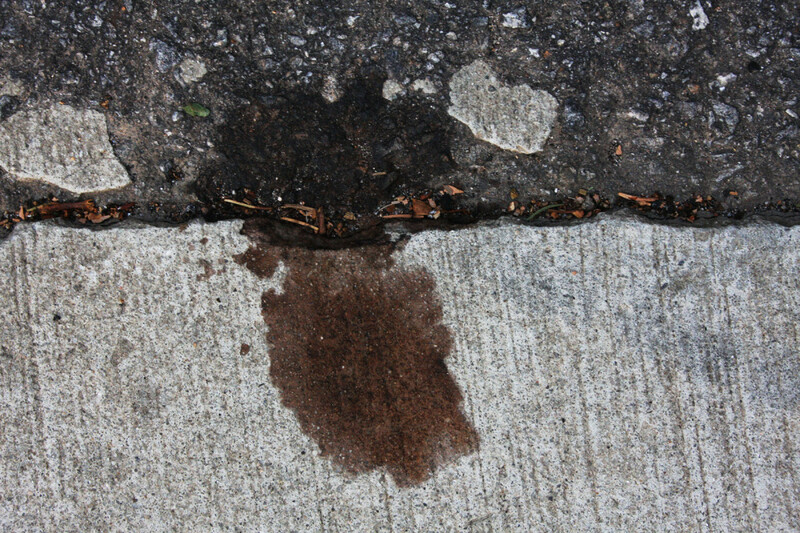 Fluid leaking from a car could mean immediate repairs are needed, or it could be something totally normal. In this article, you will learn how to identify the leak and figure out what, if anything, needs to be done about it. 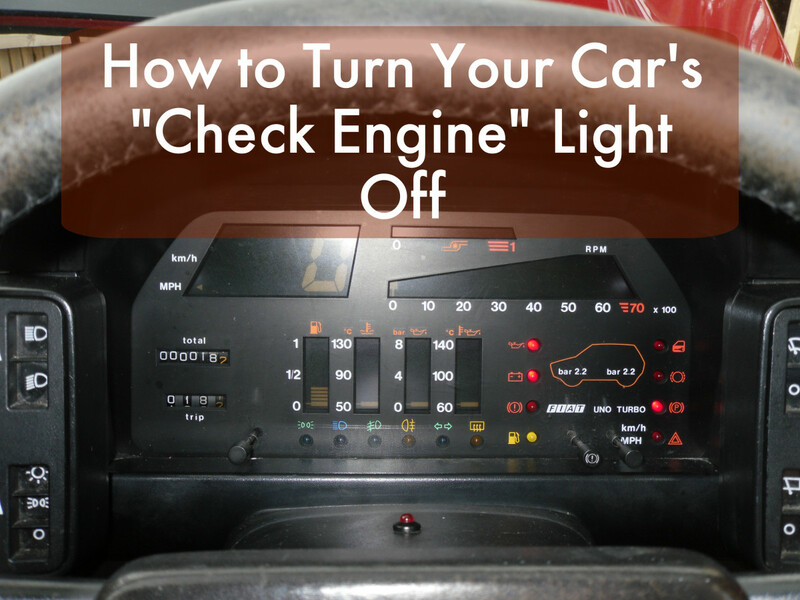 You've fixed the issue which was causing your check engine light to turn on, but now it wont turn off! 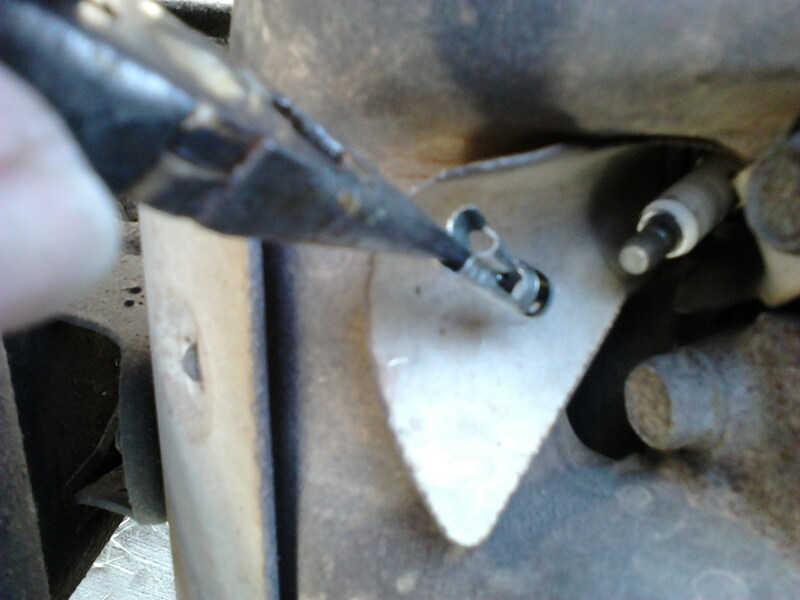 Try one or more of these approaches to get the light to go off and be sure your engine is ok.
A comprehensive guide for repairing stripped bolt hole threads. 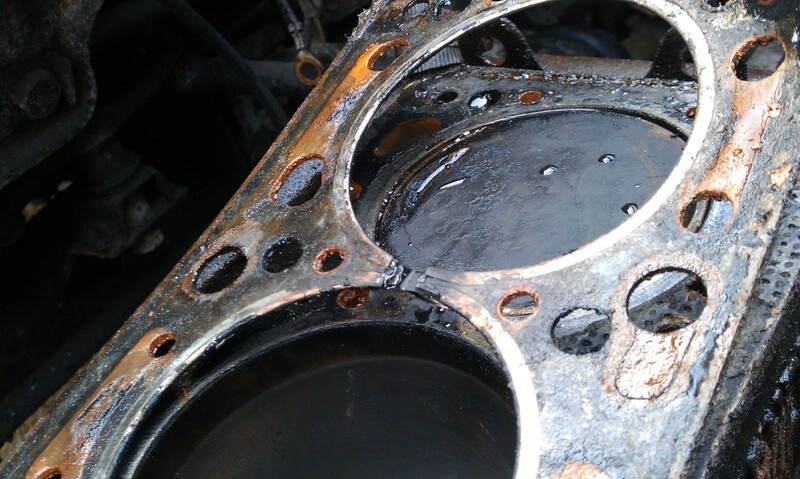 One of the most nerve-wracking diagnoses that an engine can receive: blown head gasket. 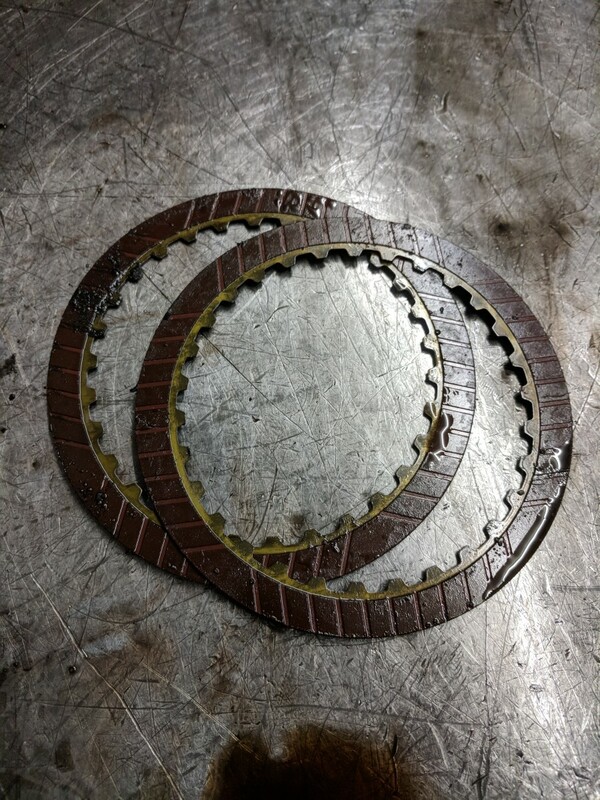 Dive into this article to learn the three most common signs your engines developed a bad head gasket. 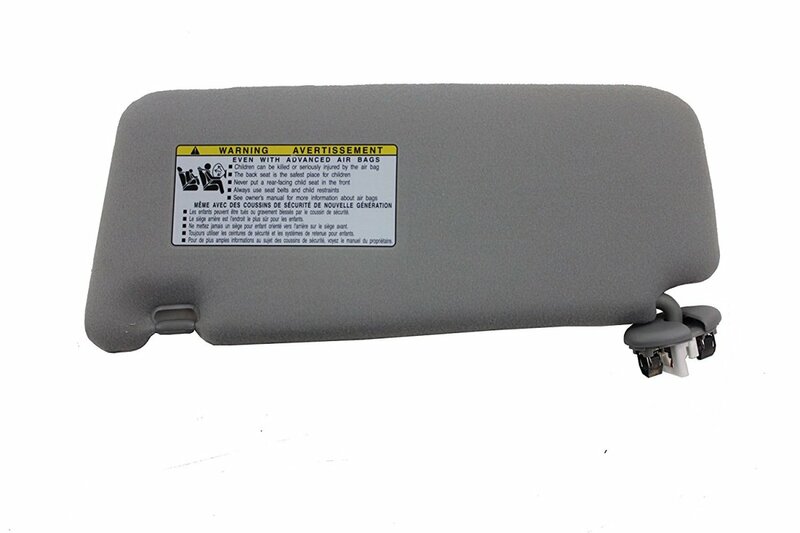 You’re driving along and all of a sudden your sun visor pops down to get in your way. Sound familiar? Here is my tutorial on how to fix a loose car or truck visor. 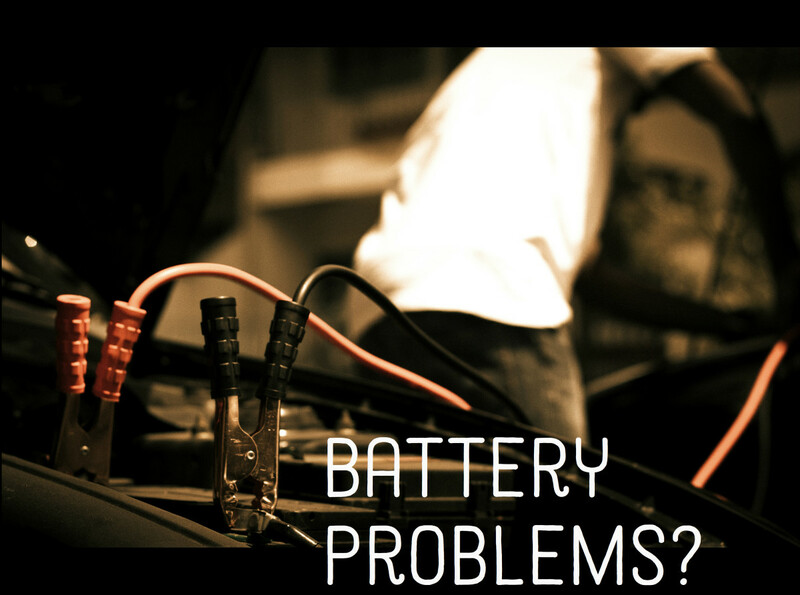 Find that parasitic battery drain that's causing your car battery problems whether you have a newer or older vehicle model. 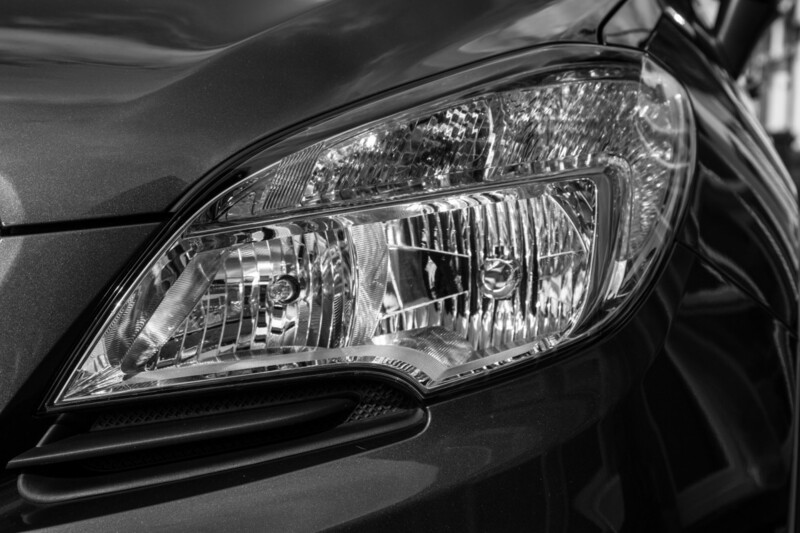 When your headlights stop working, follow this simple symptoms-based guide to make a faster repair. 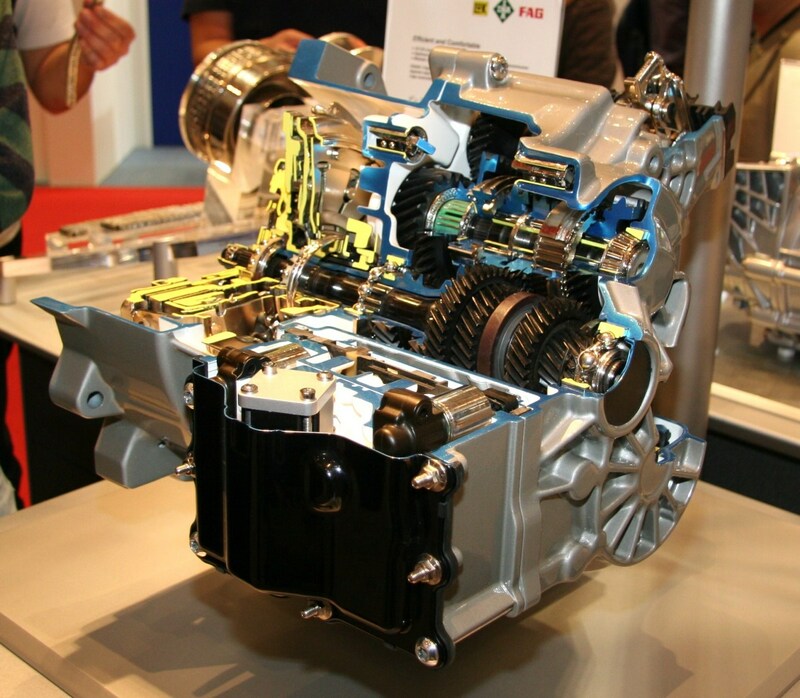 Though old news, 6-speed DSG transmissions are still on the road in many vehicles. So let's look at some of the more common problems you might encounter with yours. 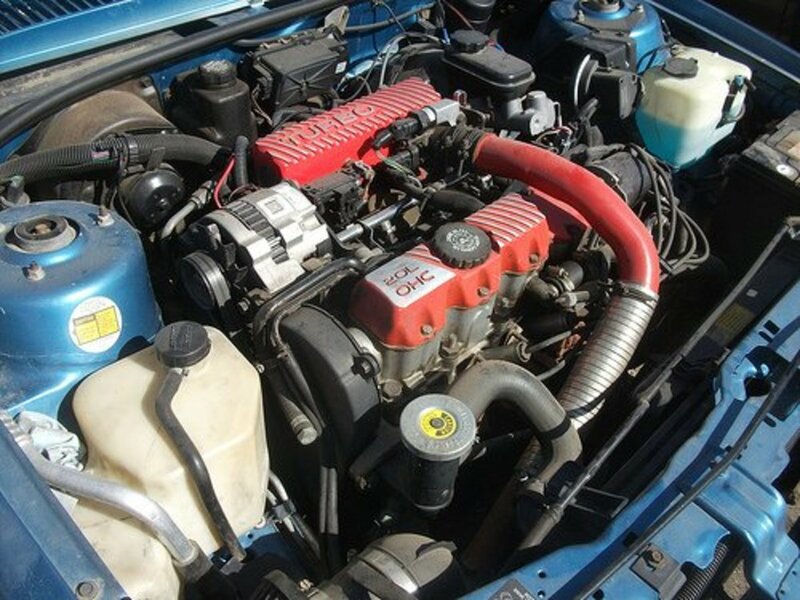 This article details the steps involved in replacing the water pump and water pump gasket on a 2012 Ford Mustang V6. 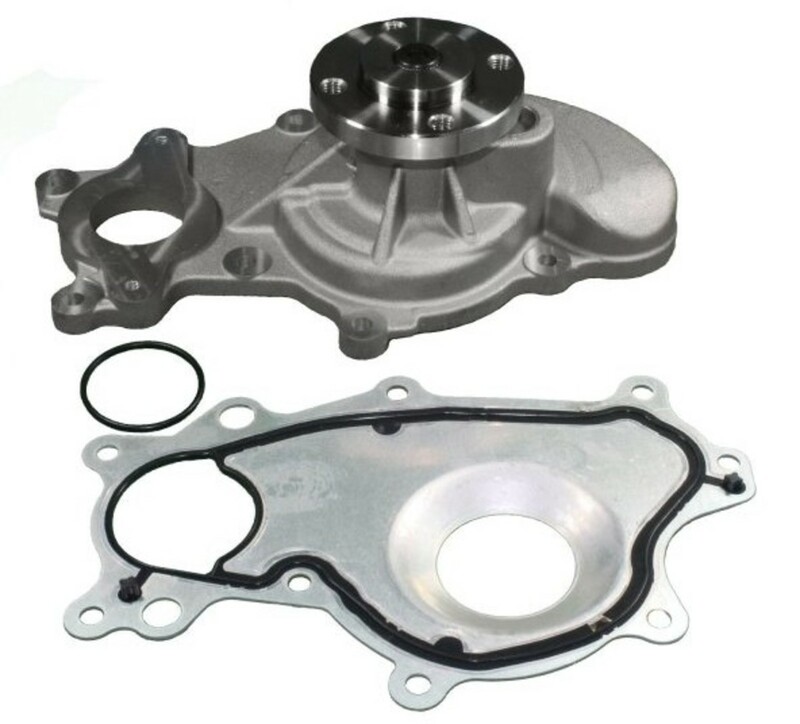 The same water pump is also used on the 2011-2014 Ford F150. Video included. Automatic transmissions are getting more and more clever, but how do they work? 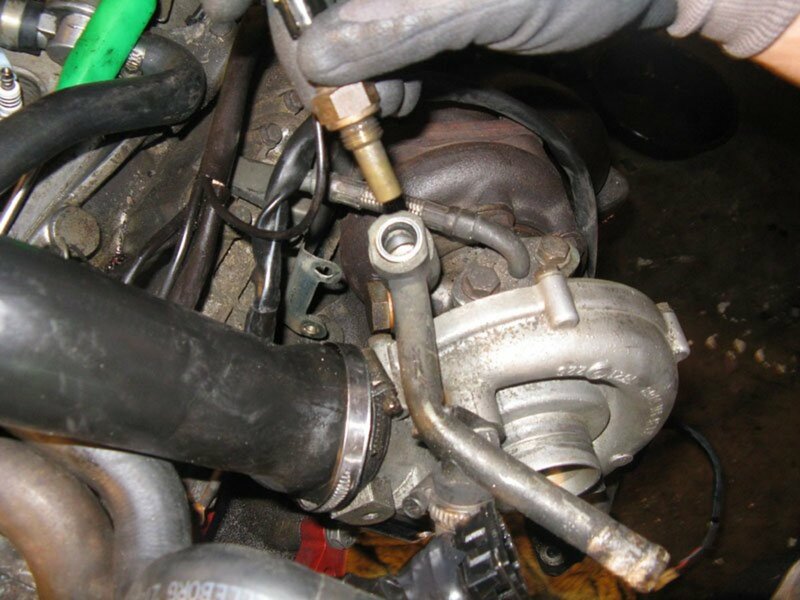 Install a brake booster replacement following these simple steps, even if you have to remove the brake master cylinder. DIY (Do it yourself) Toyota MZFE V6 Fuel Injector Replacement. Detailed instructions with plenty of step by step photos. 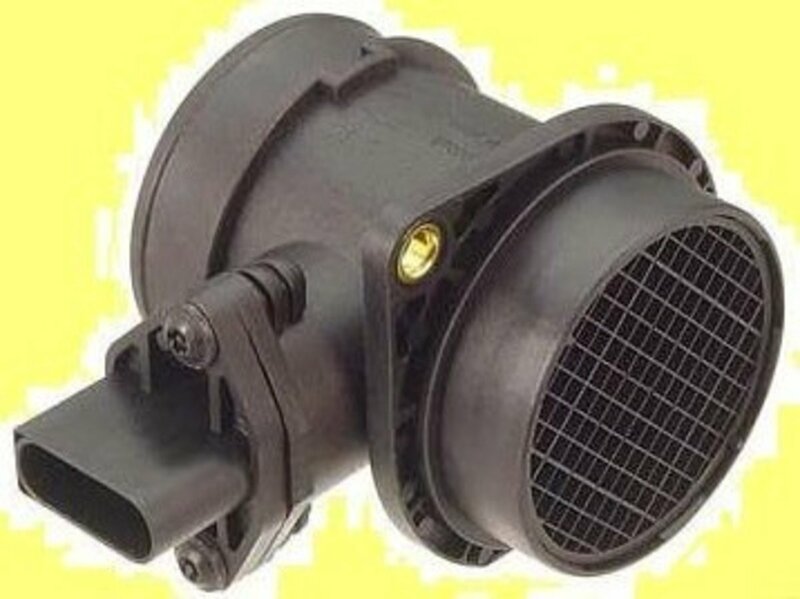 Replacement method can be used in the Camry, Avalon, Sienna, ES300 & RX300. 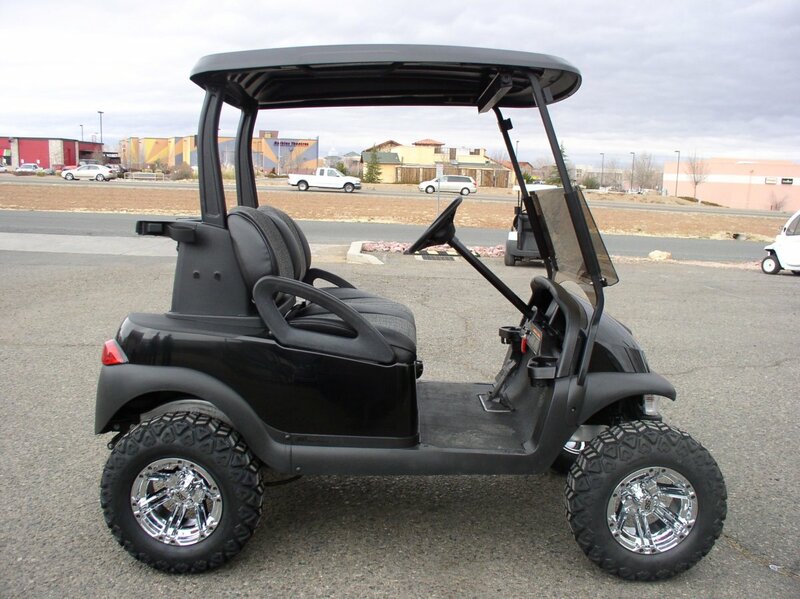 Besides battery problems, solenoids are probably the most common cause of failure in a golf cart. I'll show you how to check your solenoid in a matter of seconds. 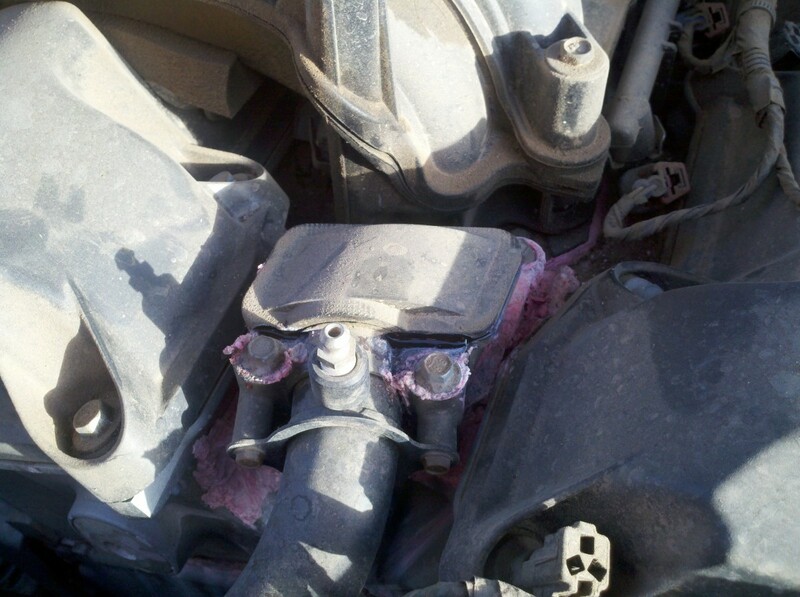 A low coolant level can mean a coolant leak. These methods help you locate hard-to-find leaks. 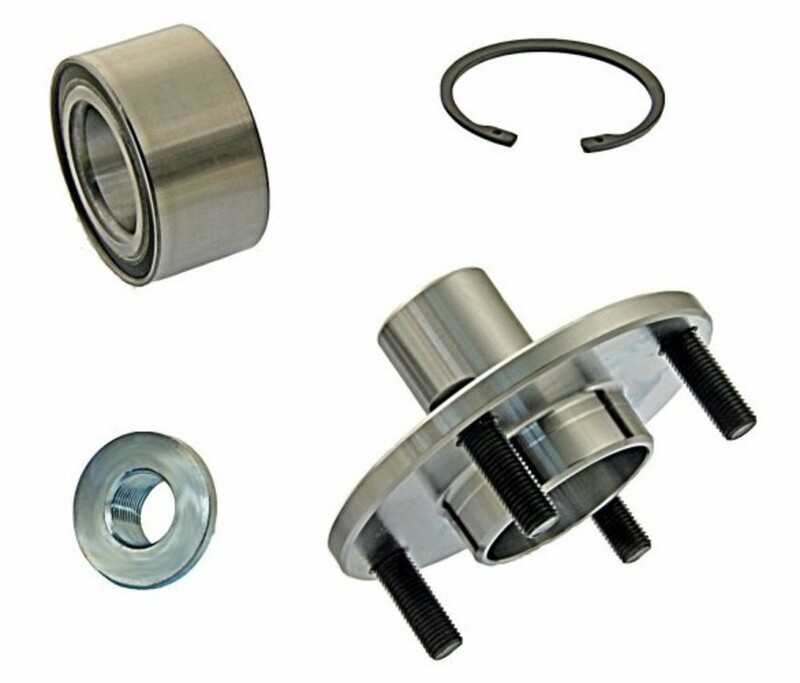 Do-it-yourself Front Wheel Drive (FWD) wheel bearing replacement for most Toyotas and many other cars. Lots of photos, and details about tools needed. 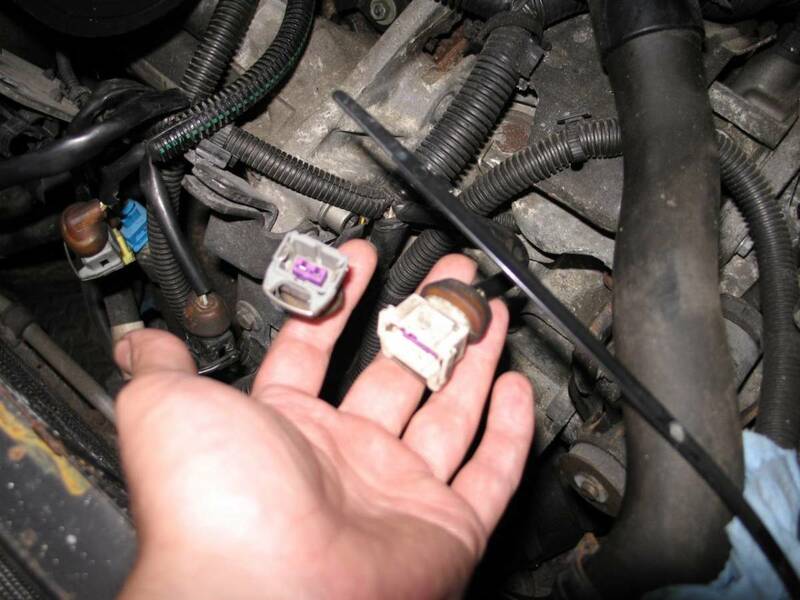 This is a DIY on changing out your coolant temperature sensor that can lead to rough idle and a number of other problems. 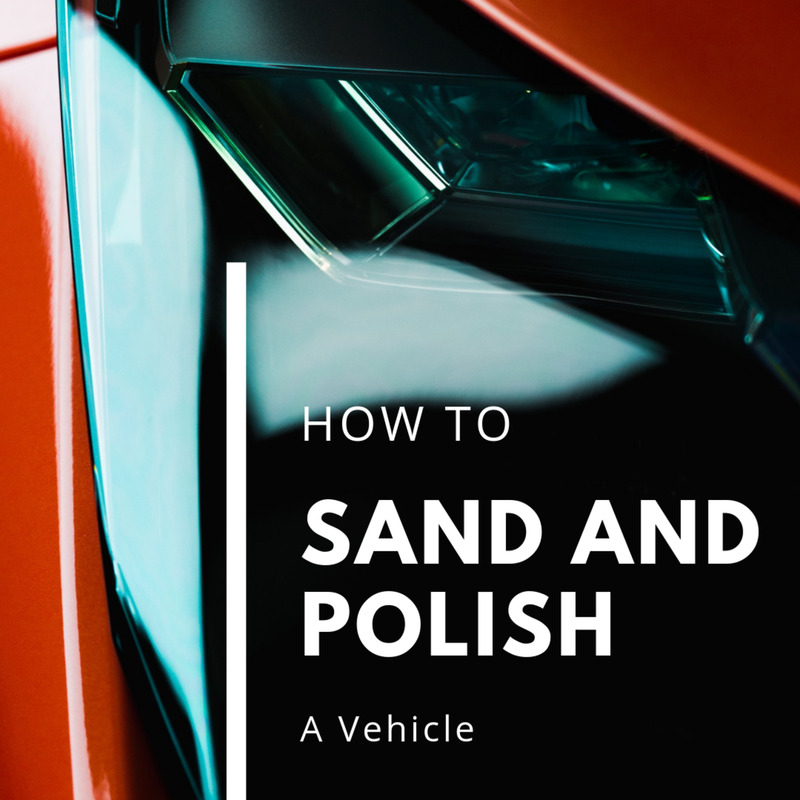 This DIY works for Audi and VW across the board depending on year. 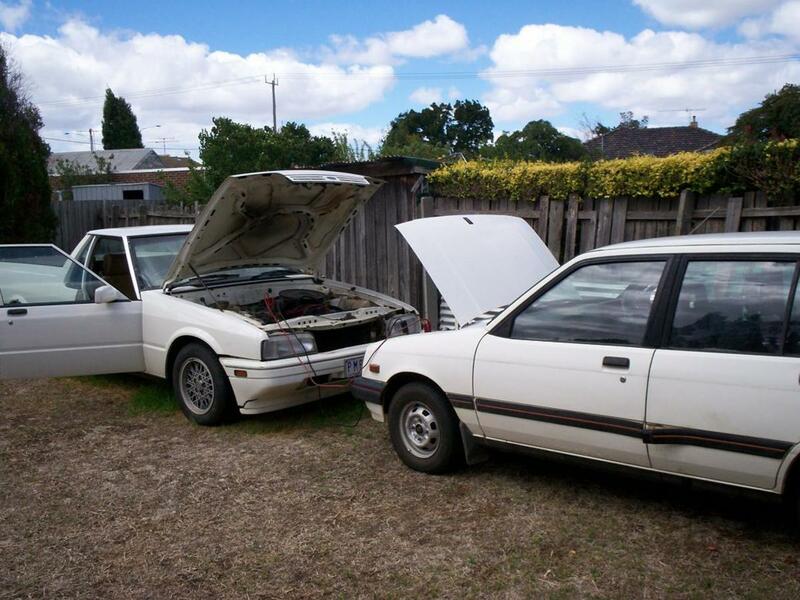 Car starter problems? 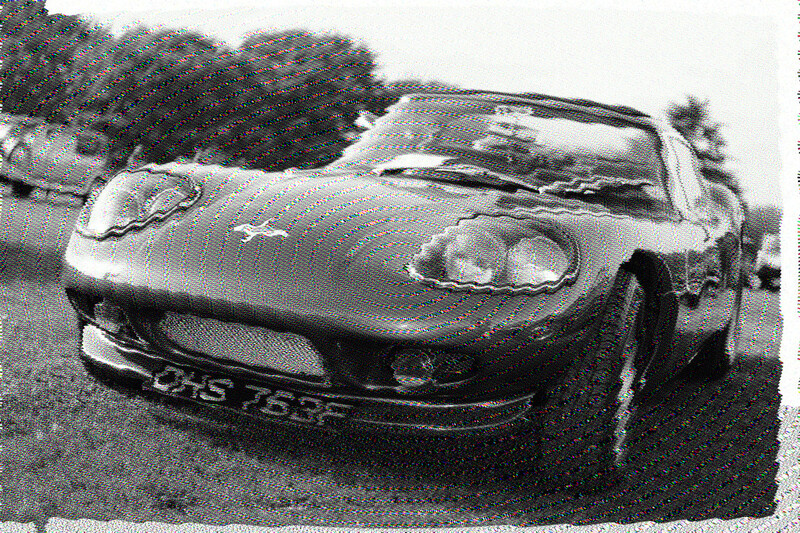 Don't blame the starter motor yet. These 5 troubleshooting tips will help you find the culprit. 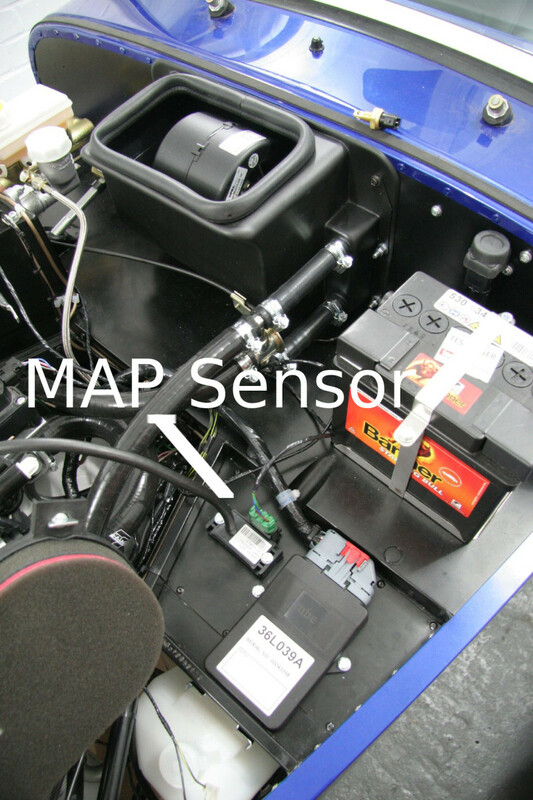 How to tell if your MAP sensor is bad and how to test it in your garage. 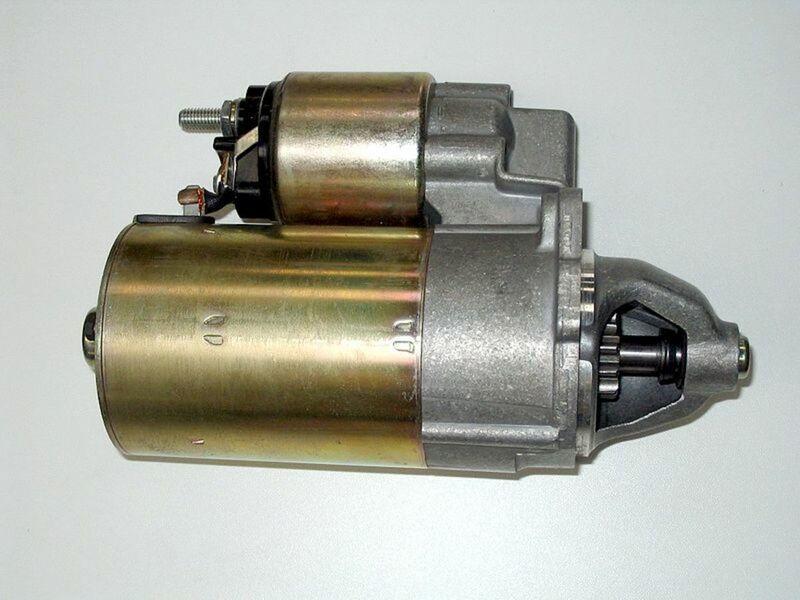 Recognize bad fuel filter symptoms, improve engine performance, and avoid expensive repair bills. 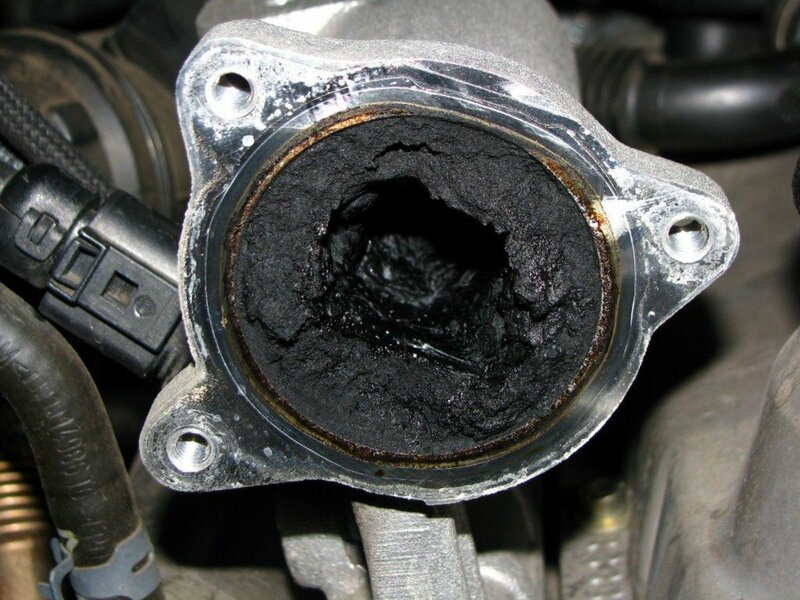 Recognizing symptoms of a bad EGR valve will help you troubleshoot potential problems sooner and restore engine performance faster. 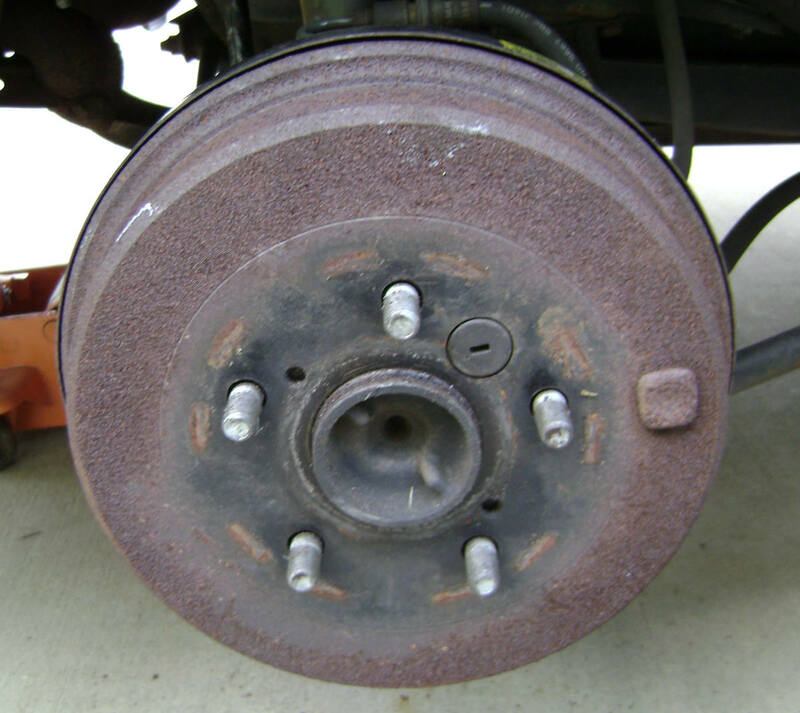 Instructions on changing the front disc brake pads and rotors on a 2002 Dodge Ram 1500 pickup. May be applicable to other years or vehicles. AC system diagnosis can be done by feeling the lines for the correct temperature/ pressure relationship. 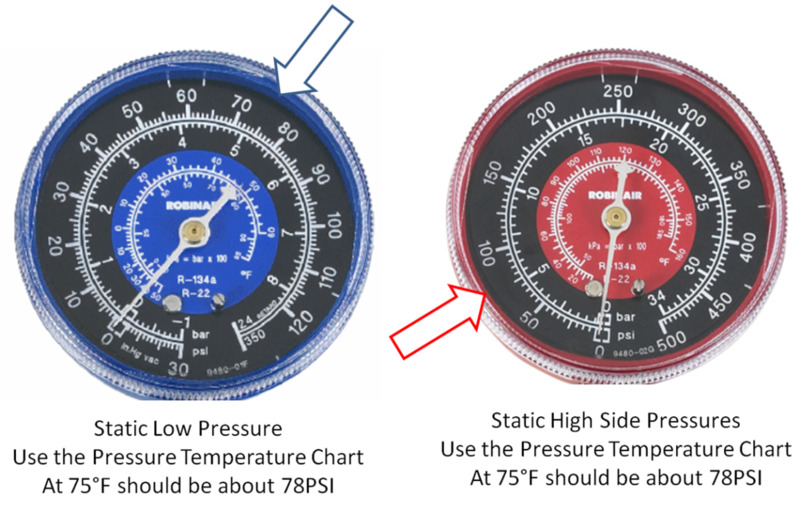 With gauges hooked up, the pressures can be measured and then diagnosed. 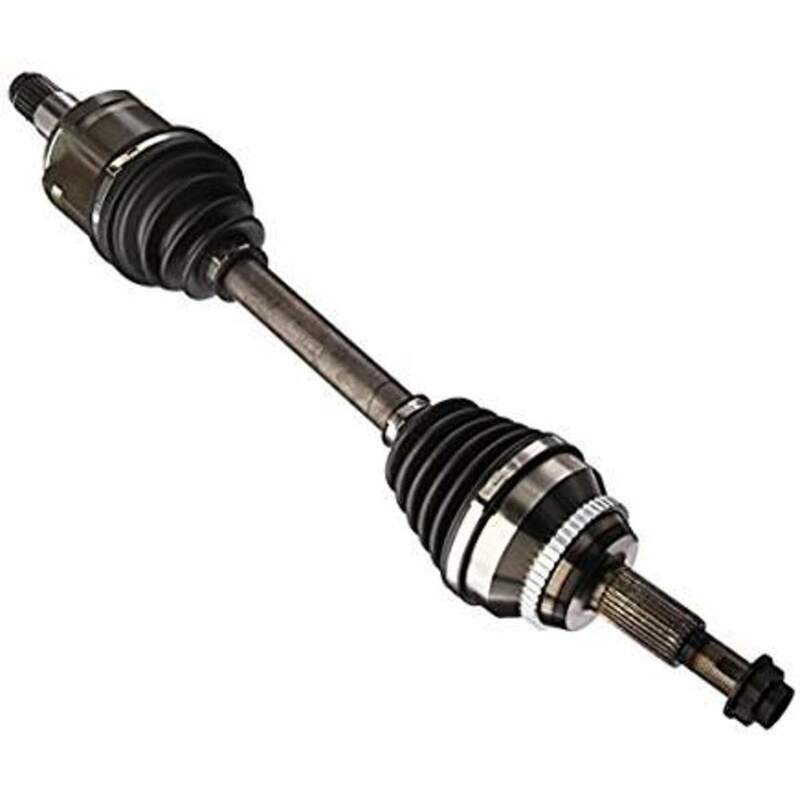 How to remove and replace the driver's-side CV axle shaft and seal on most Toyota Camrys. Detailed instructions and plenty of photos. No special tools required. 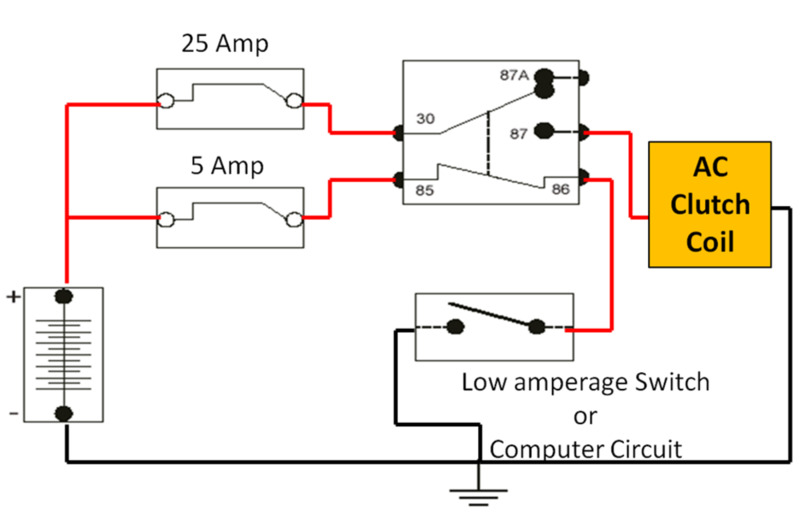 Test the throttle position sensor in a few minutes using a digital multimeter. 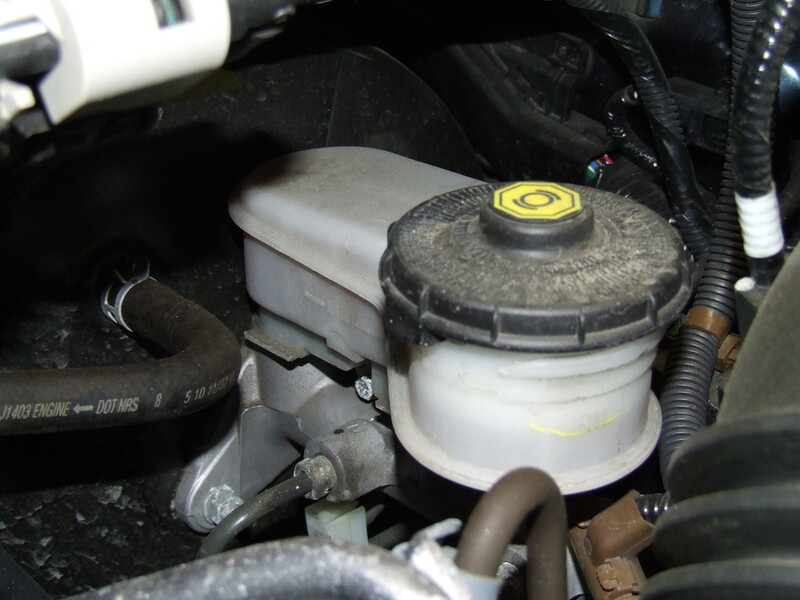 How Do You Know If a Throttle Position Sensor Is Bad? 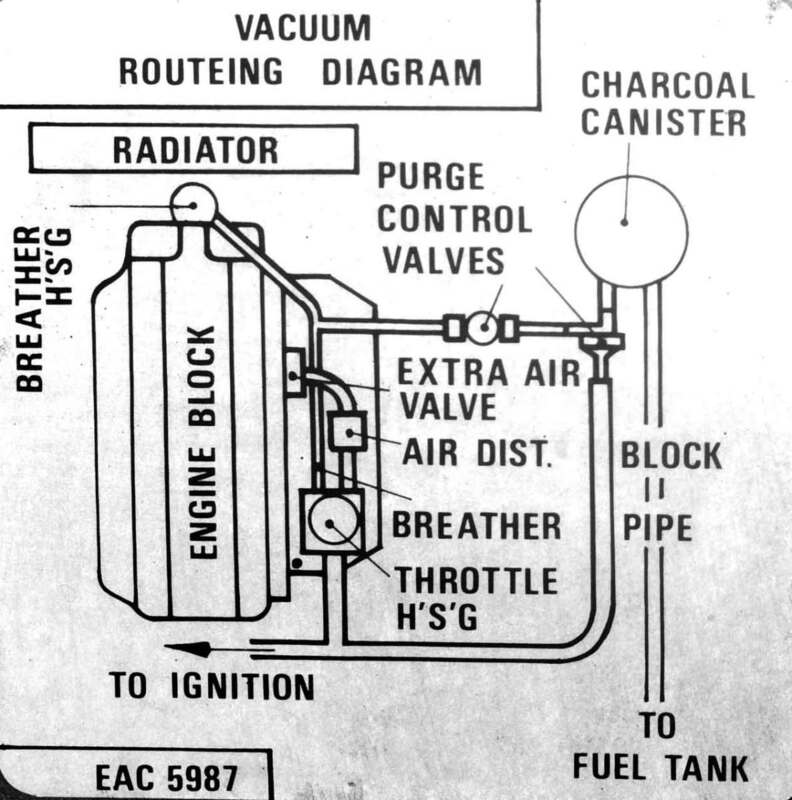 Know your engine. 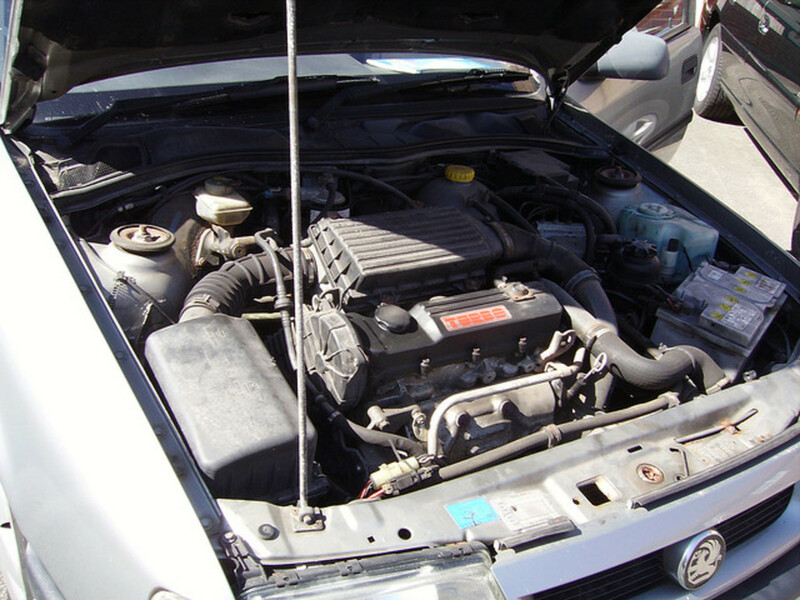 A simple guide to what's under the hood of your car with maintenance tips and pictures. Try the quiz at the end to see what you learned. 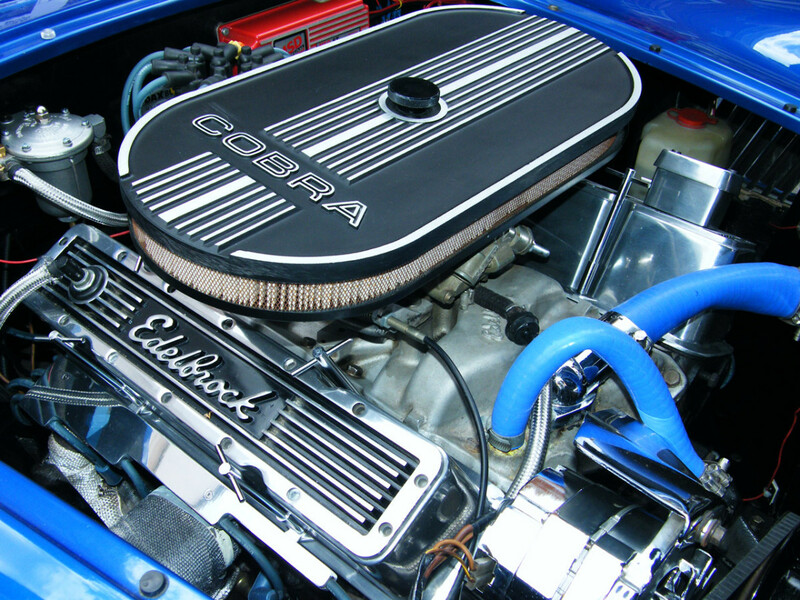 Ladies, What's Under Your Hood?! 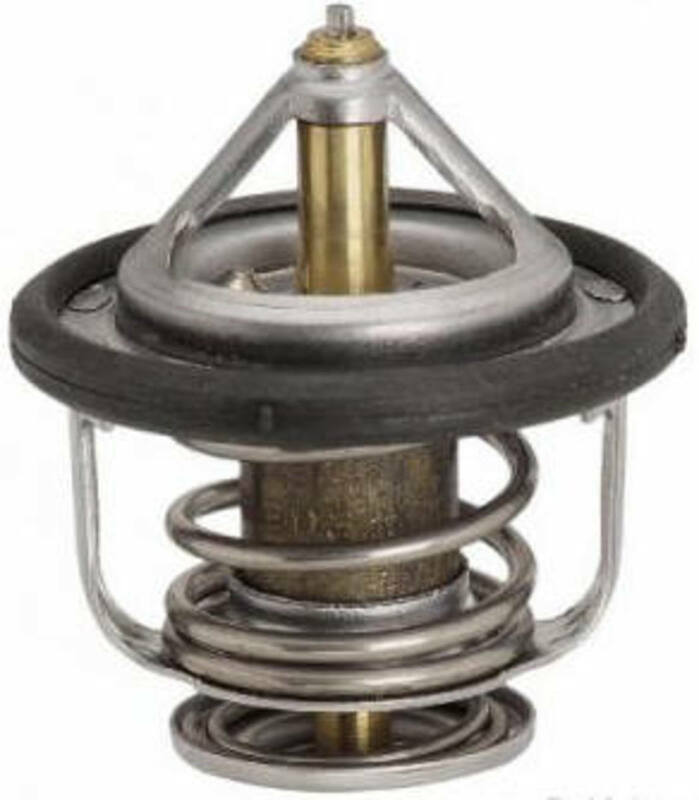 Install a car thermostat replacement in minutes without causing coolant leaks, damage to components, or engine overheating. 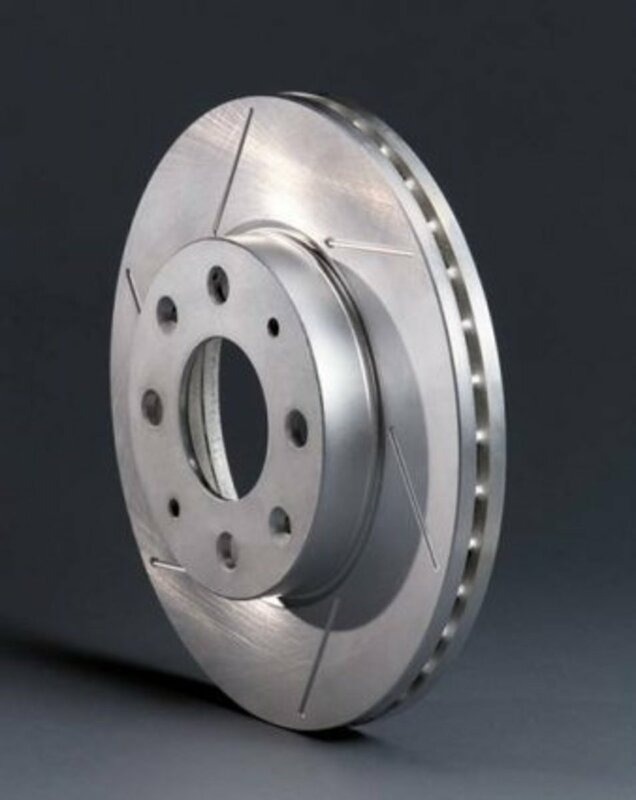 If your vehicle pulls to one side when braking, check these common sources of trouble. Why Does My Vehicle Pull to One Side When Braking? 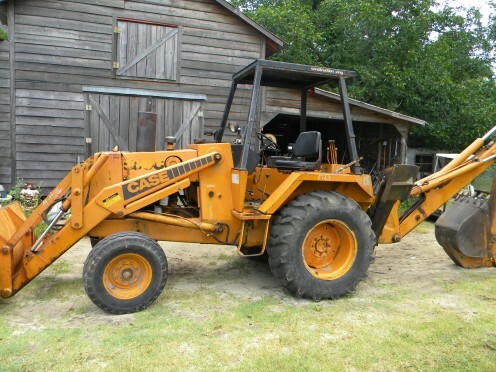 Complete description of Case backhoe hydraulic cylinder repairs, rebuilding, and replacement, with step-by-step photos to guide you through the process. 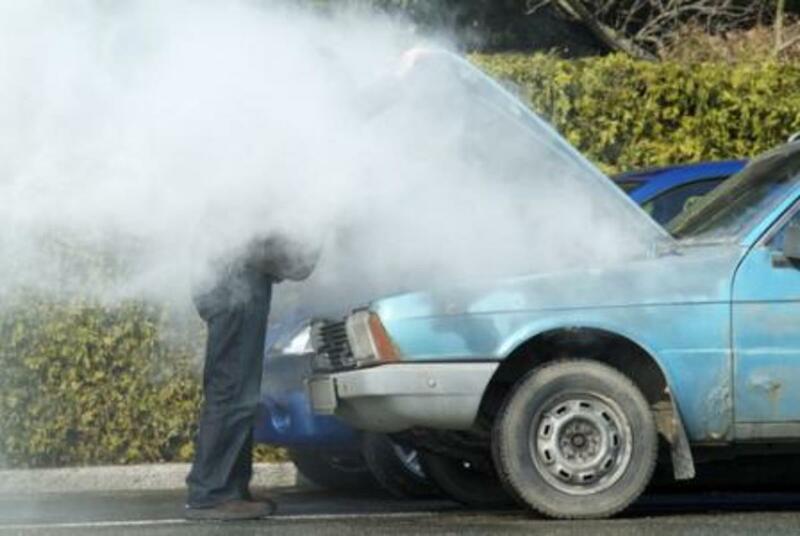 Have you been having trouble starting your car, truck, van, or SUV? 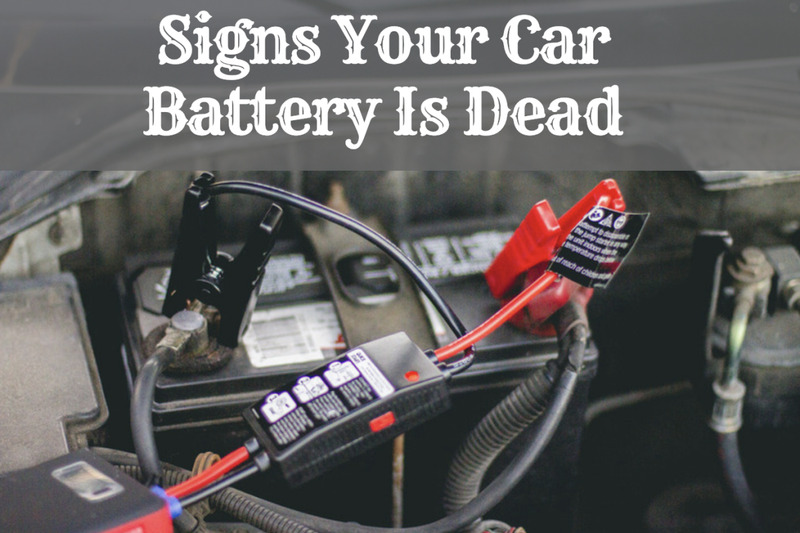 Here are some signs that you have a dying battery. 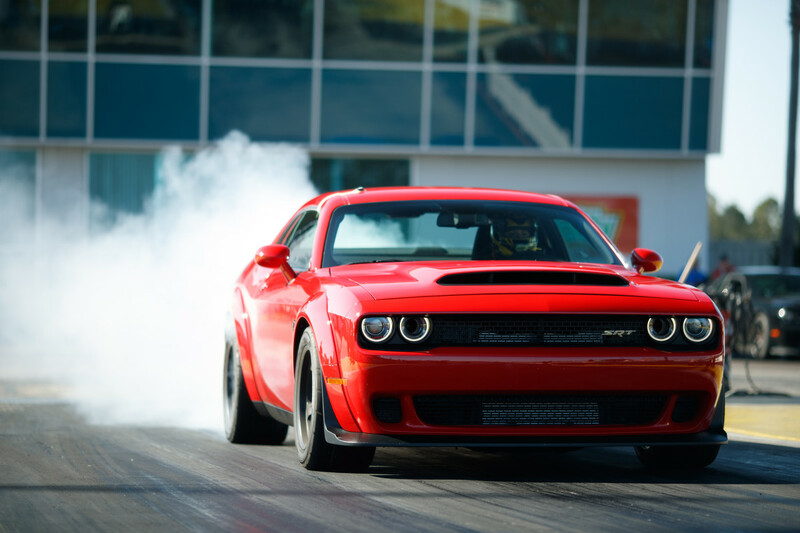 If you want to know how to increase horsepower, you're not alone. 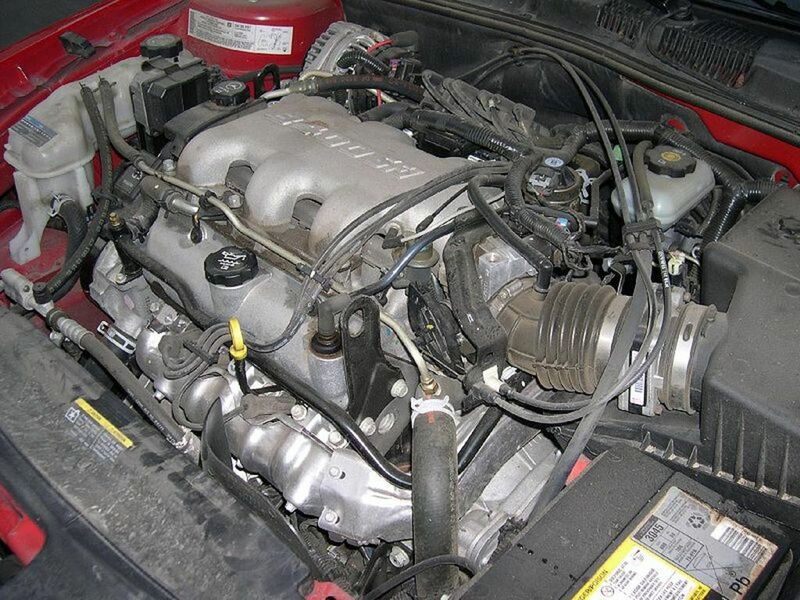 These are some simple engine modifications just anybody can do to their car. 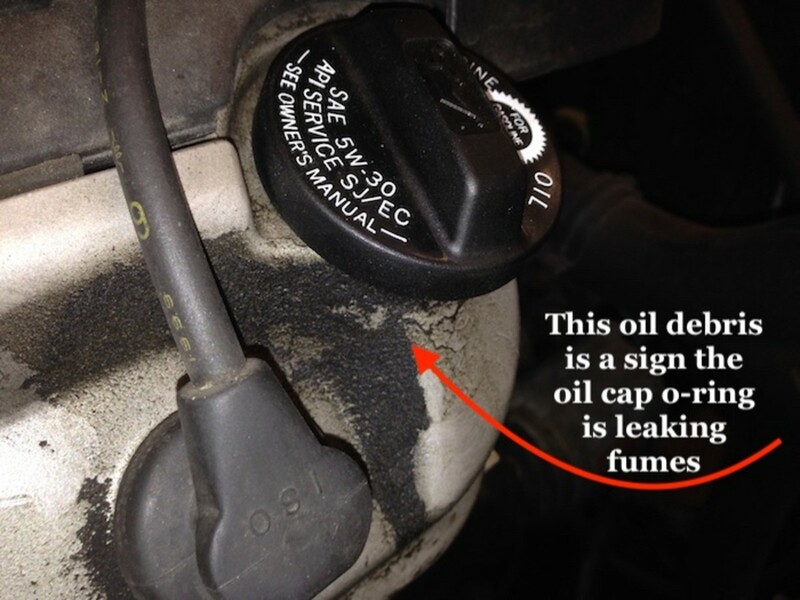 Brake fluid leaks: learn how to find a leak in the brake system before it's too late. 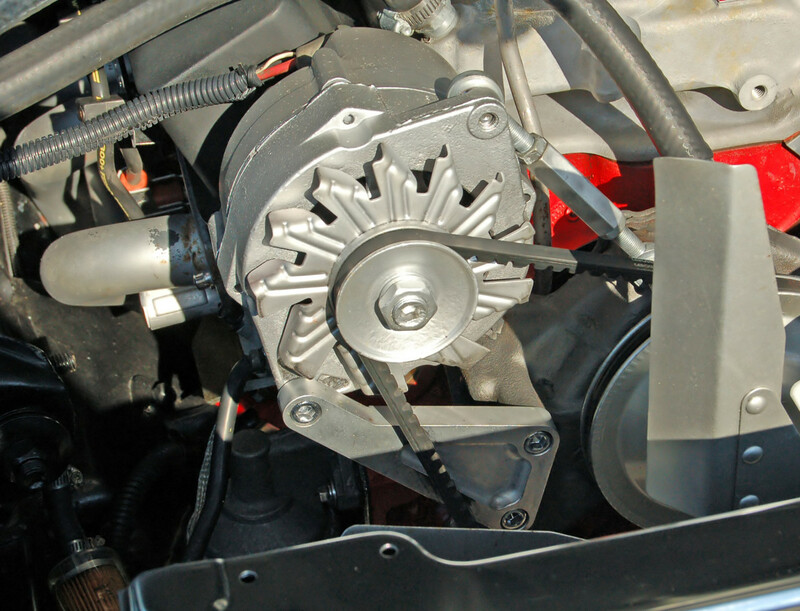 Step-by-step instructions for replacing a power steering pump on a GM small-block engine. High-resolution photos illustrate every step.